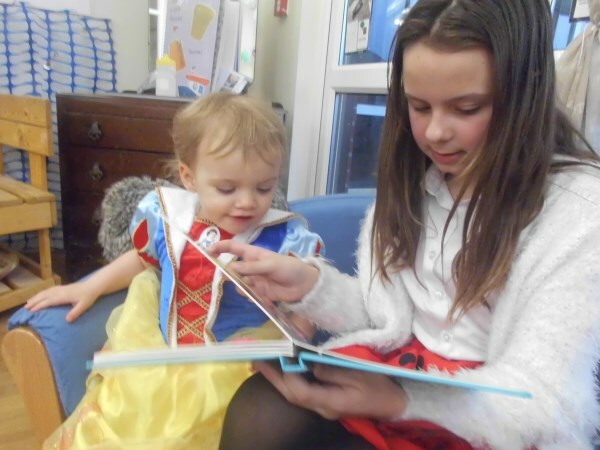 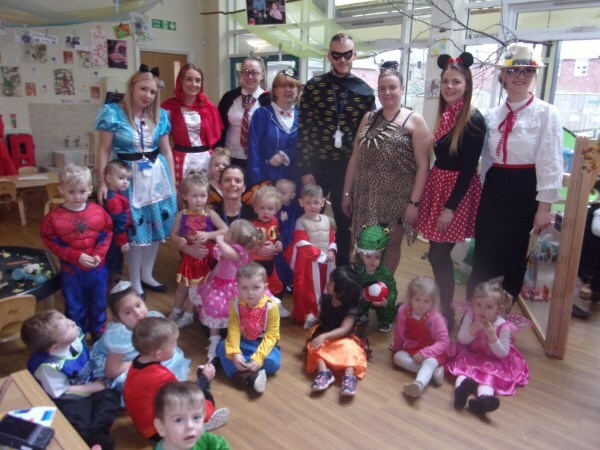 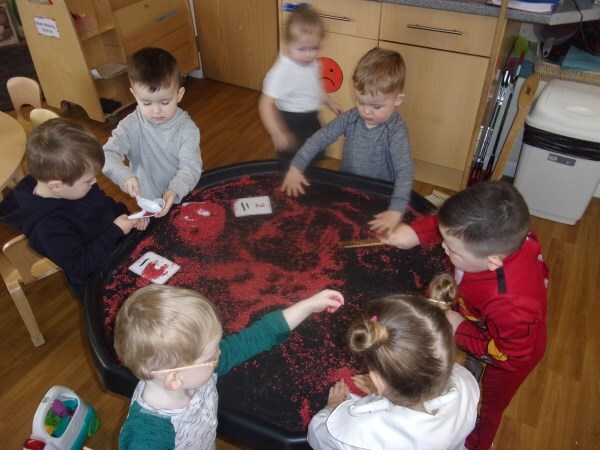 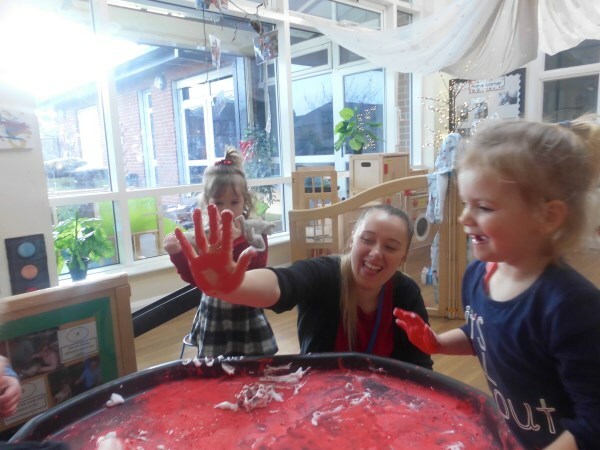 On the 15th March all the children and staff wore red and donated a £1 to Comic Relief the charity that changes the lives of children. 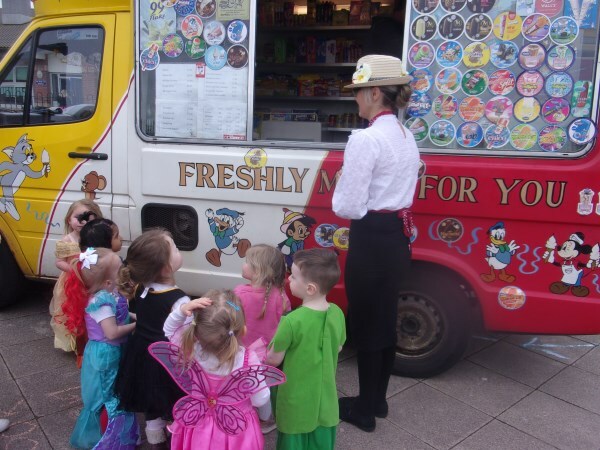 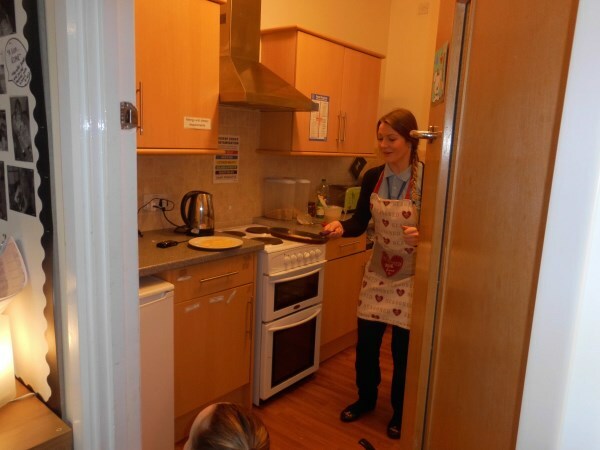 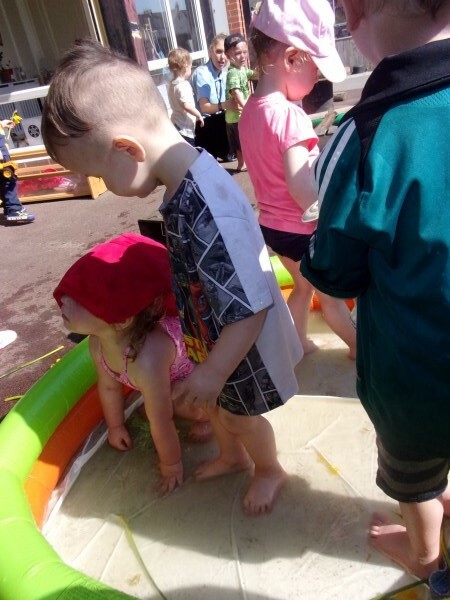 We are proud to say we raised £49! 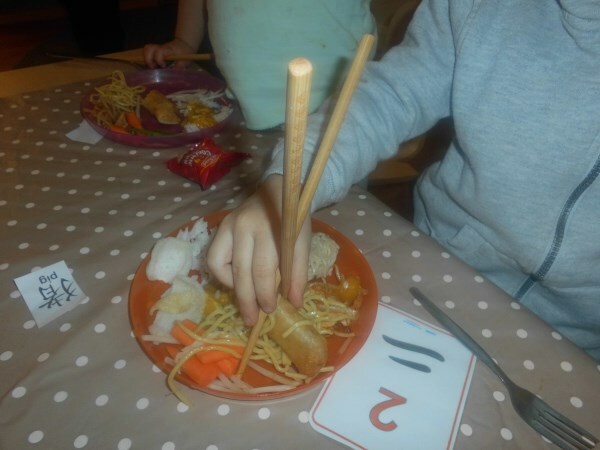 We had a Chinese feast! 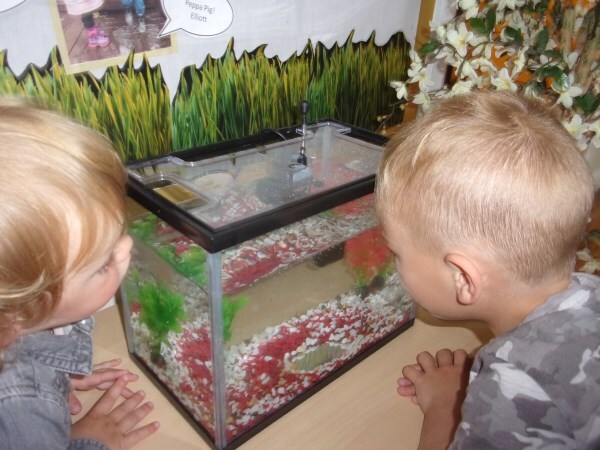 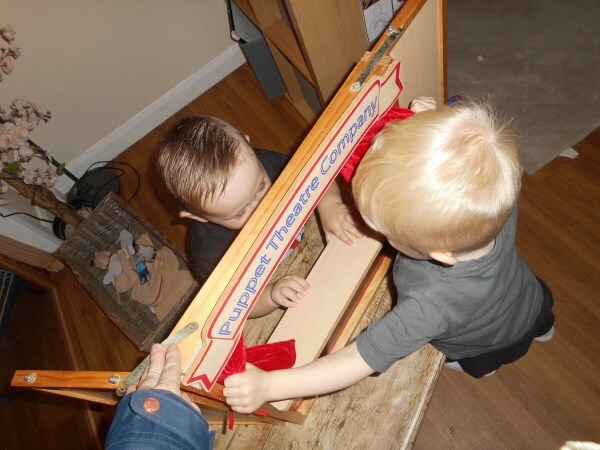 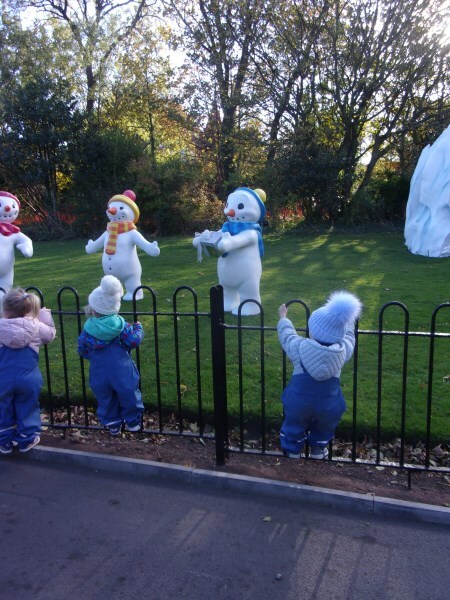 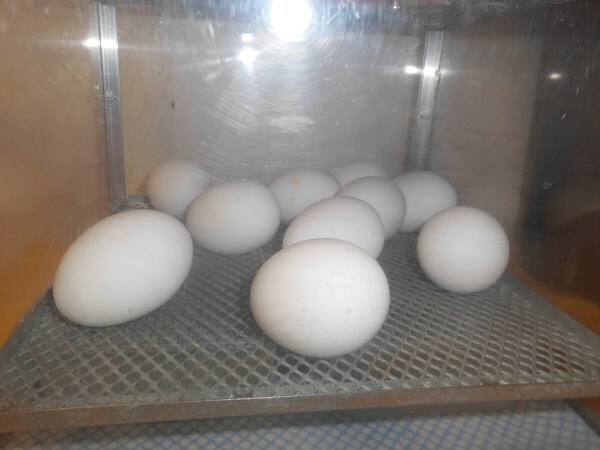 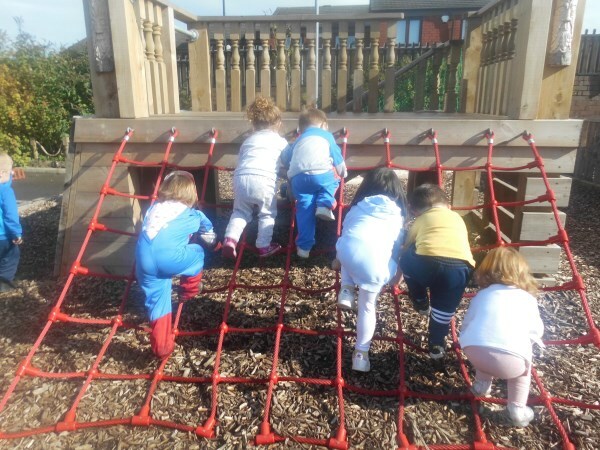 We would like to welcome our new starters into nursery, they have settles really well! 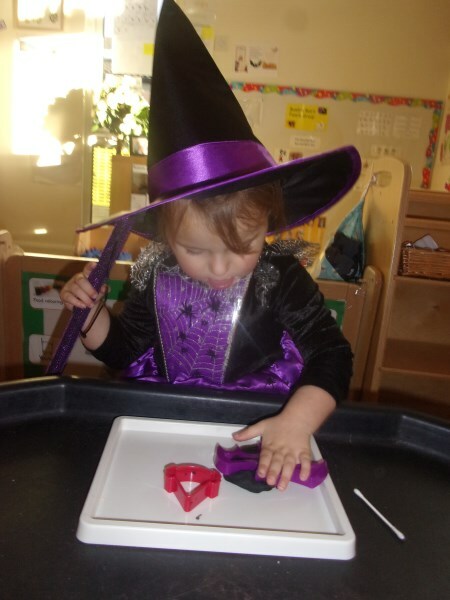 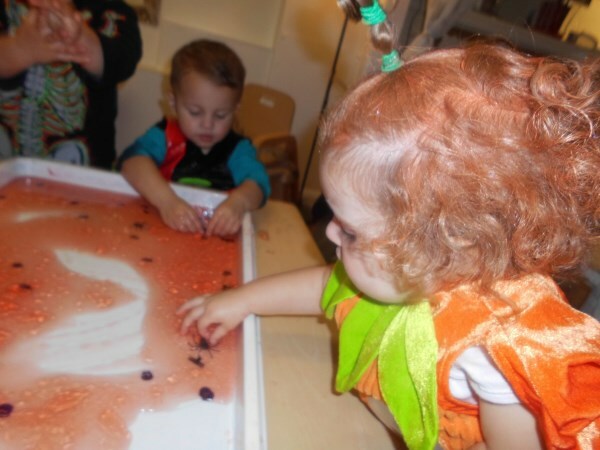 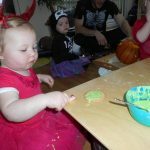 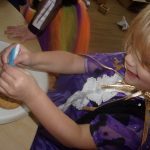 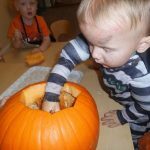 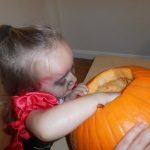 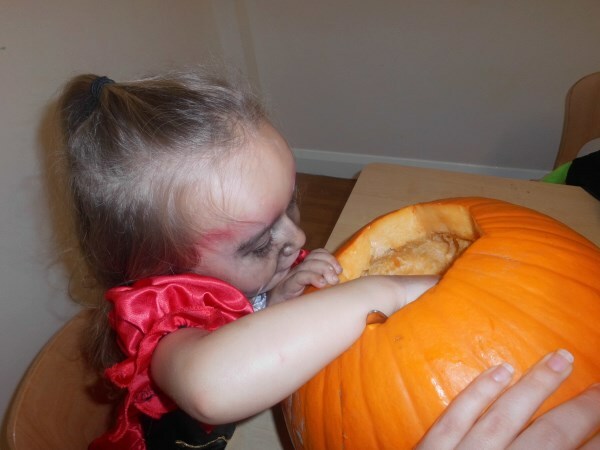 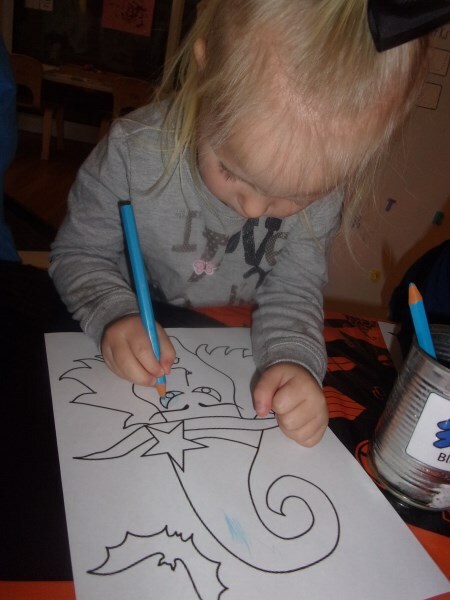 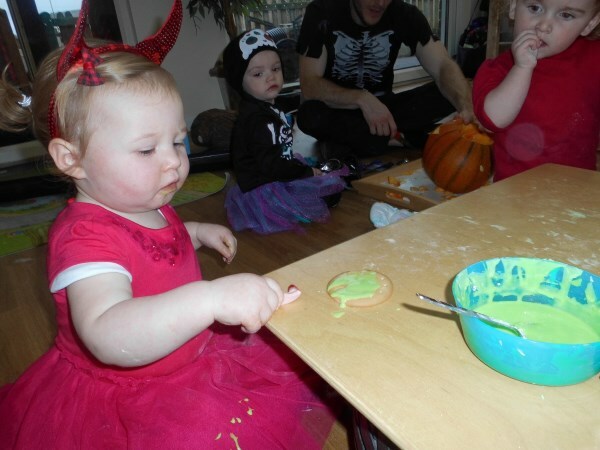 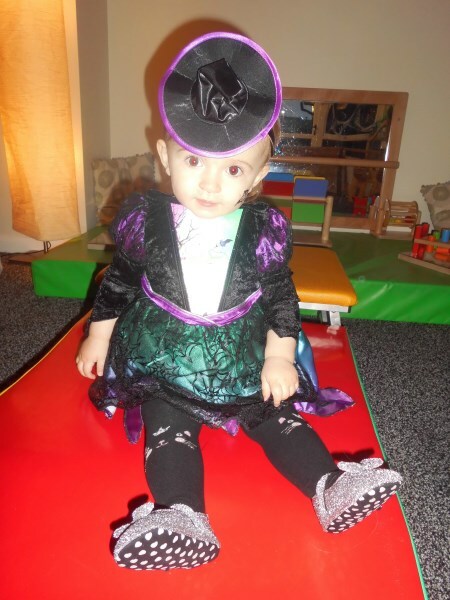 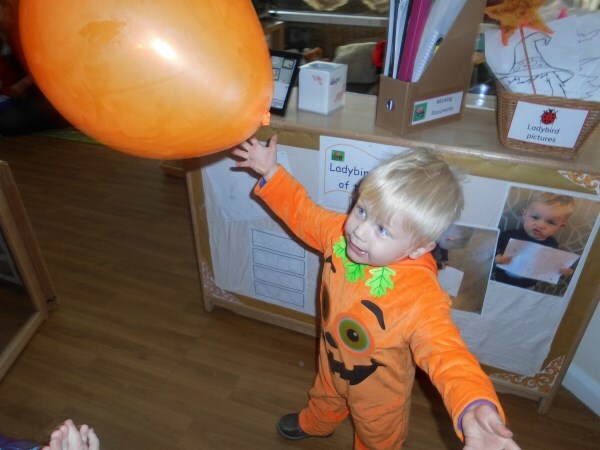 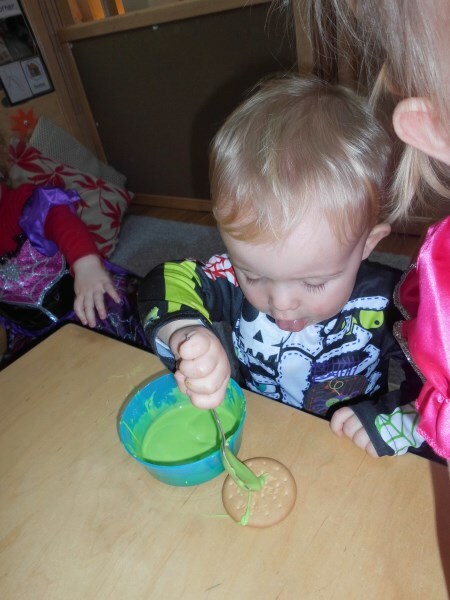 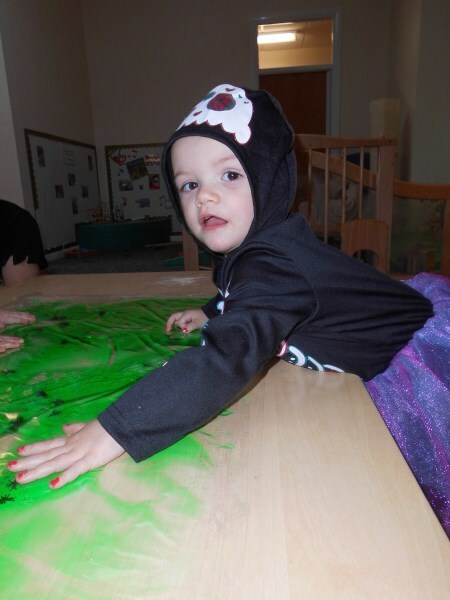 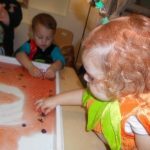 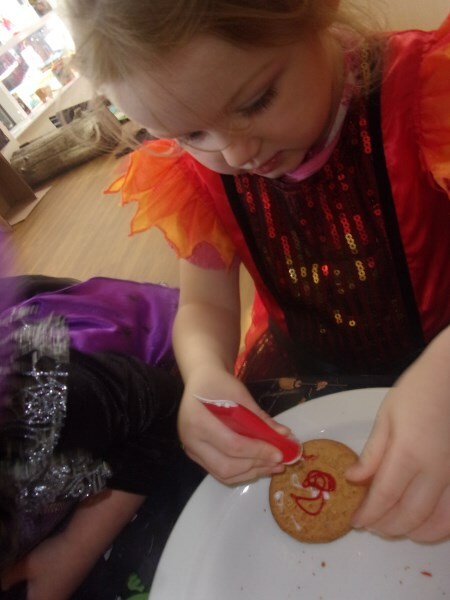 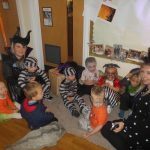 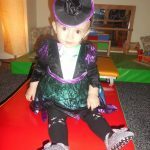 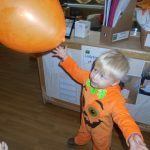 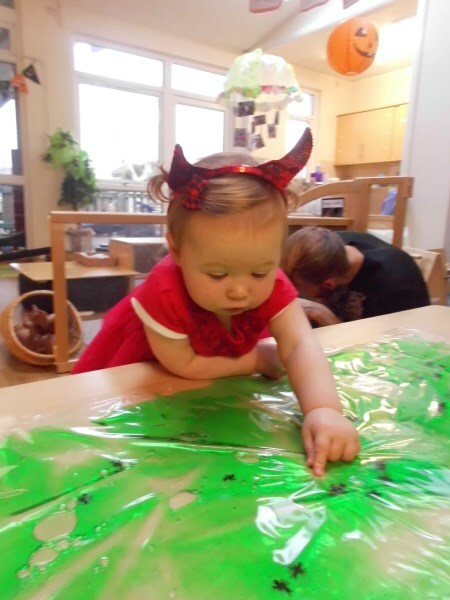 Happy Halloween from New Beginnings! 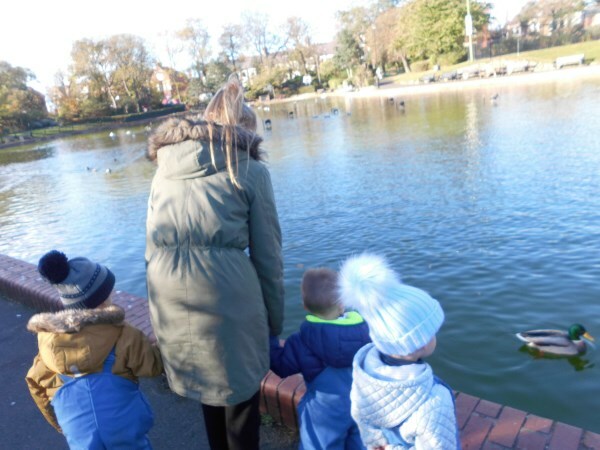 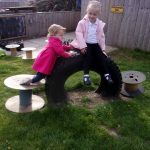 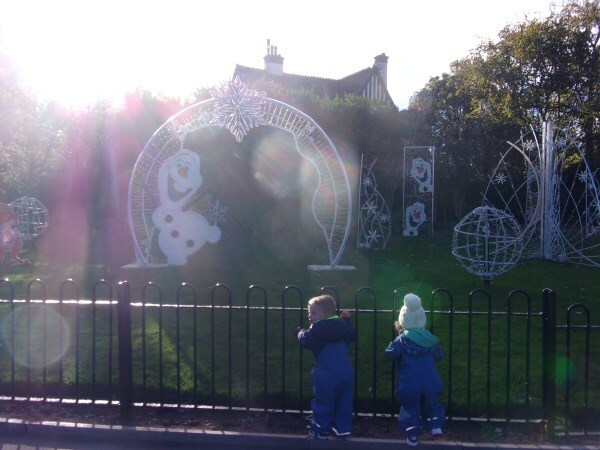 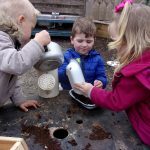 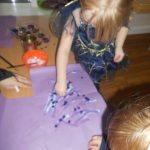 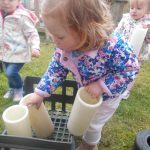 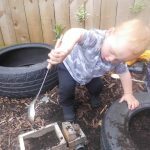 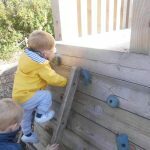 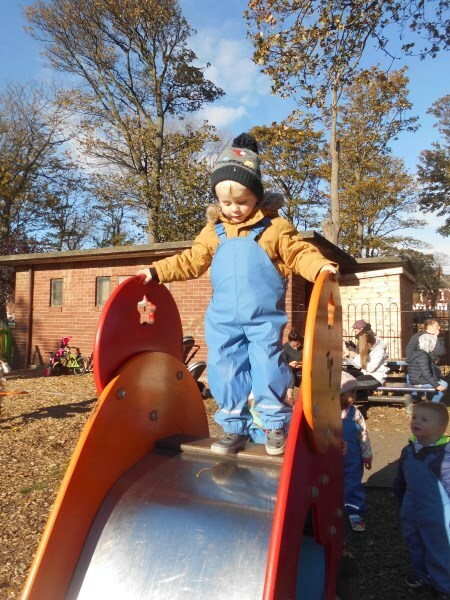 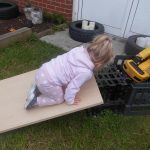 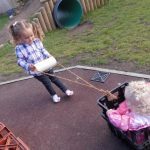 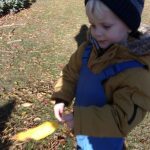 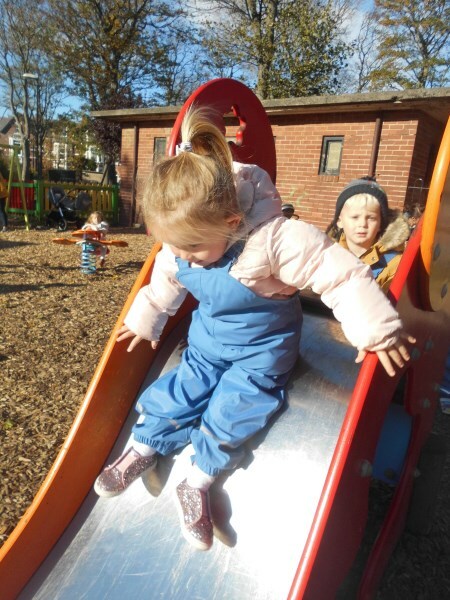 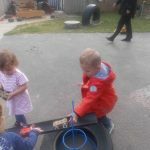 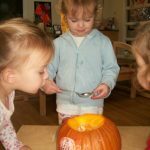 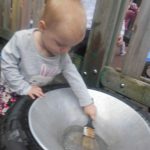 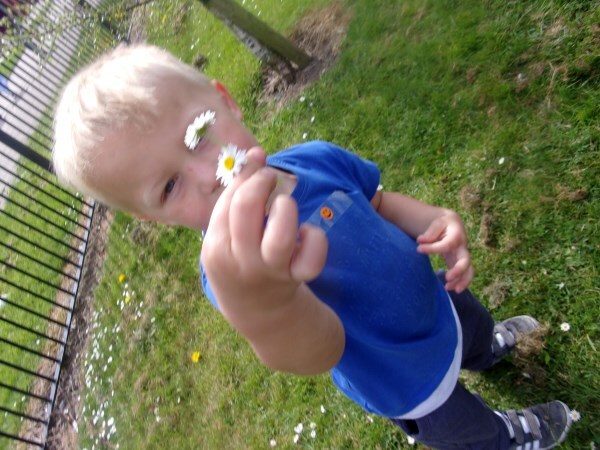 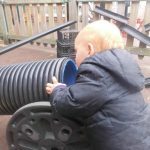 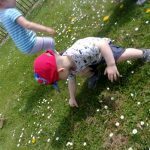 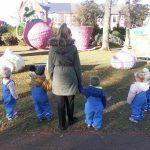 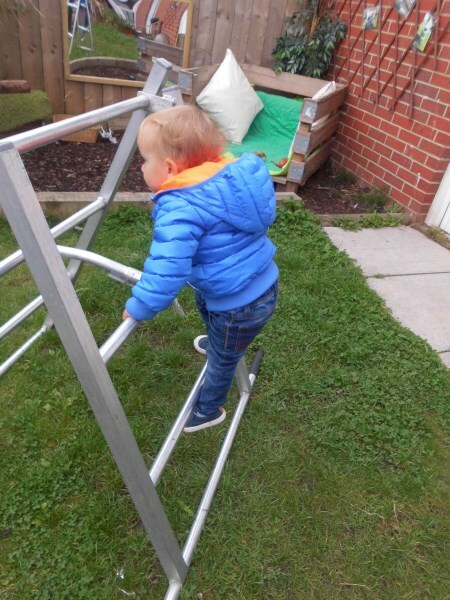 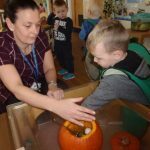 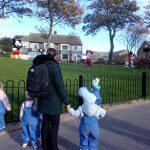 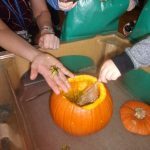 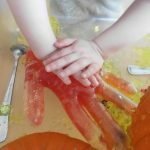 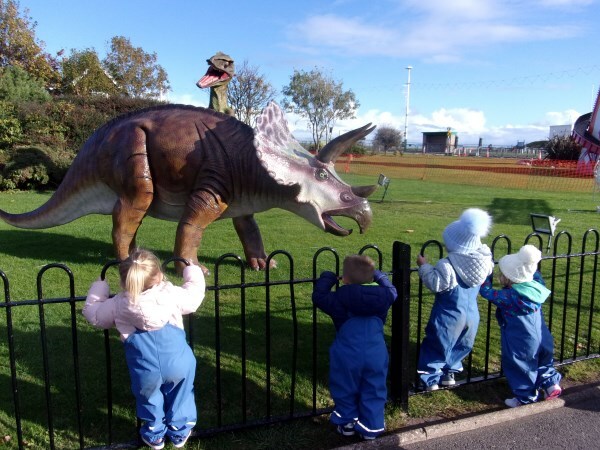 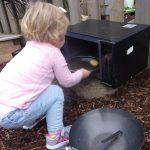 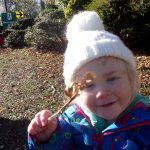 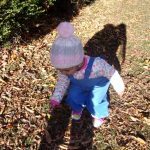 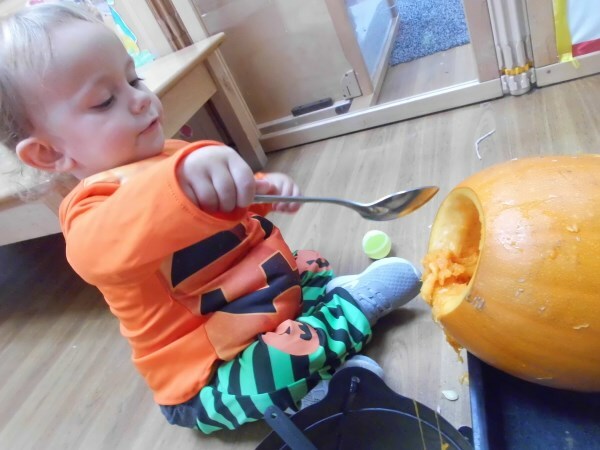 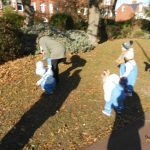 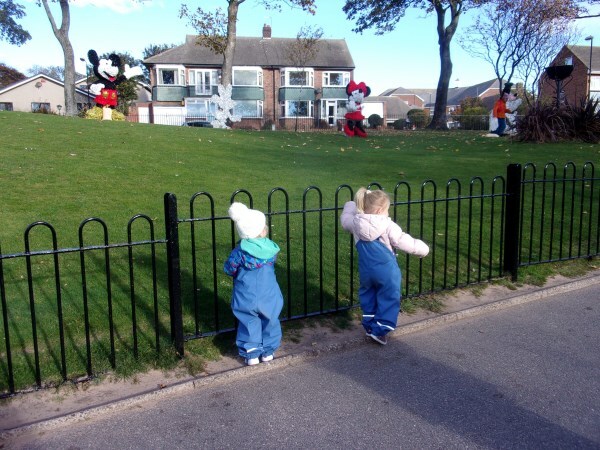 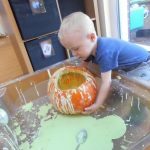 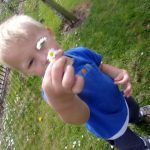 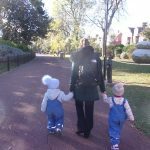 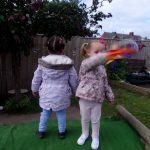 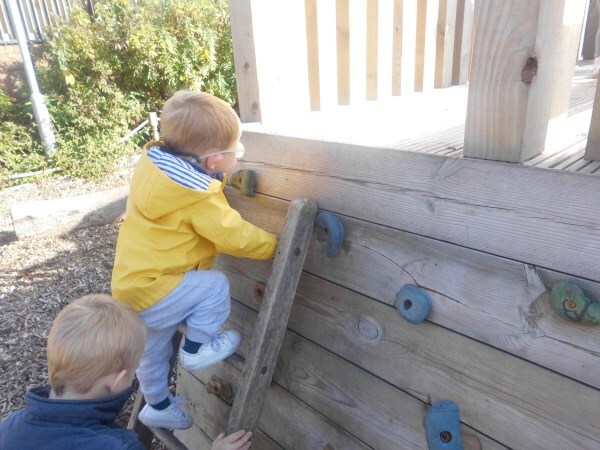 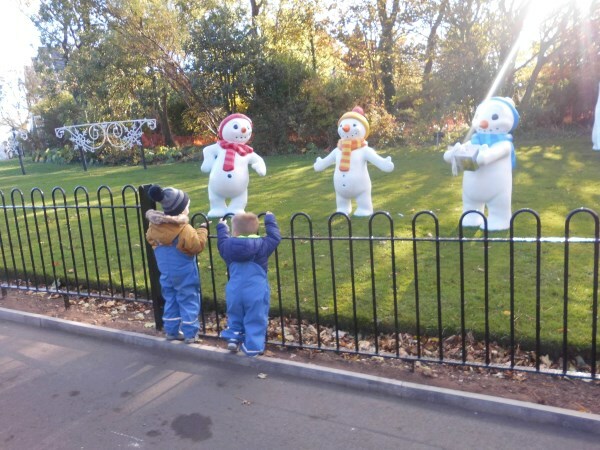 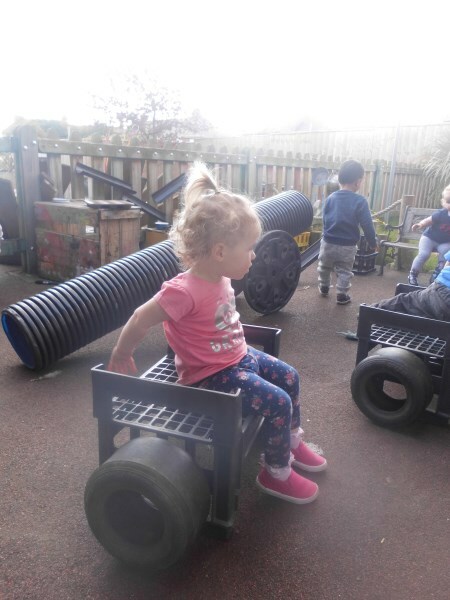 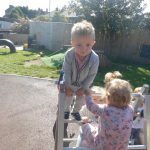 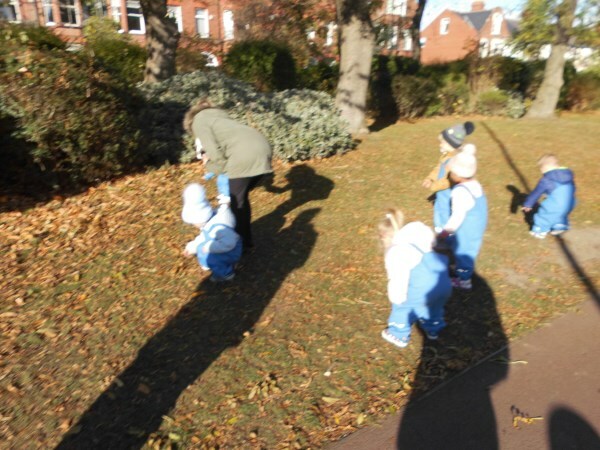 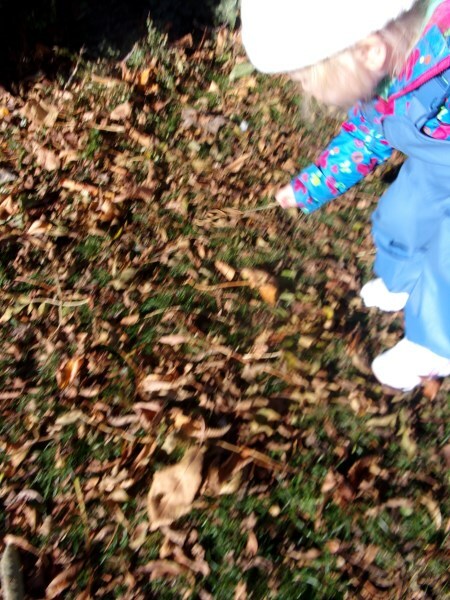 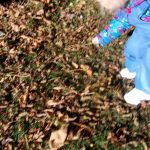 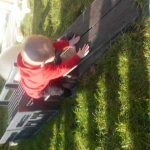 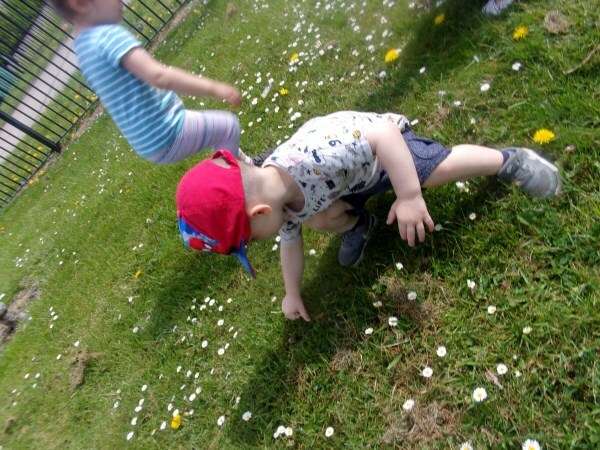 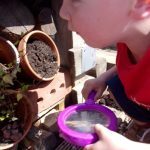 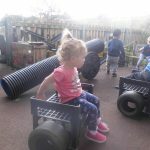 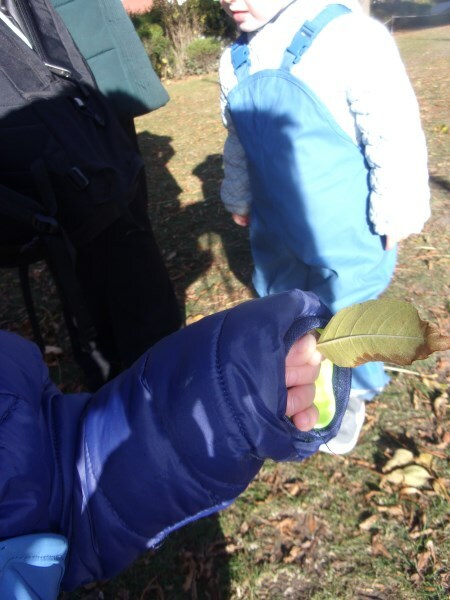 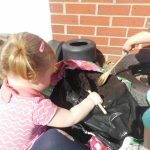 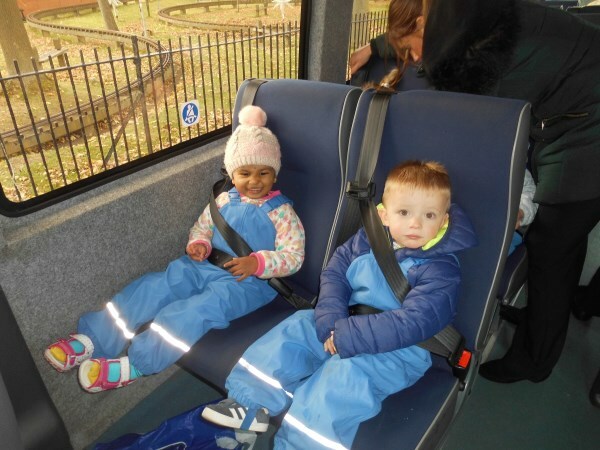 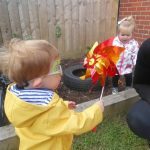 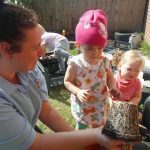 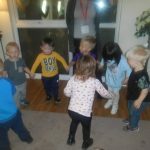 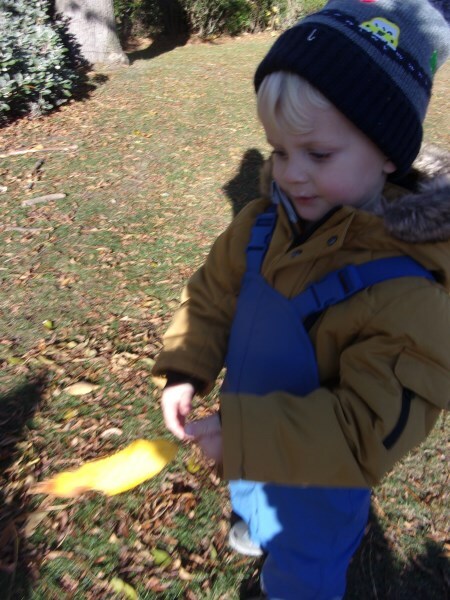 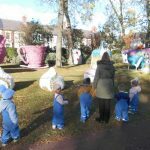 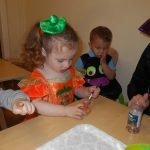 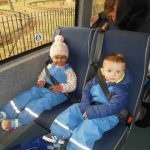 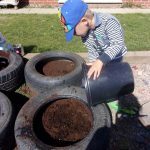 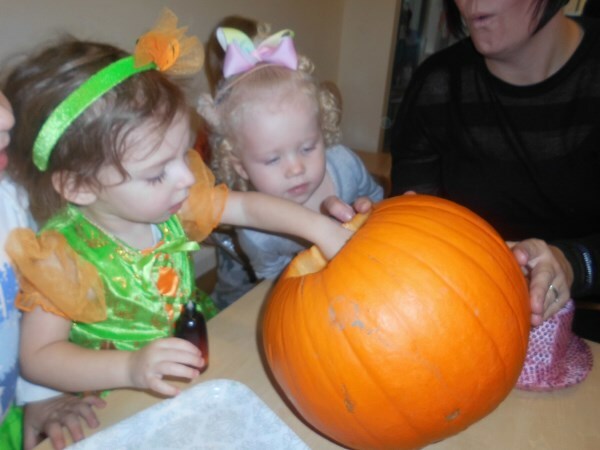 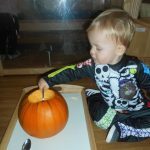 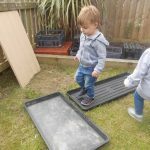 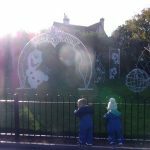 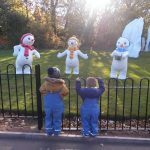 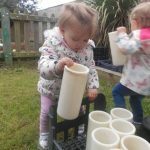 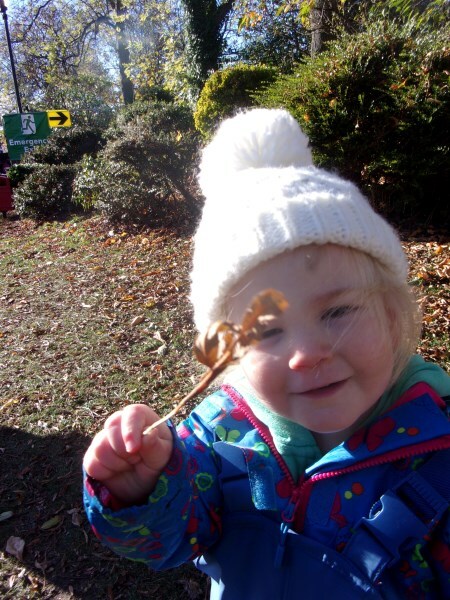 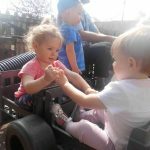 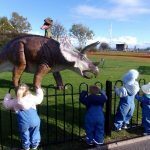 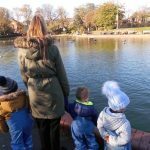 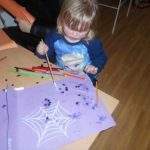 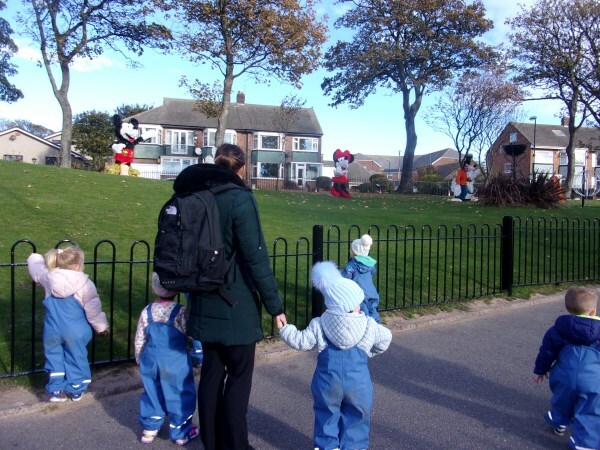 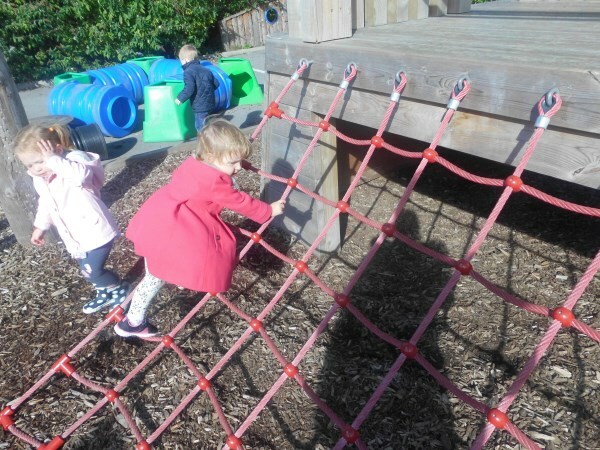 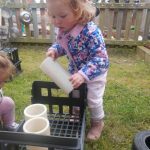 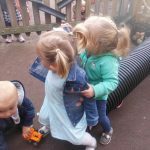 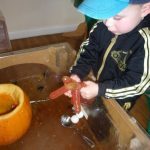 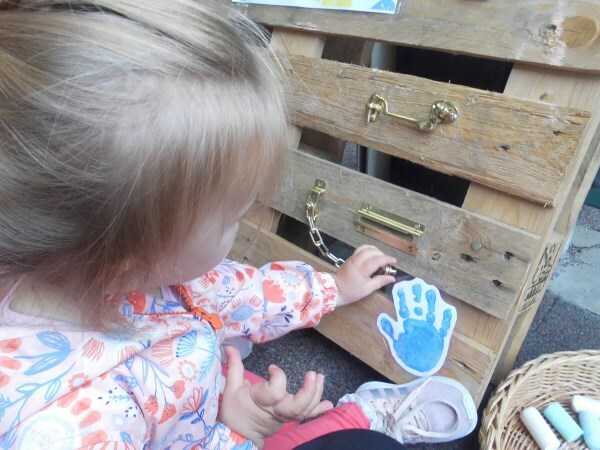 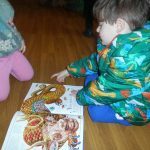 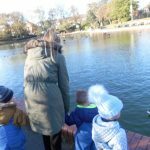 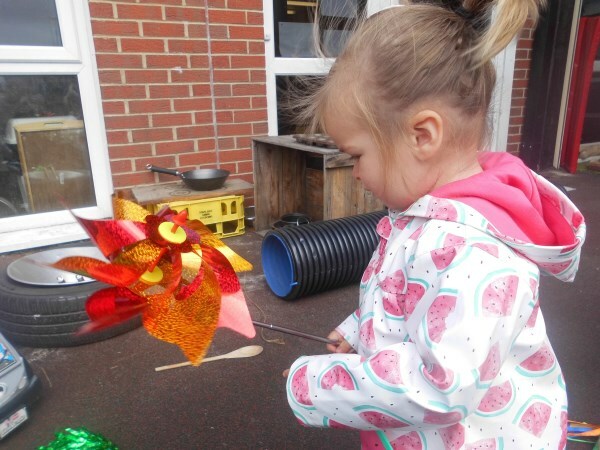 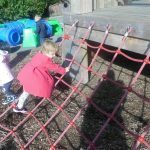 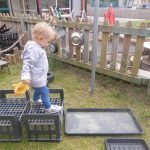 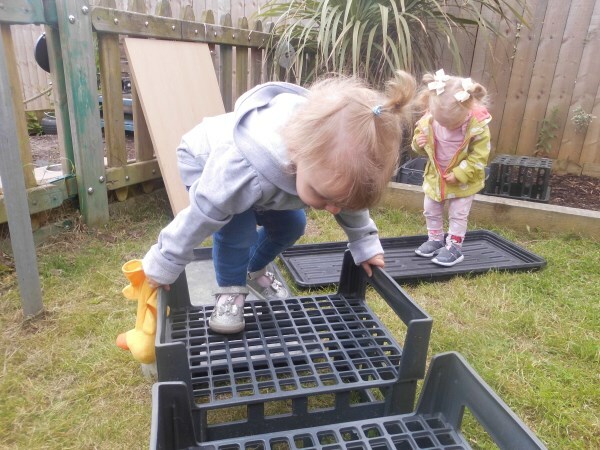 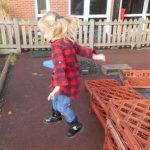 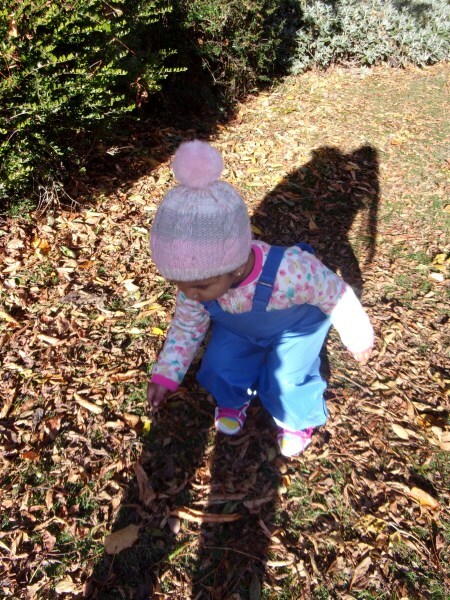 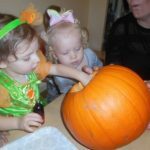 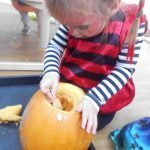 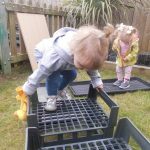 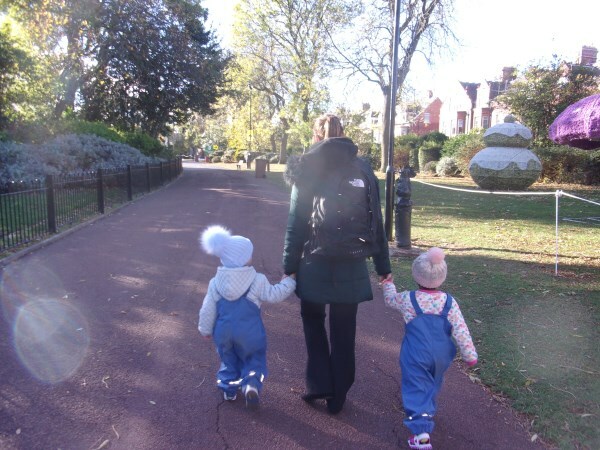 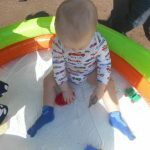 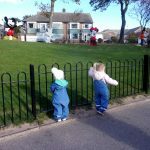 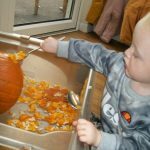 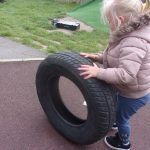 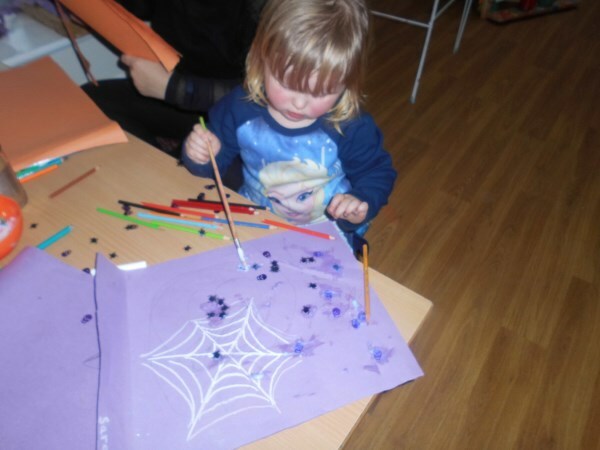 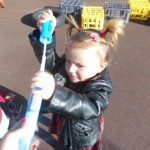 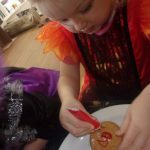 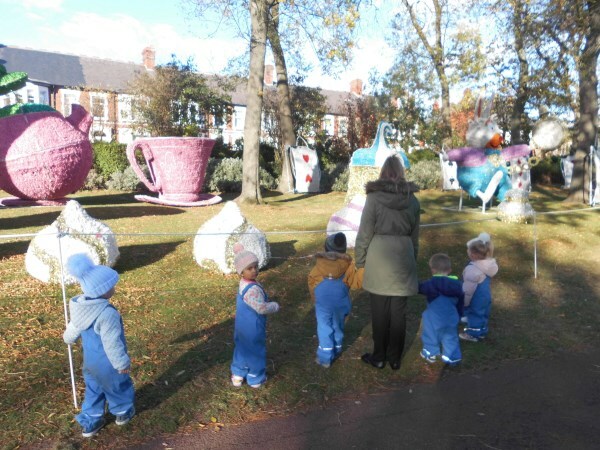 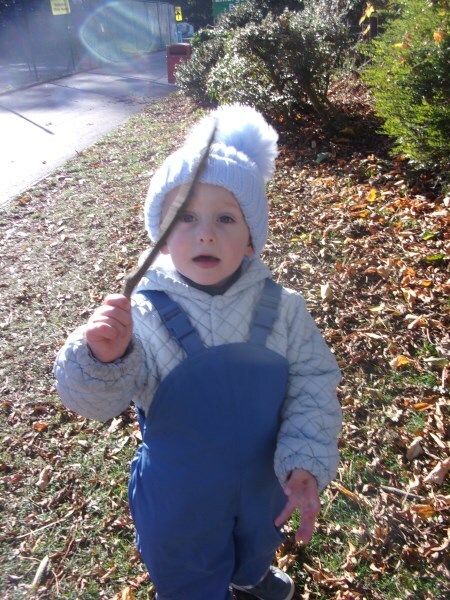 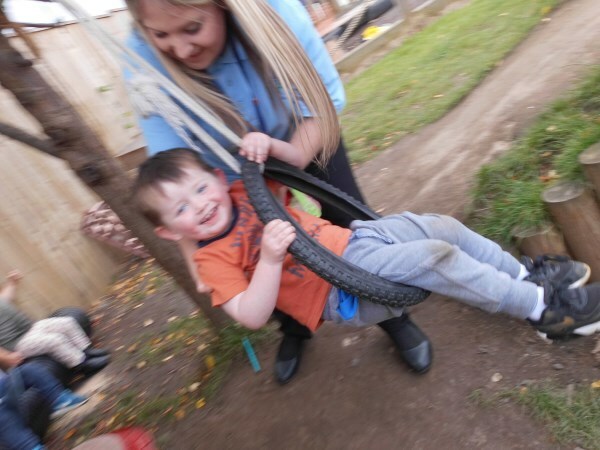 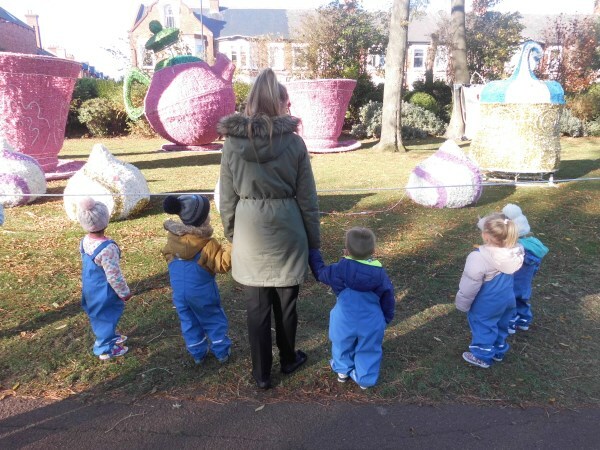 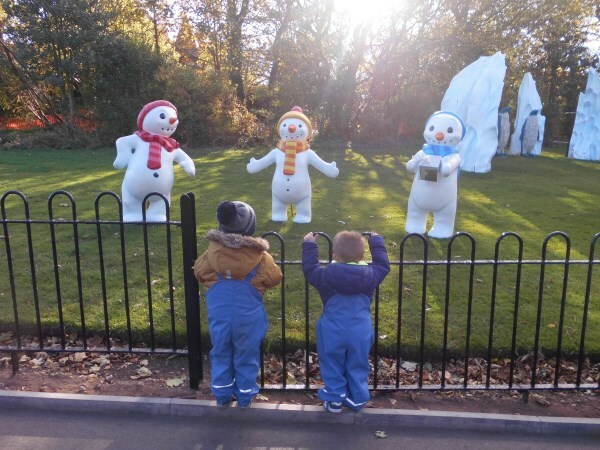 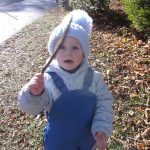 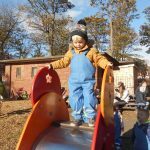 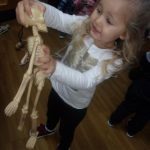 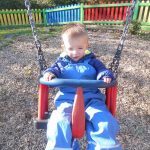 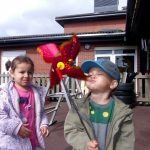 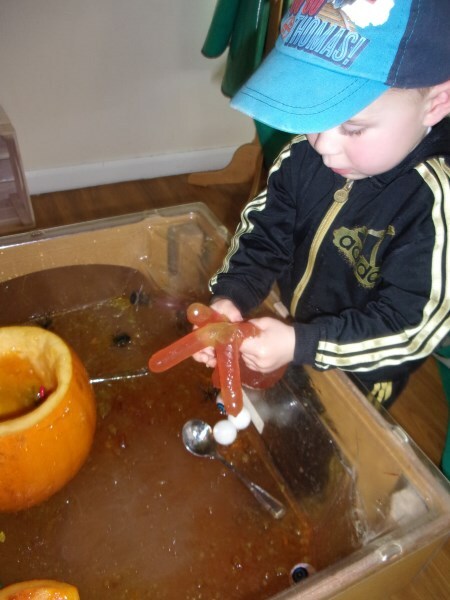 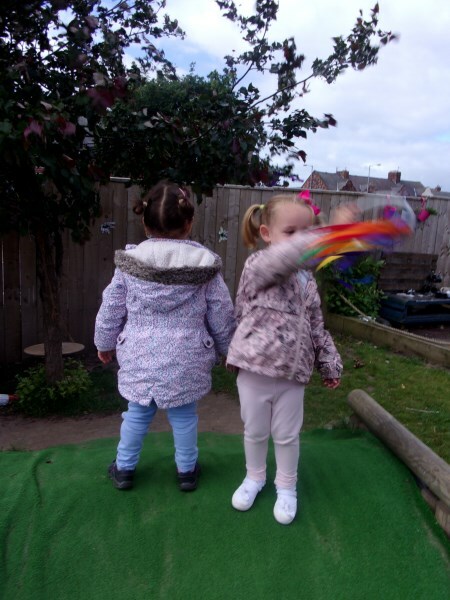 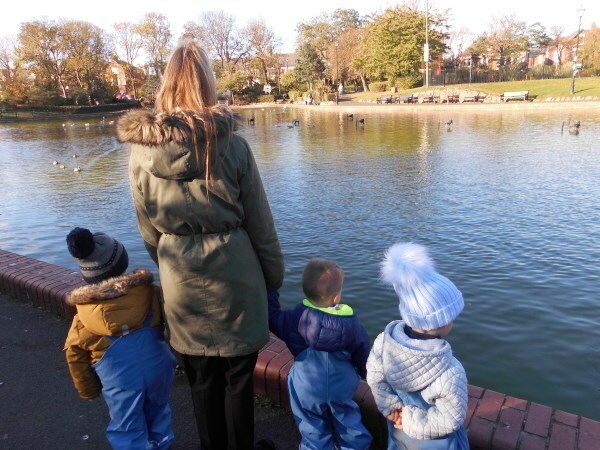 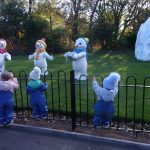 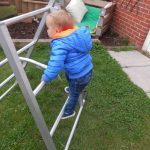 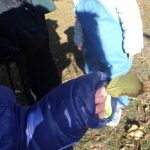 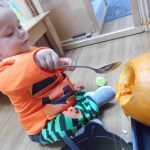 Autumn is here: We used the school mini bus to go on a trip to Roker park, we collected some natural treasures, explored all the lovely decorations and had a little play on the park. 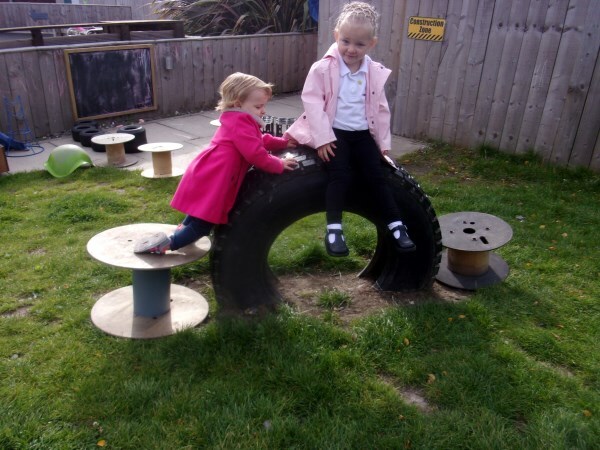 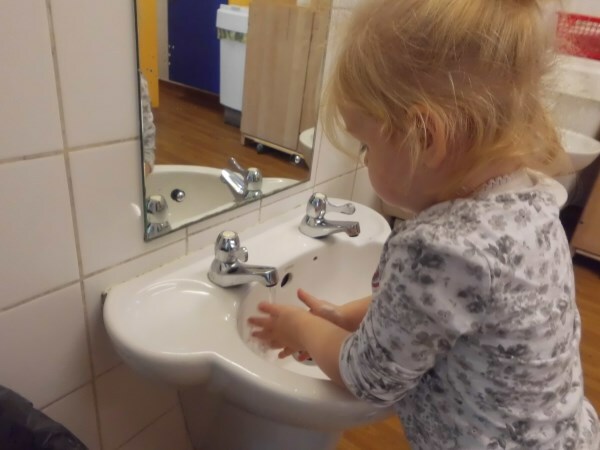 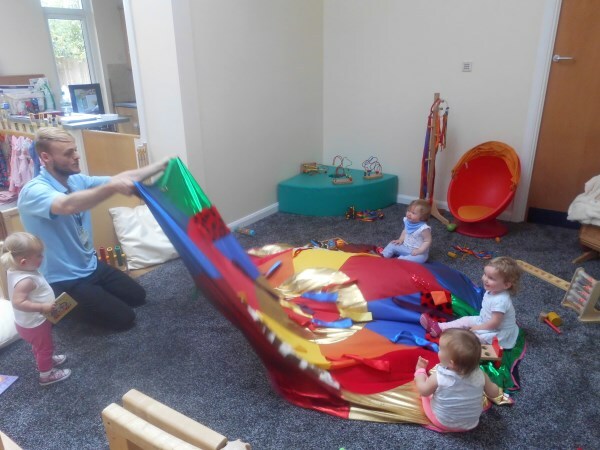 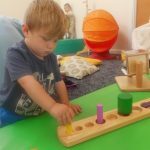 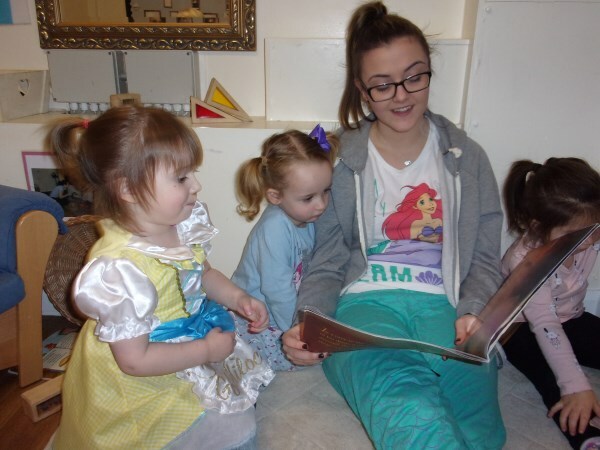 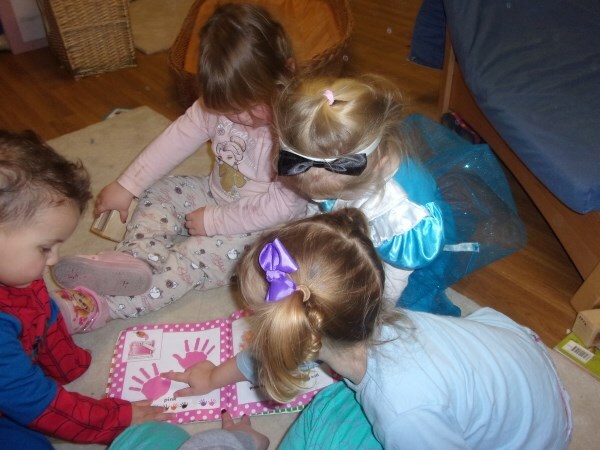 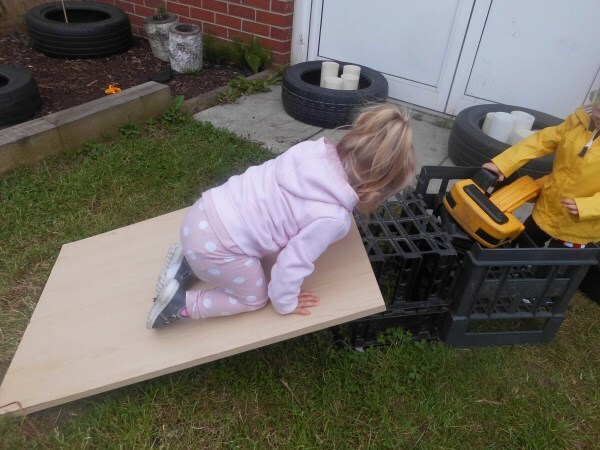 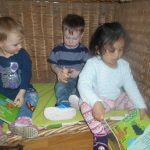 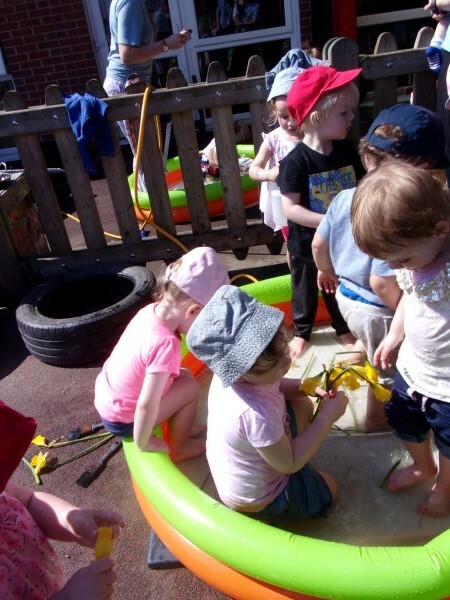 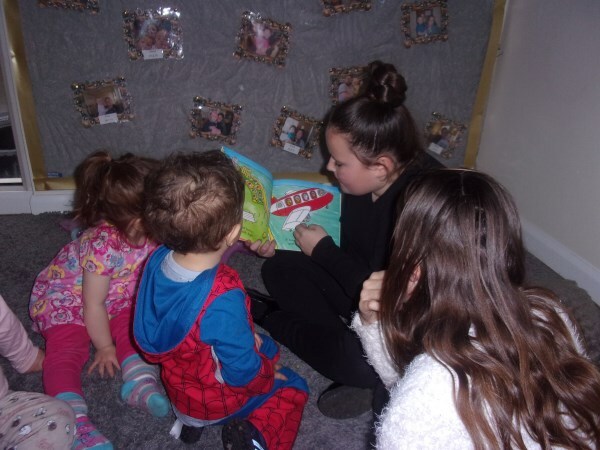 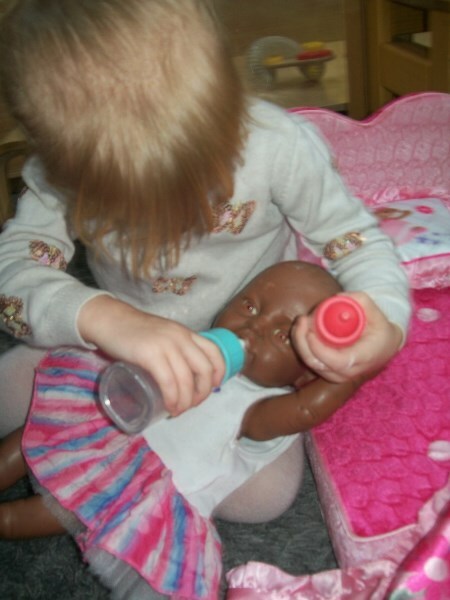 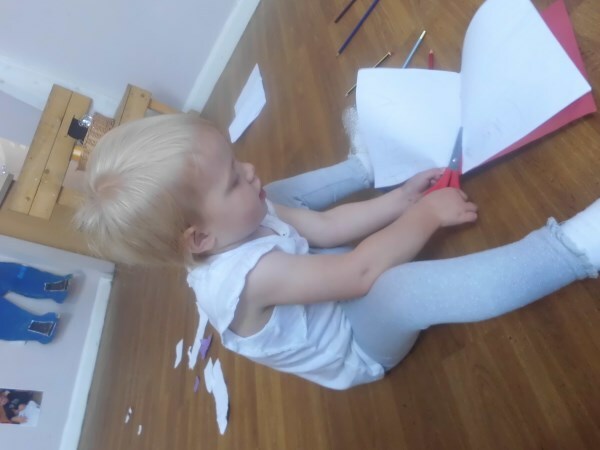 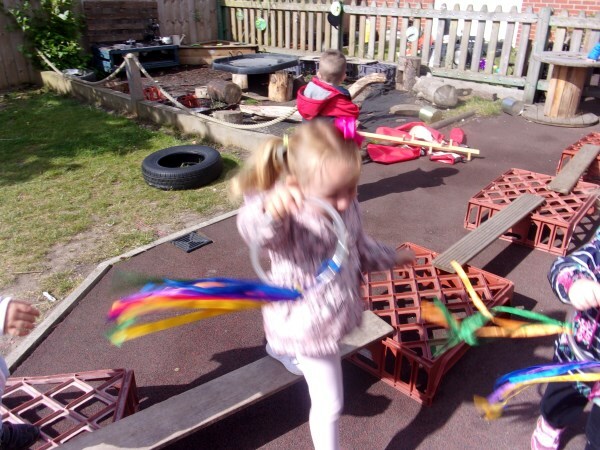 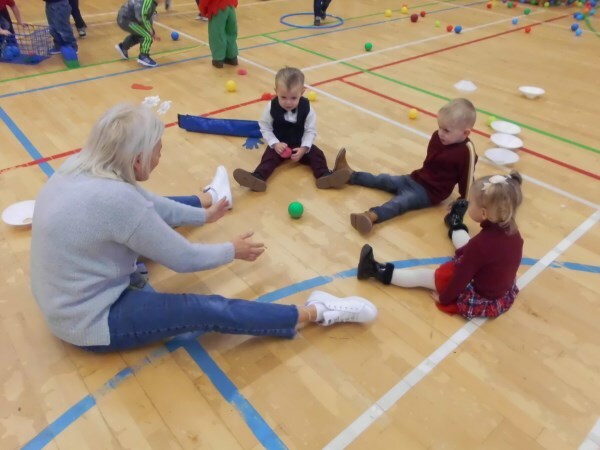 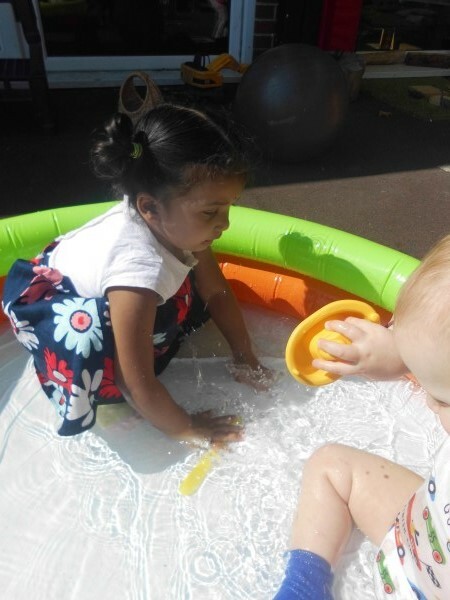 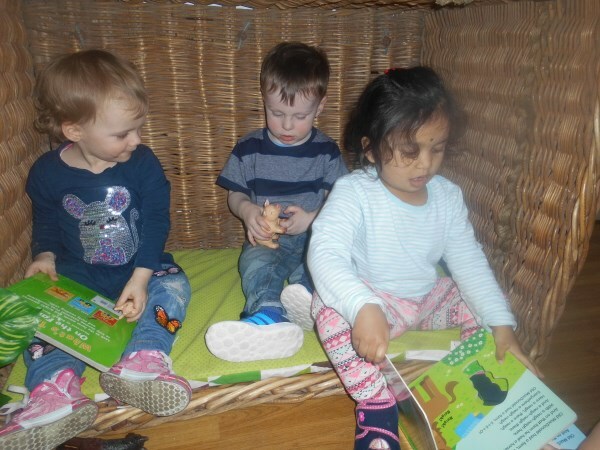 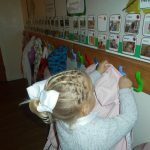 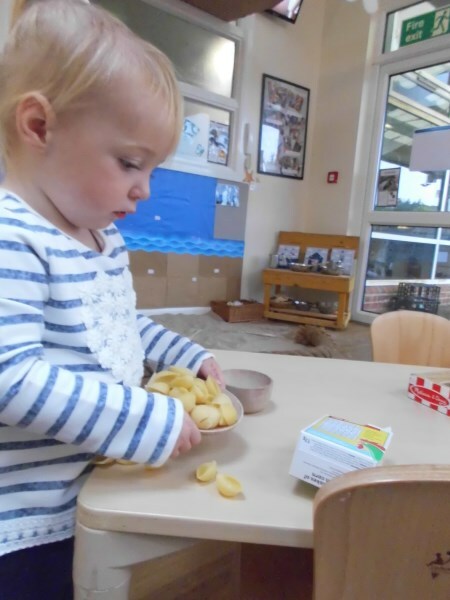 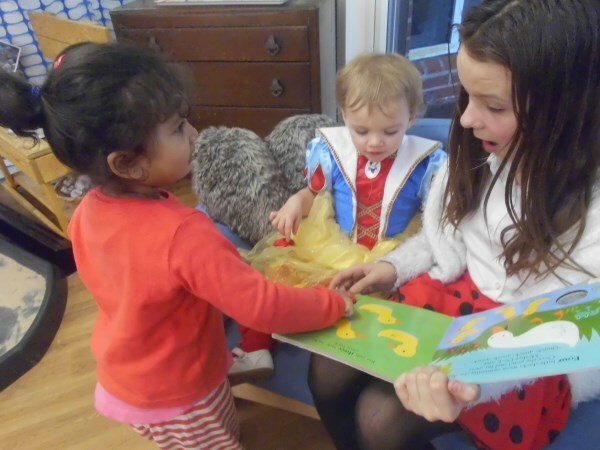 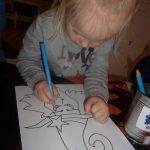 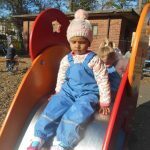 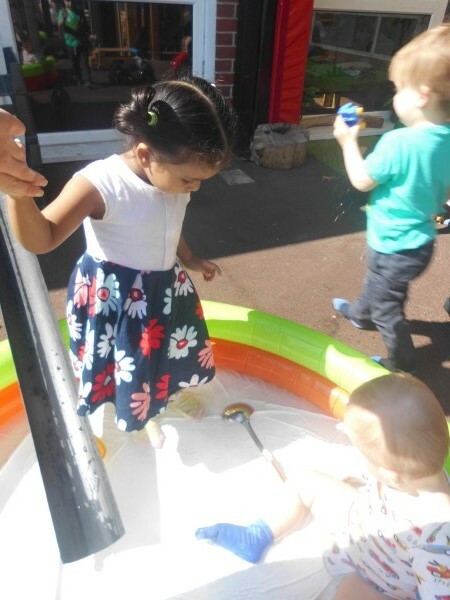 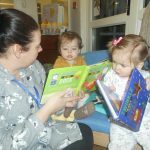 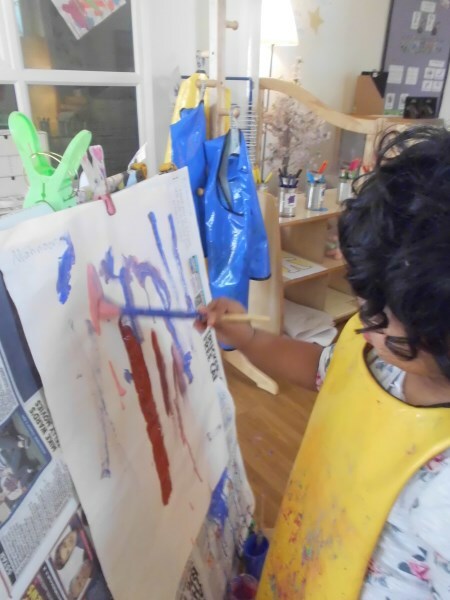 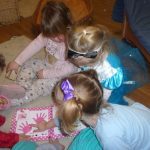 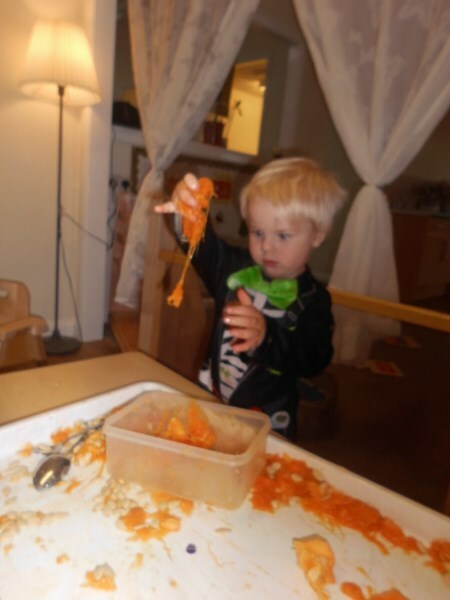 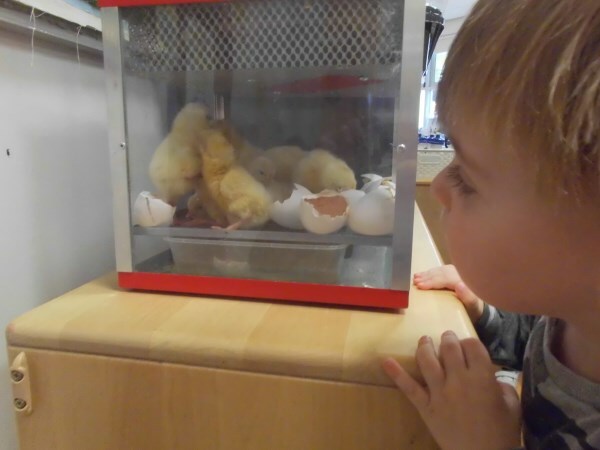 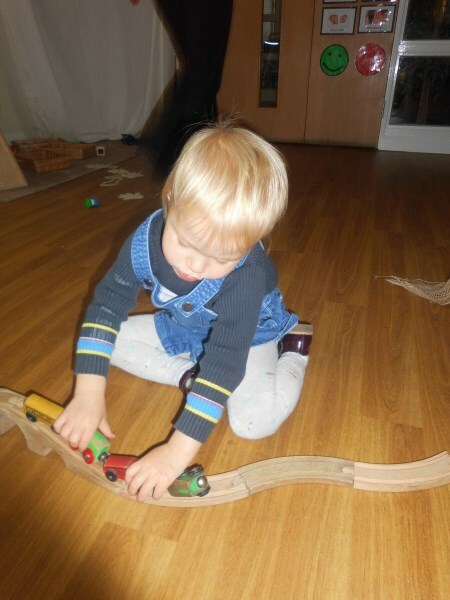 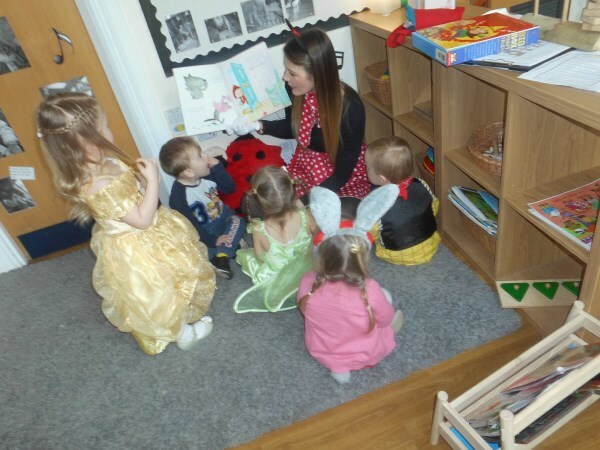 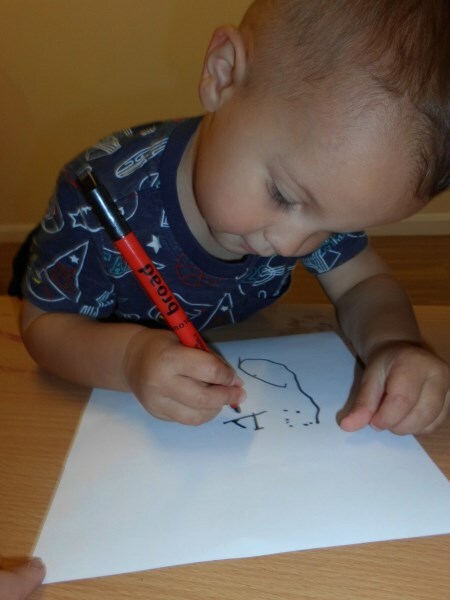 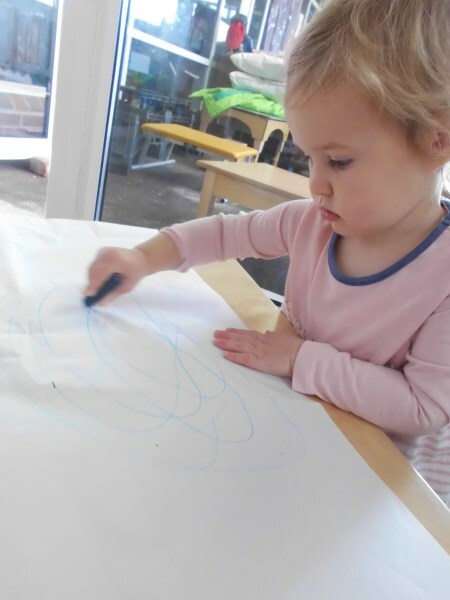 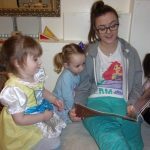 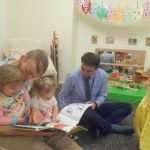 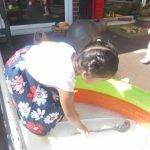 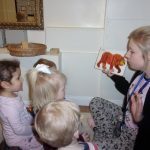 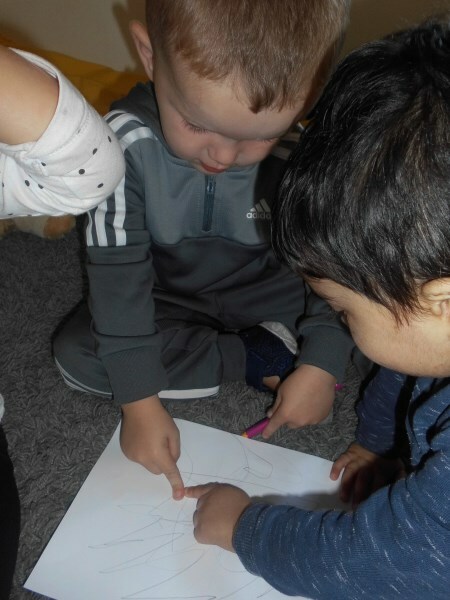 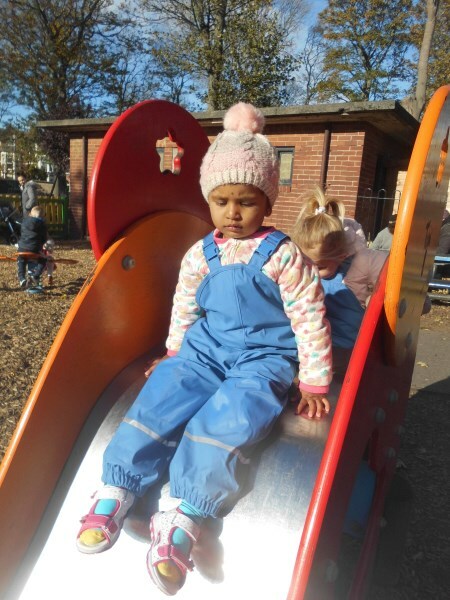 The children have settled back into their nursery routine and the new children are settling well. 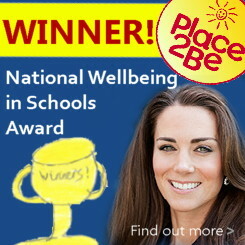 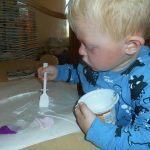 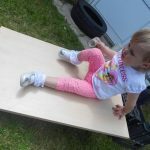 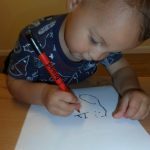 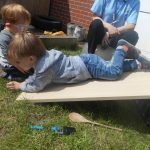 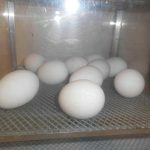 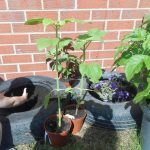 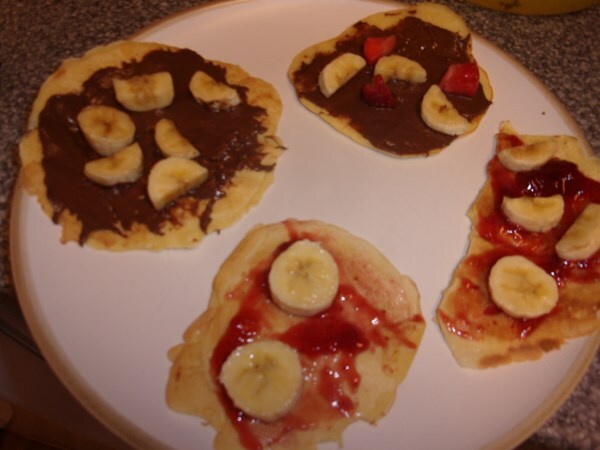 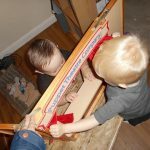 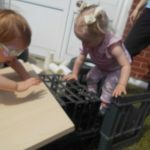 Have a look at what they have been doing. 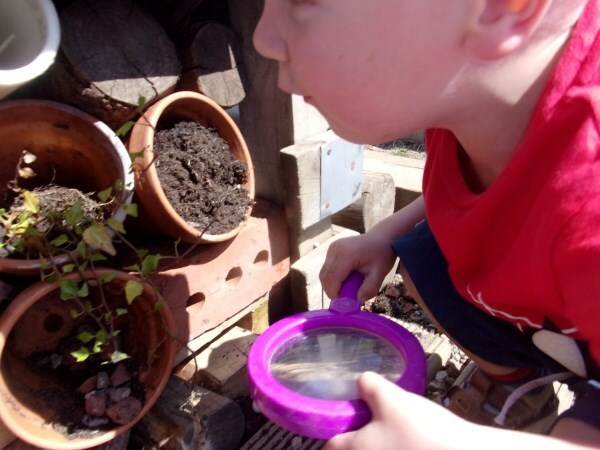 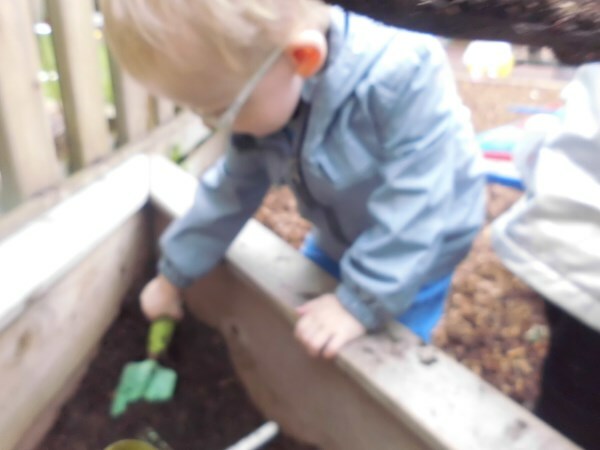 We have discovered and learnt lots this spring. 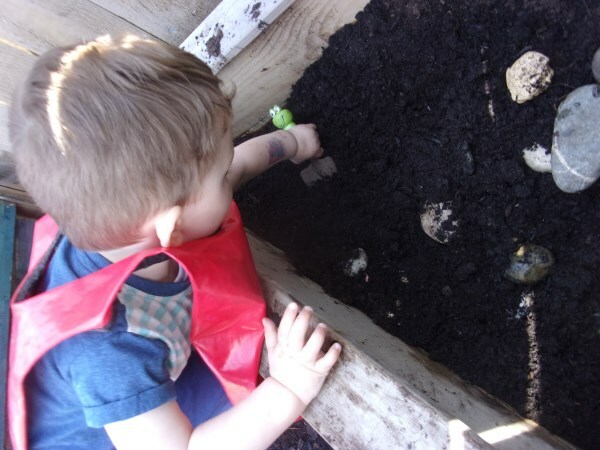 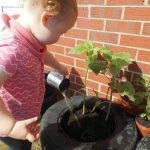 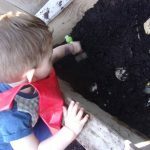 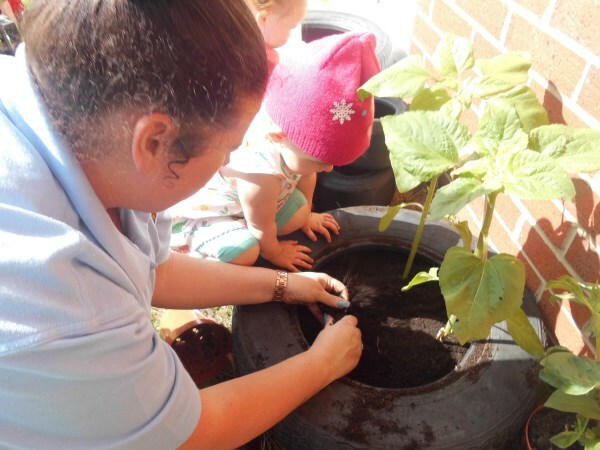 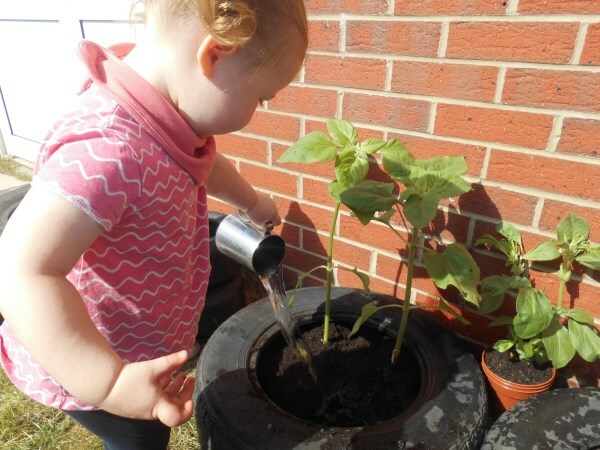 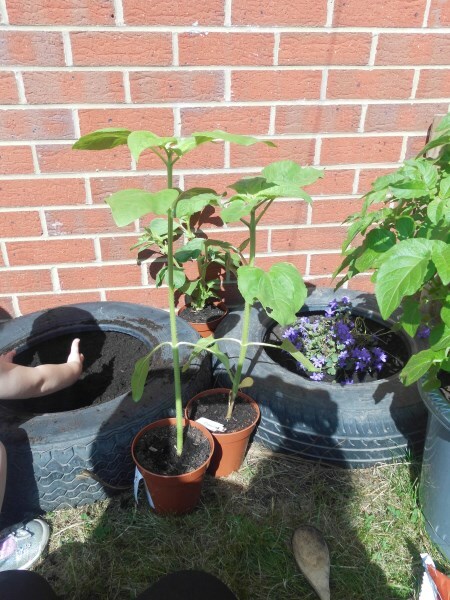 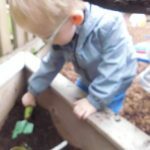 We planted and watered our plants and vegetables. 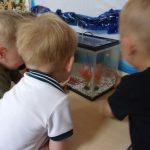 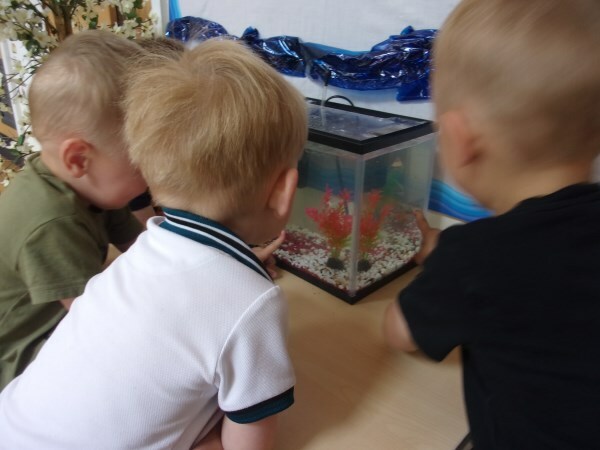 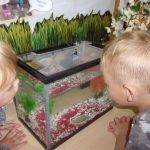 We bought fish for nursery. 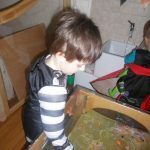 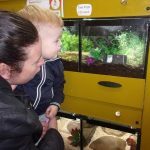 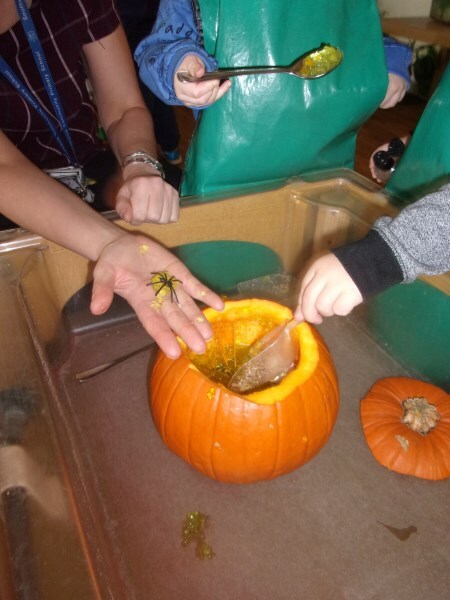 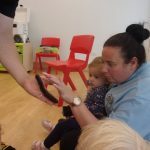 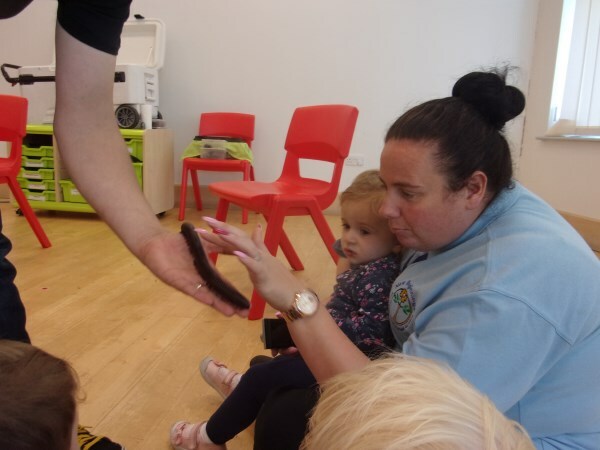 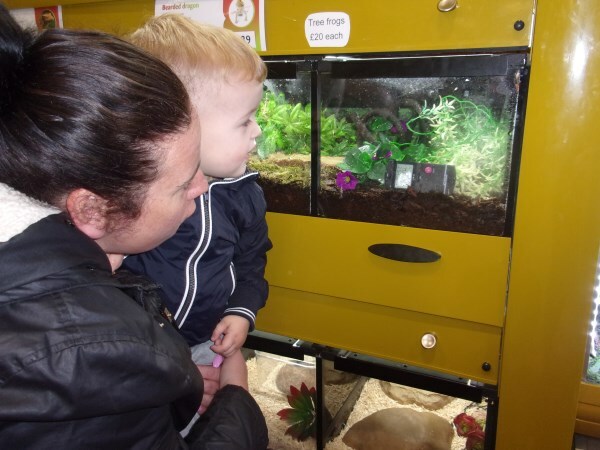 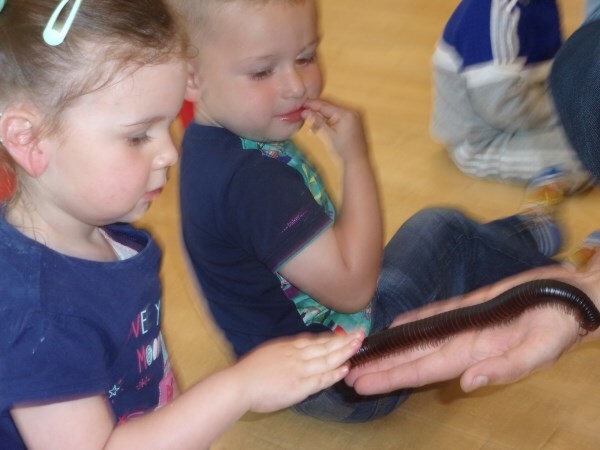 The ‘bug man’ came and we touched some strange creatures. 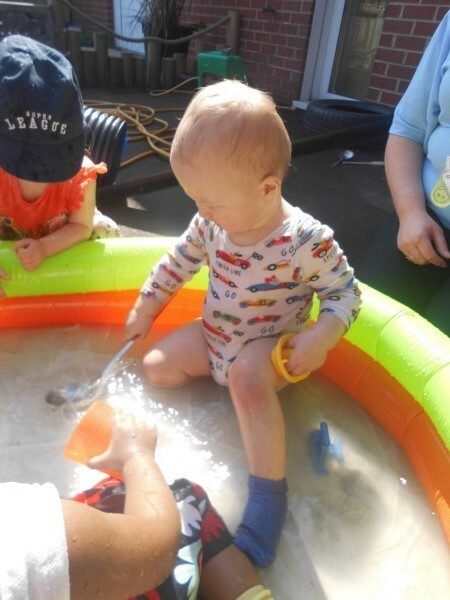 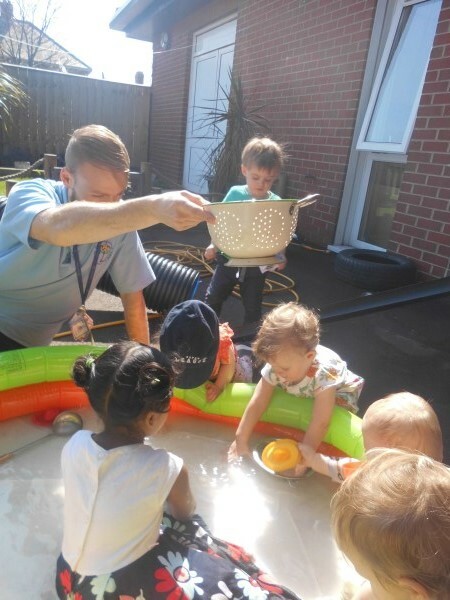 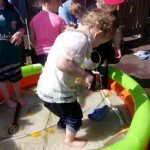 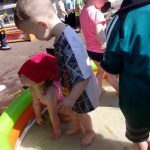 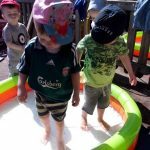 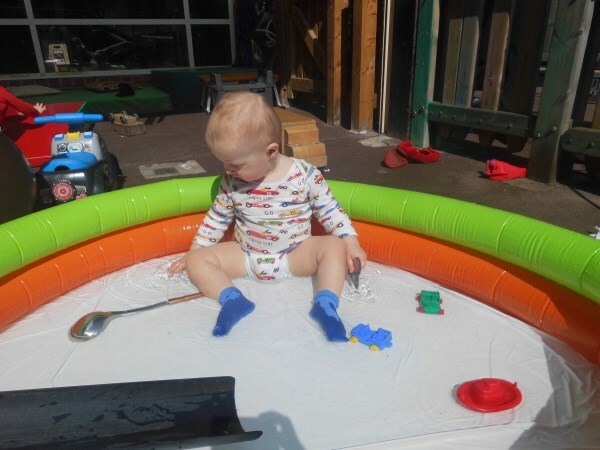 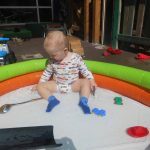 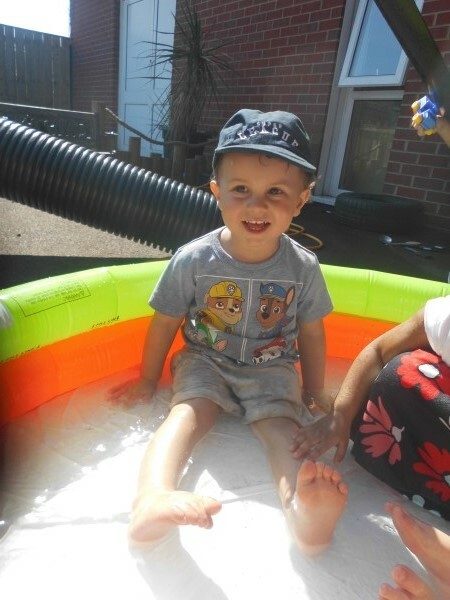 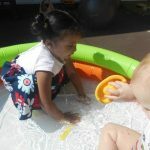 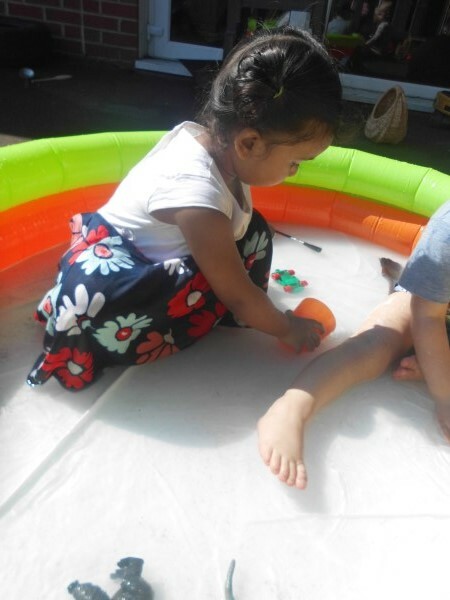 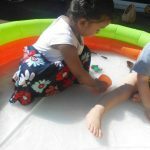 Fun In The Sun Splashing In The Pool! 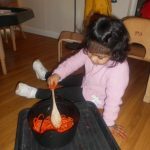 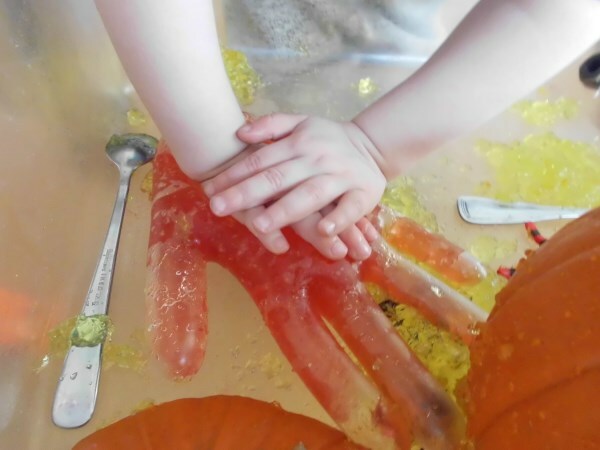 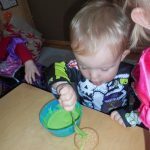 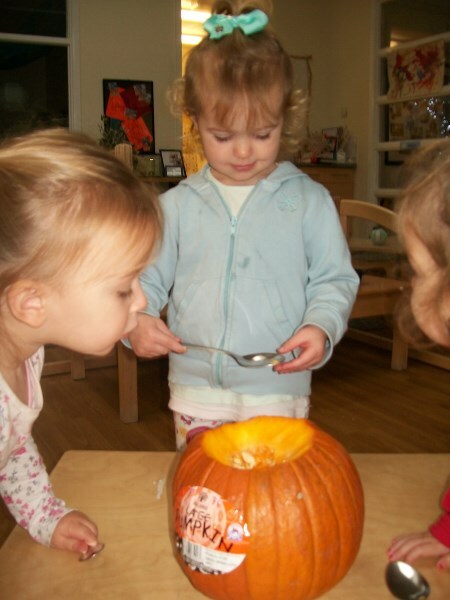 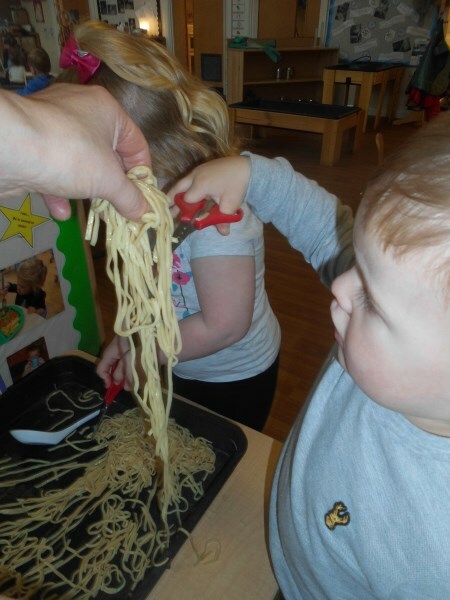 We explored various food using our senses. 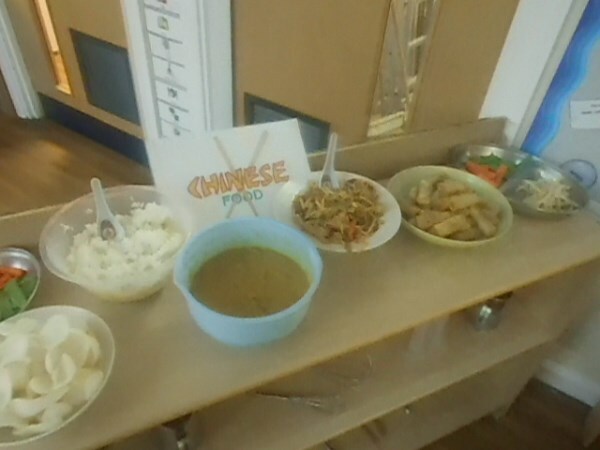 We also had a taste of China. 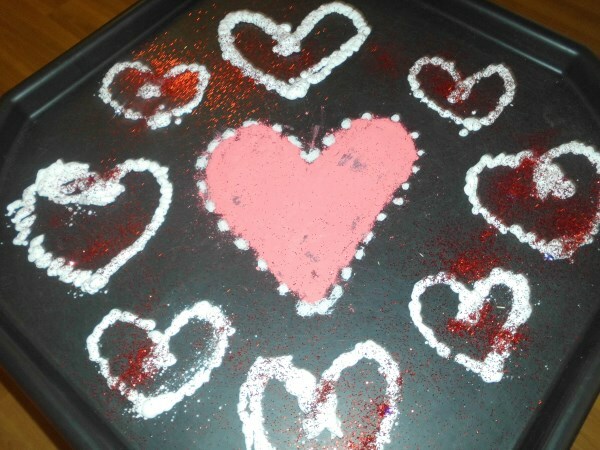 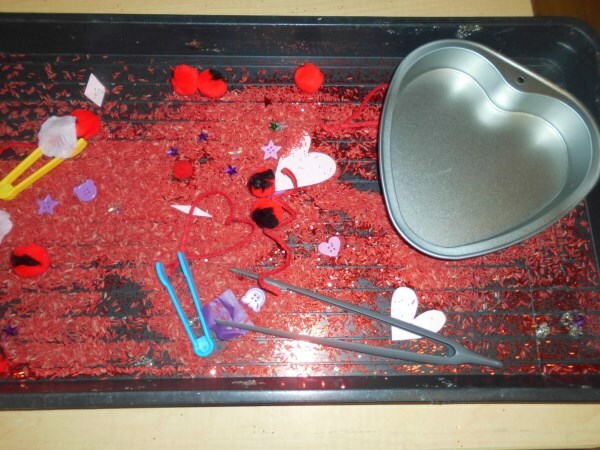 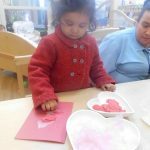 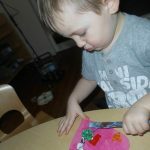 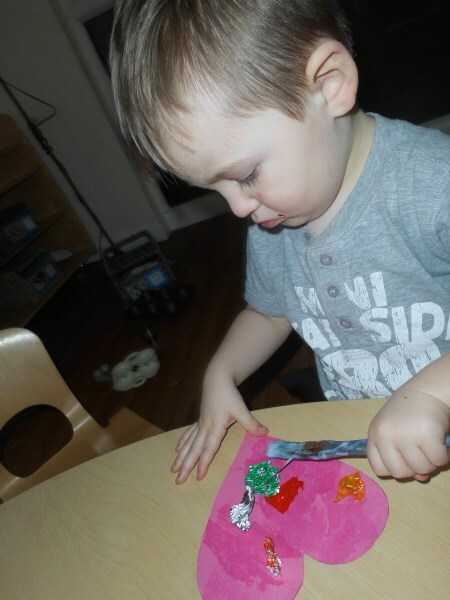 On Valentine’s day, we made cards to our loved ones. 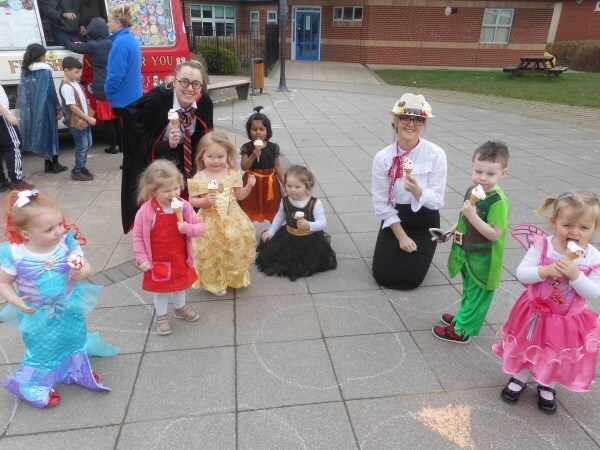 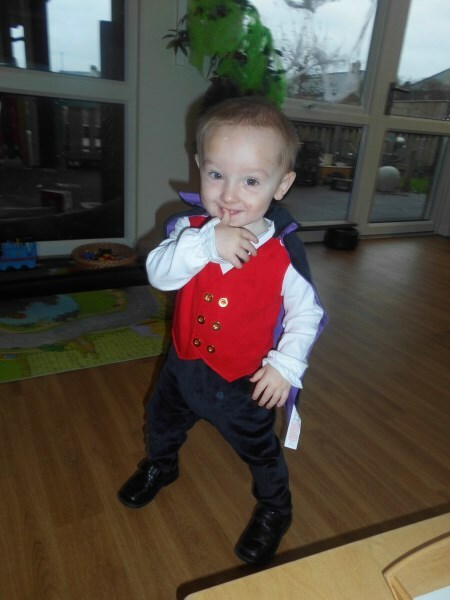 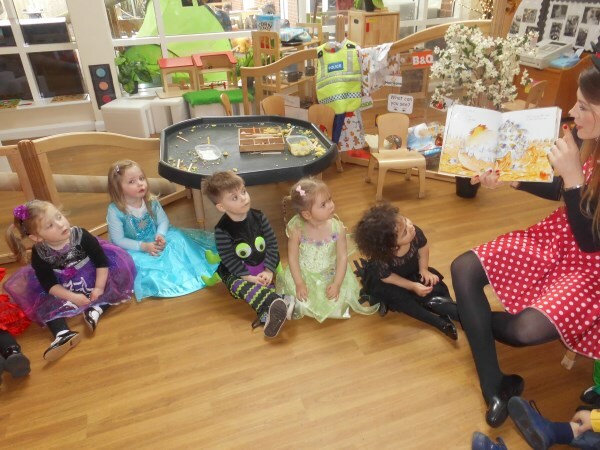 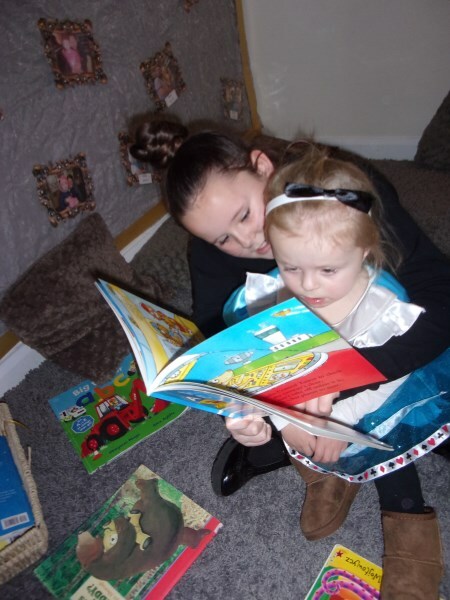 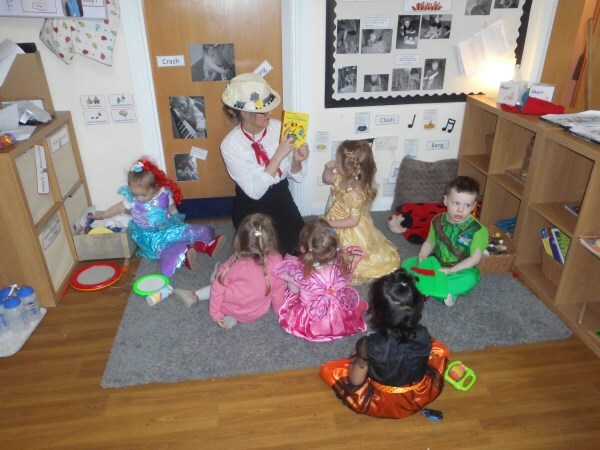 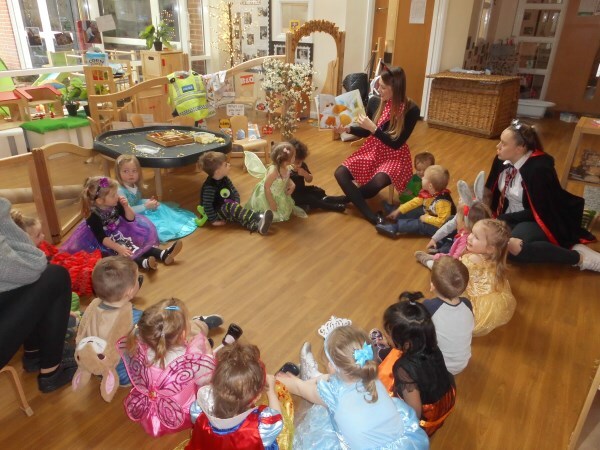 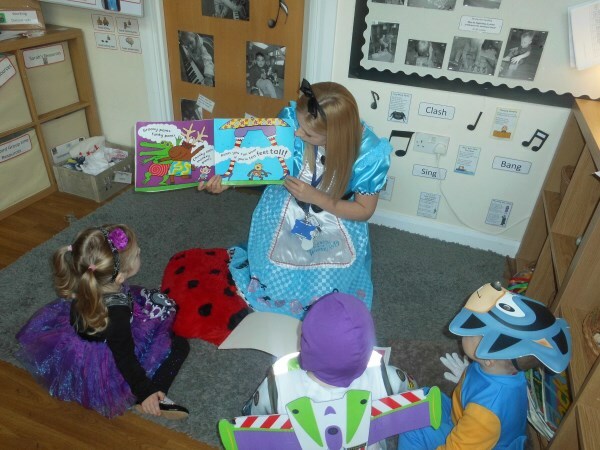 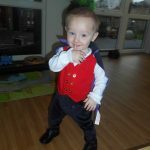 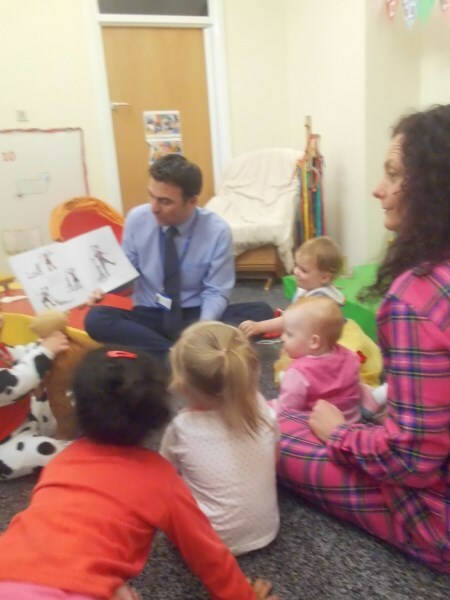 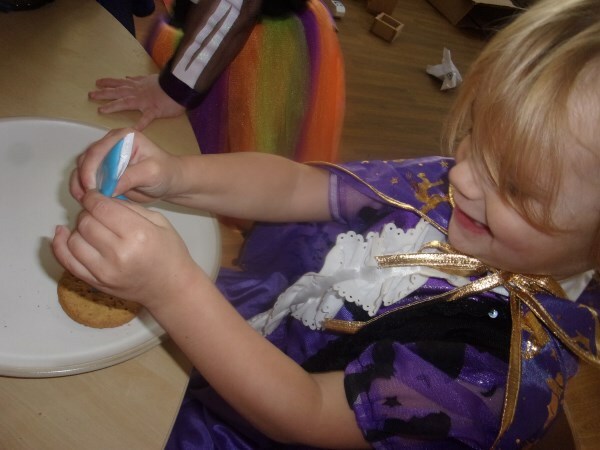 This week we have celebrated National Nursery Rhyme week. 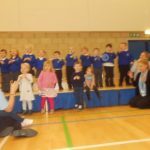 We have sung all our favourite songs to our family members. 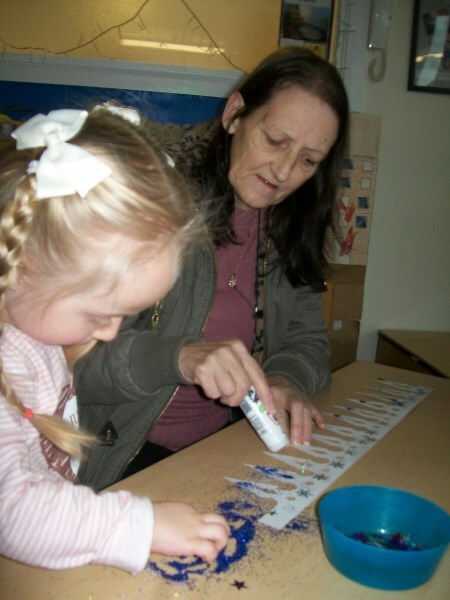 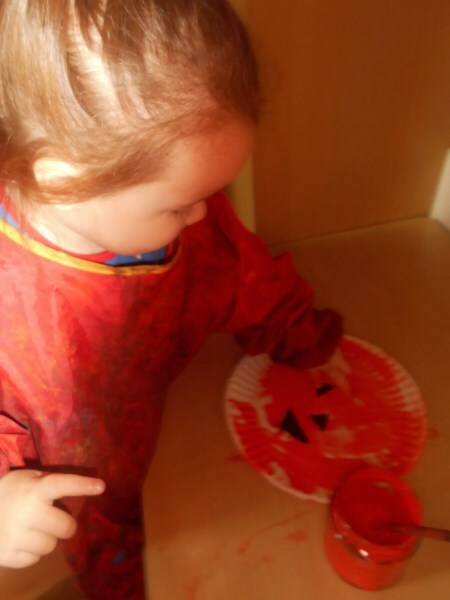 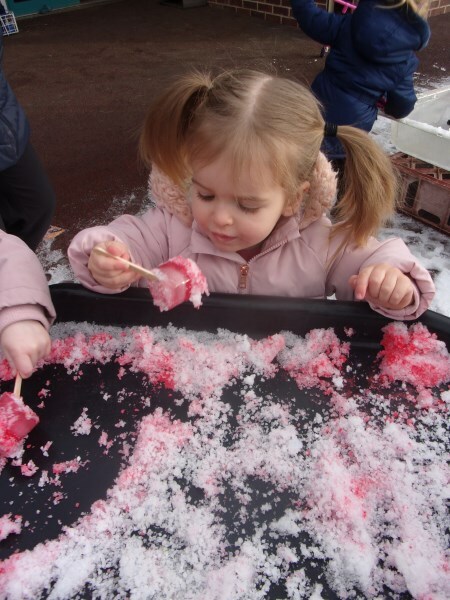 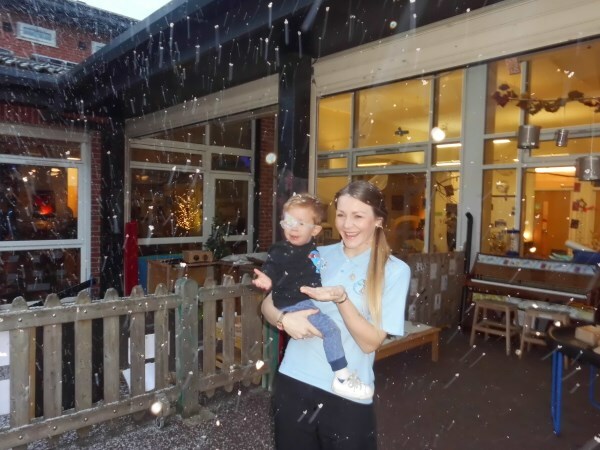 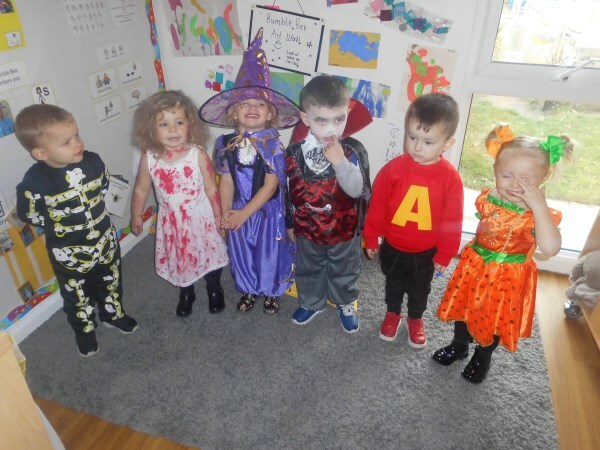 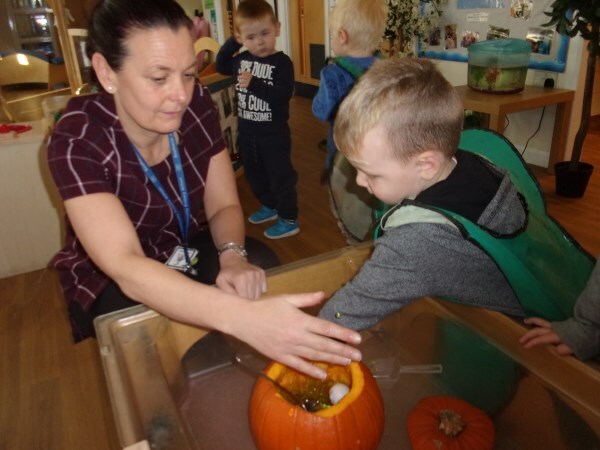 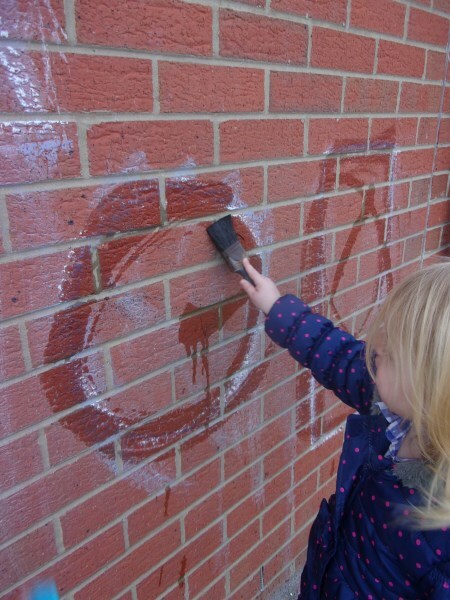 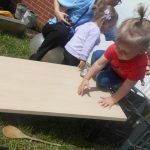 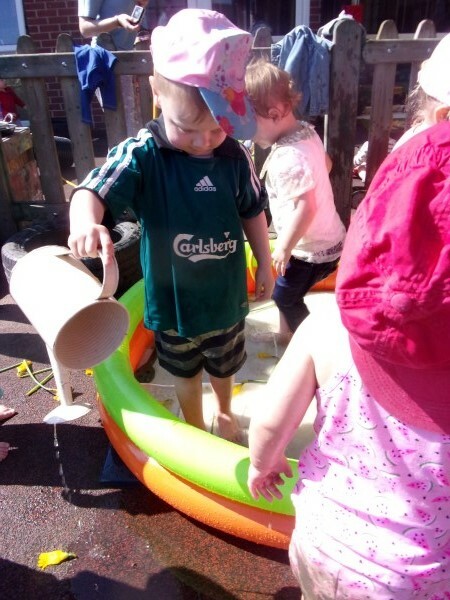 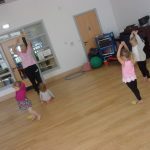 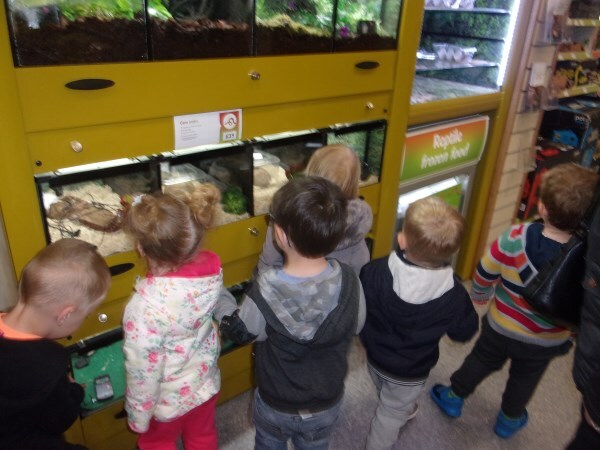 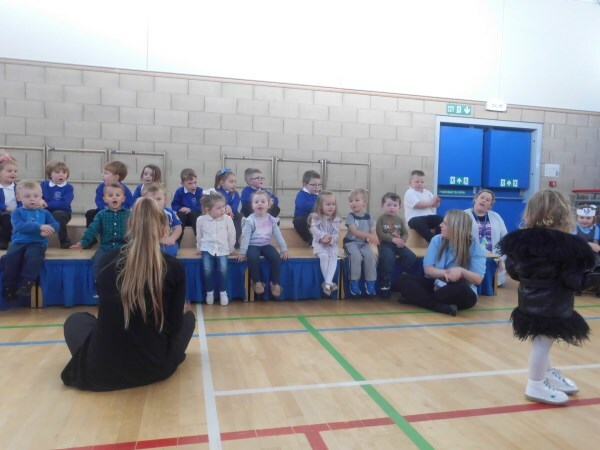 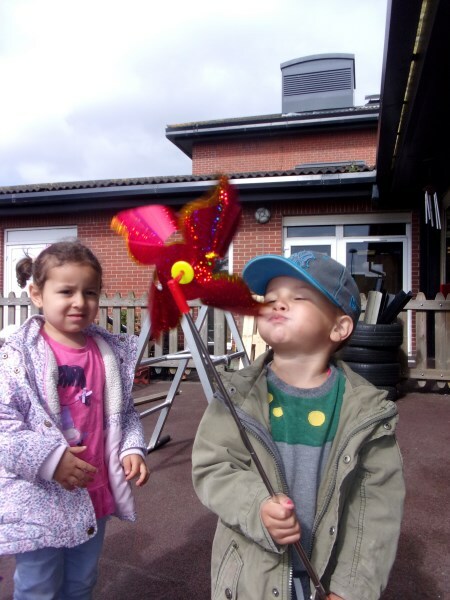 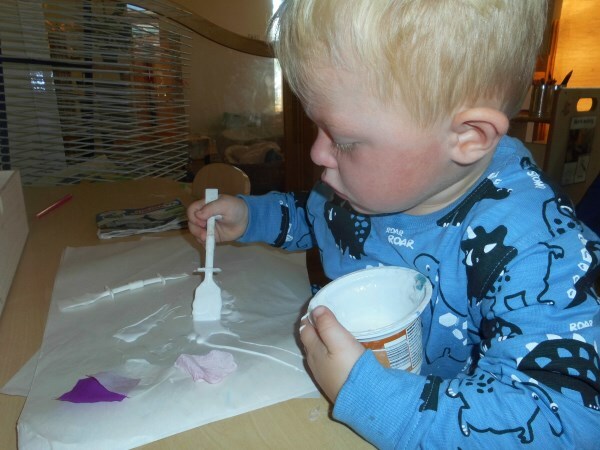 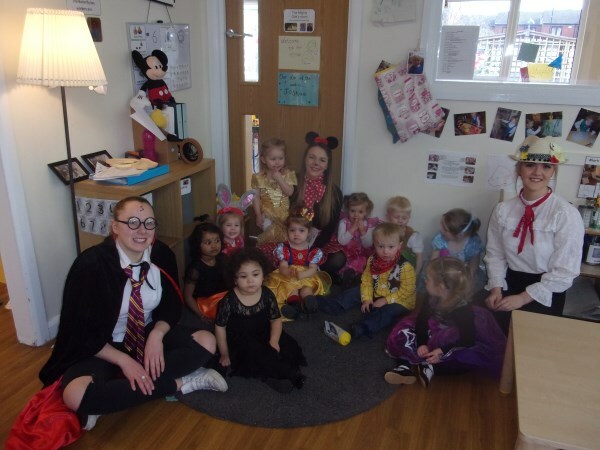 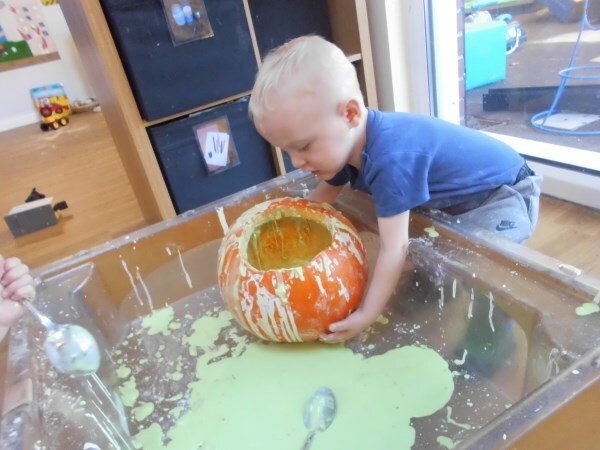 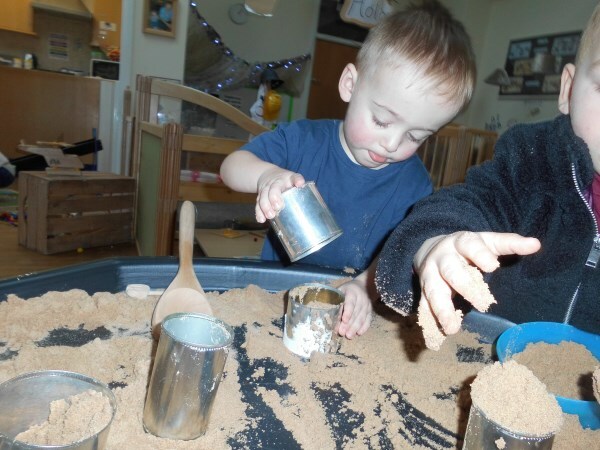 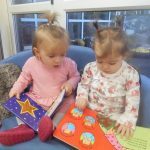 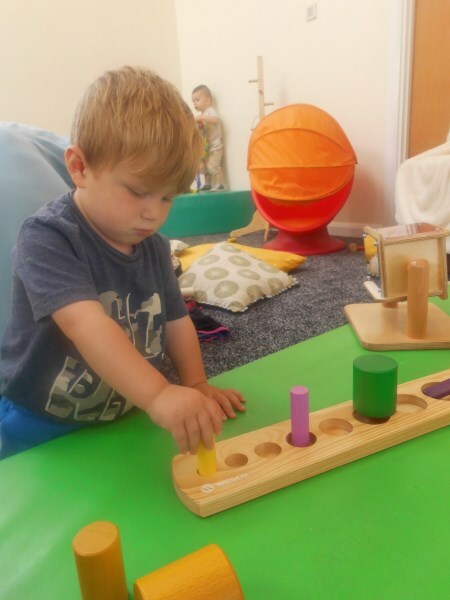 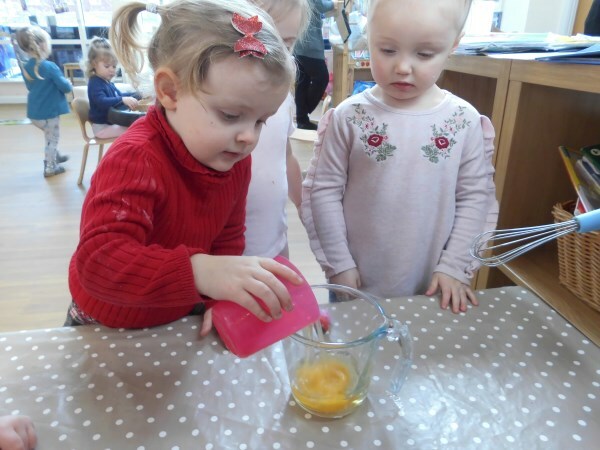 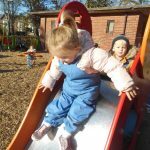 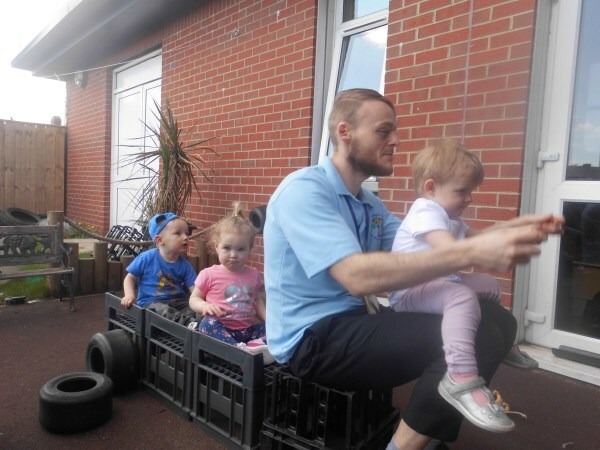 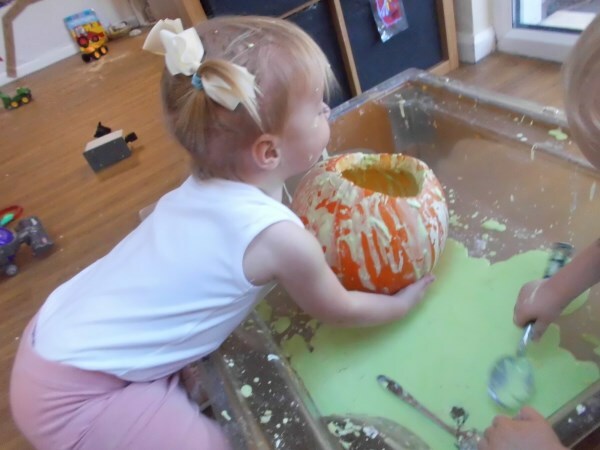 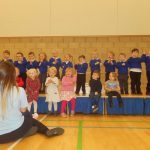 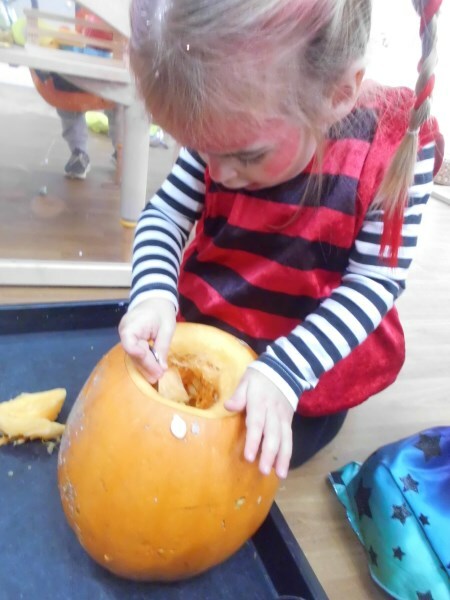 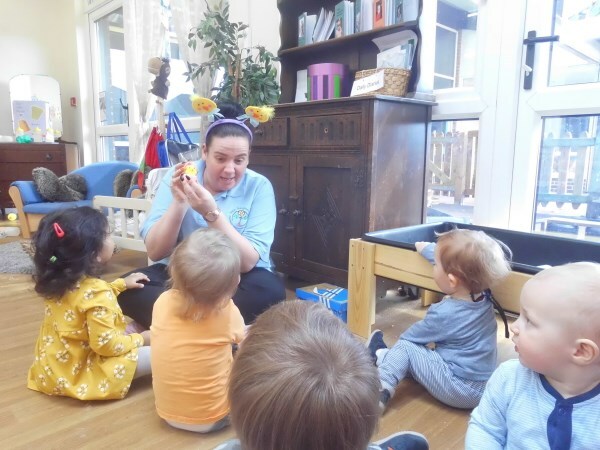 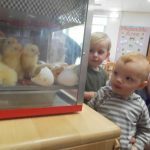 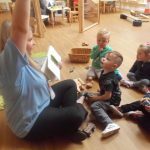 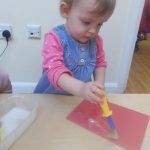 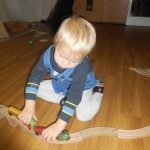 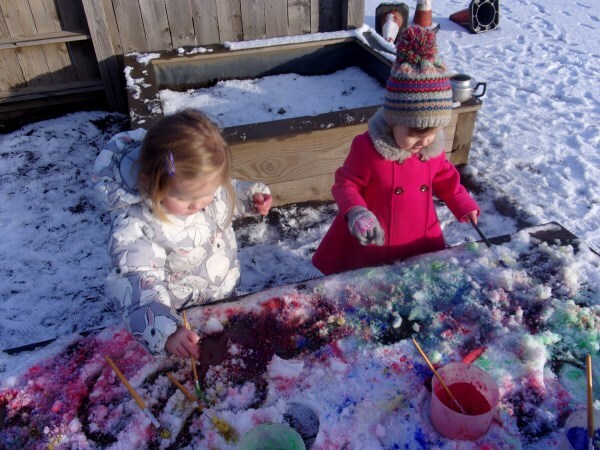 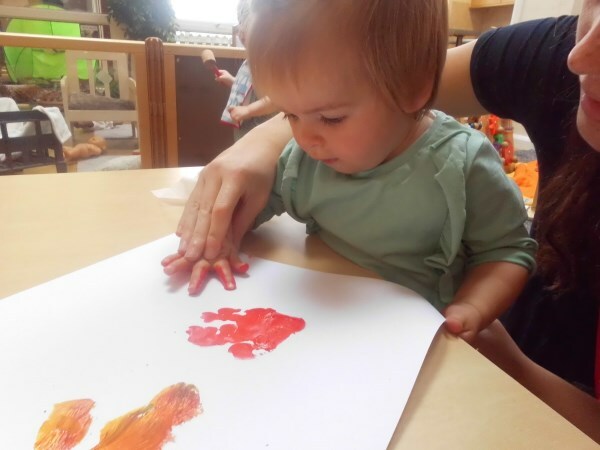 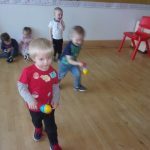 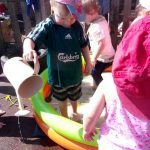 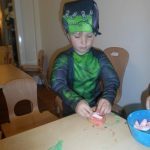 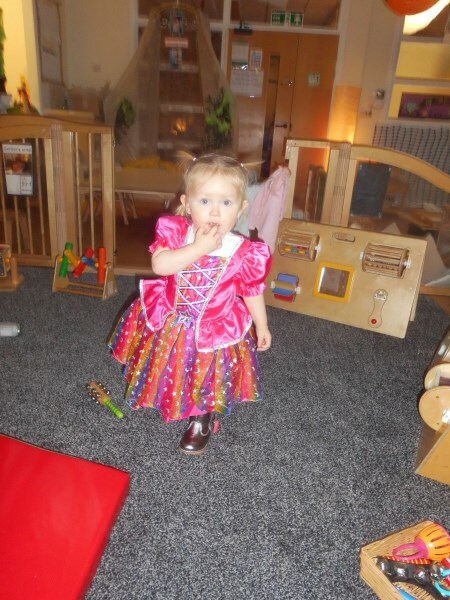 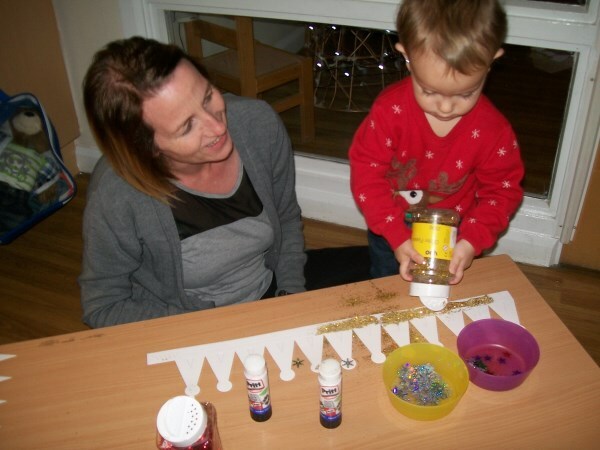 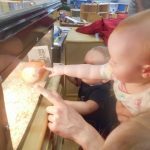 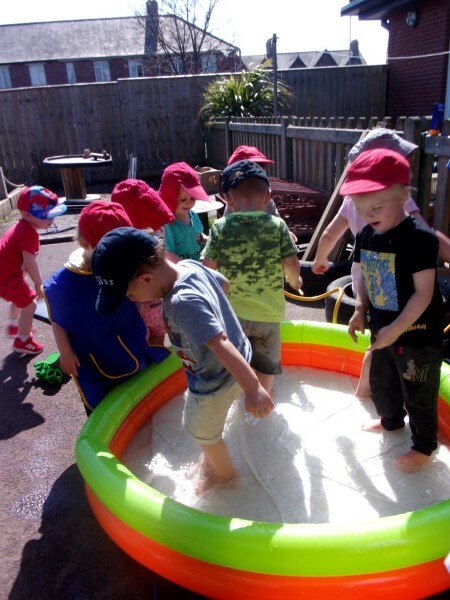 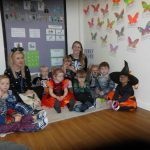 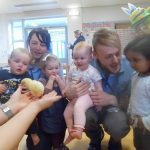 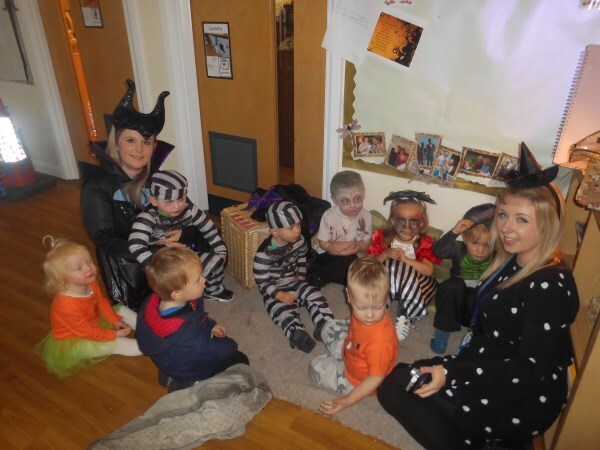 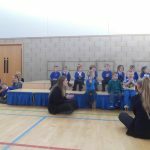 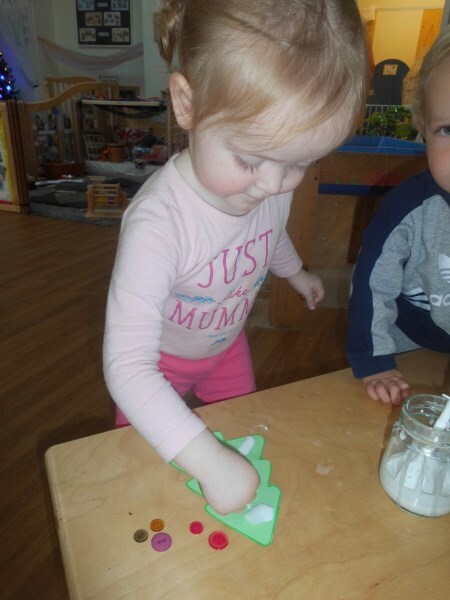 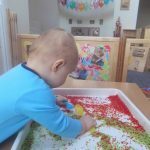 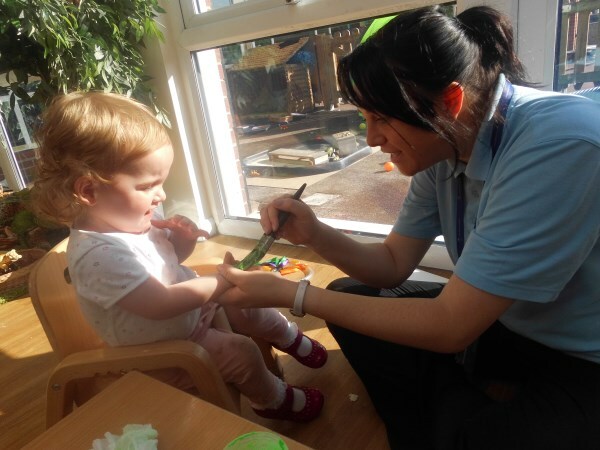 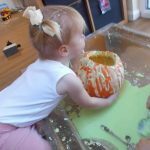 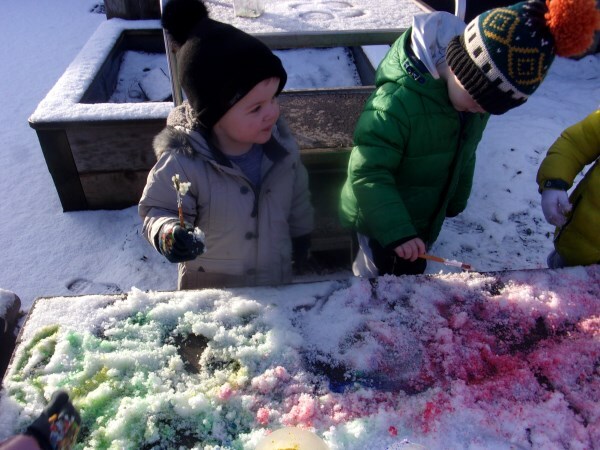 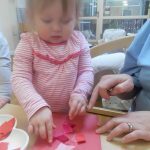 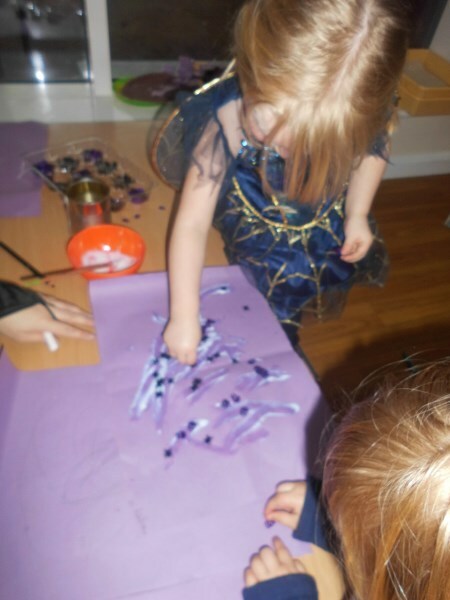 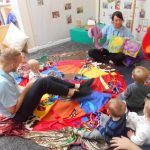 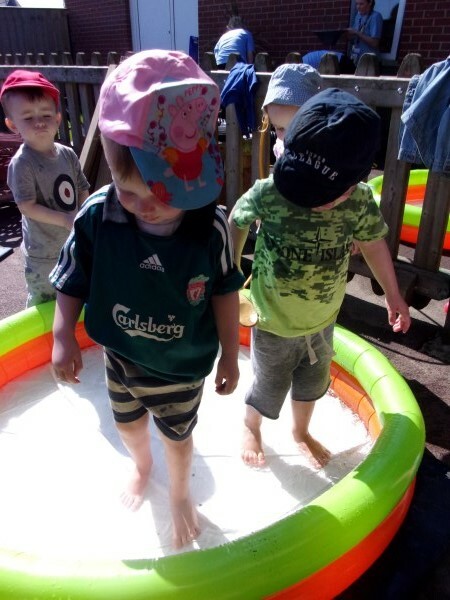 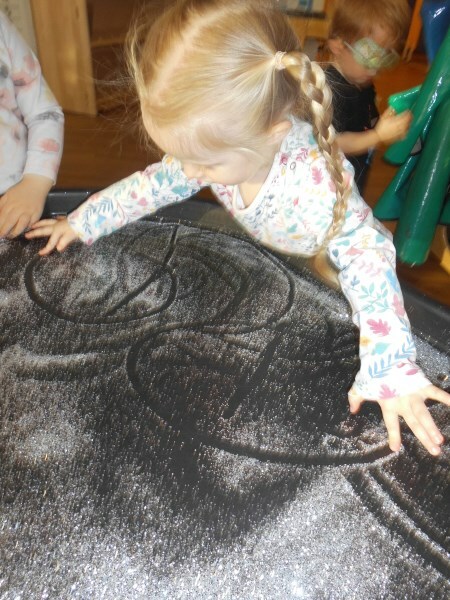 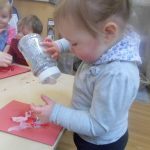 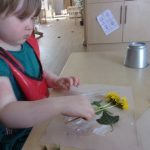 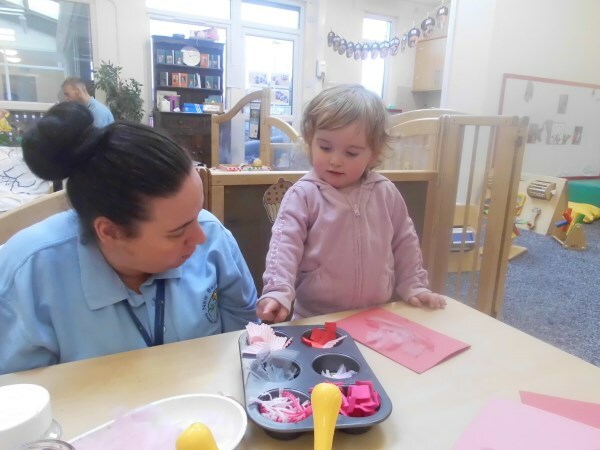 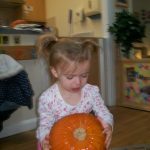 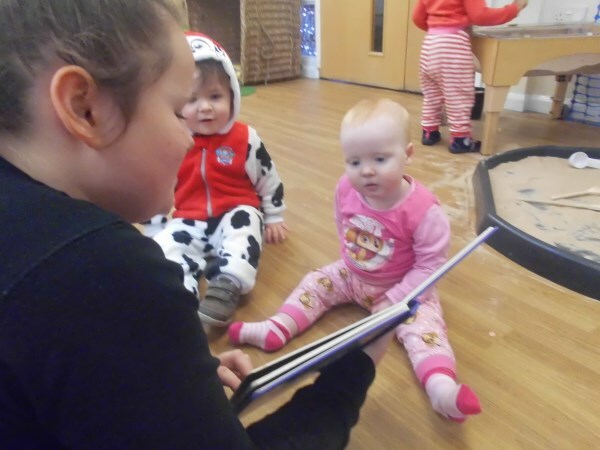 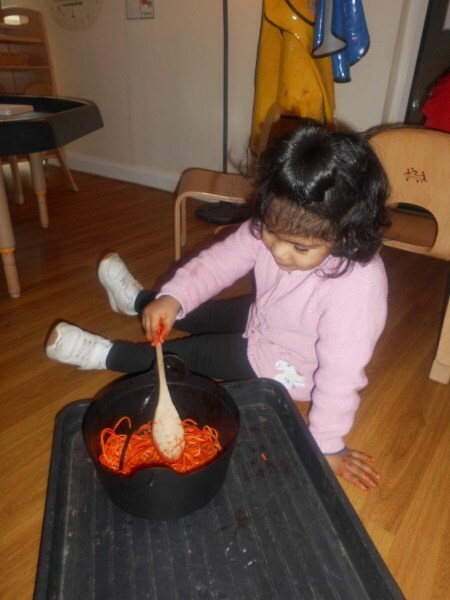 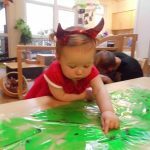 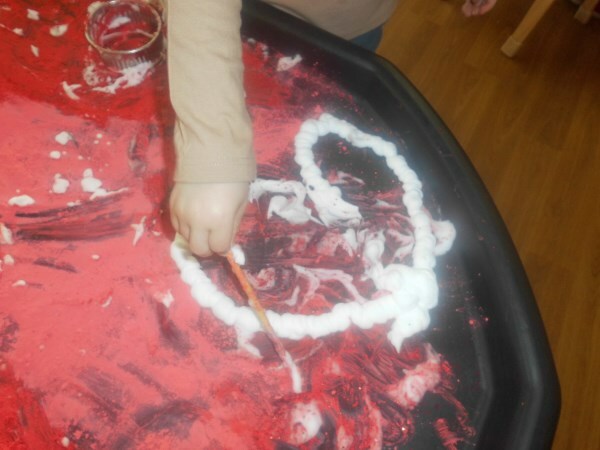 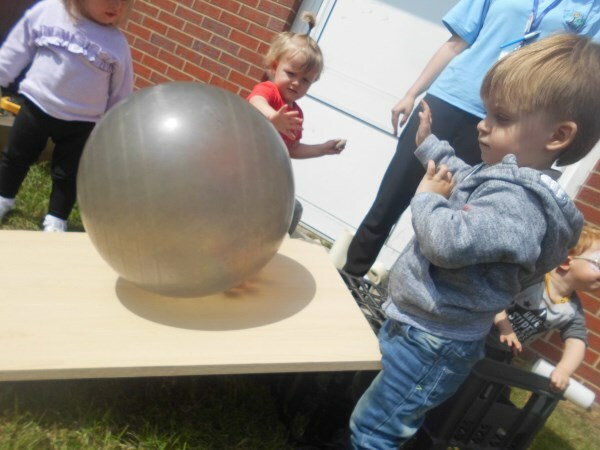 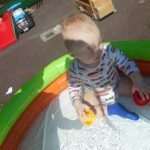 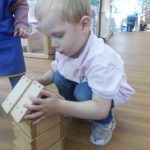 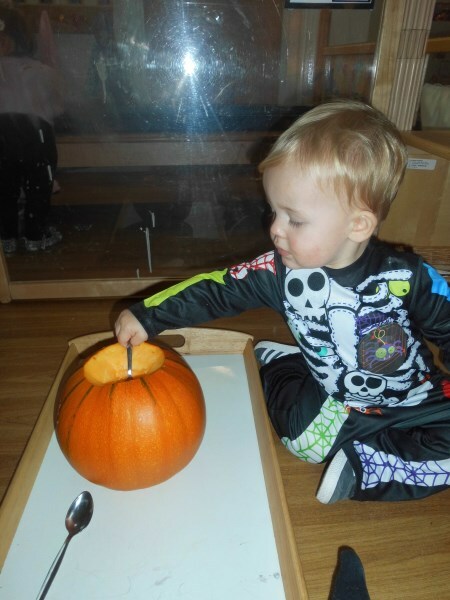 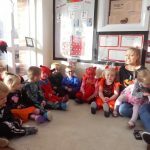 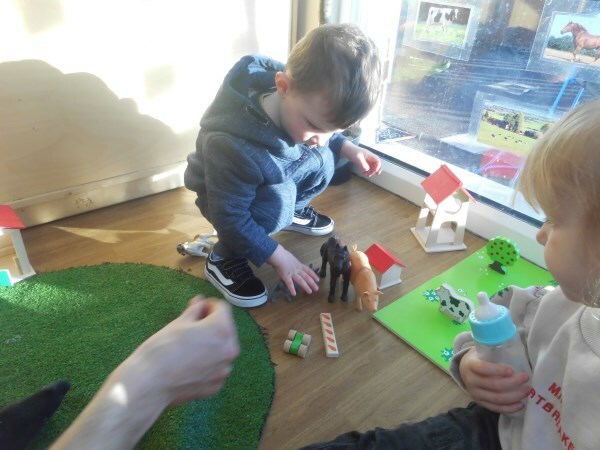 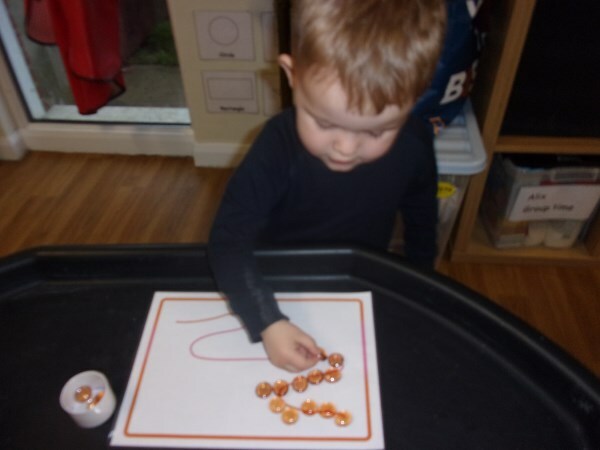 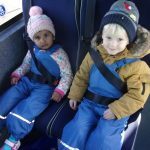 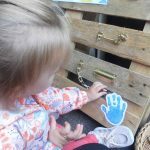 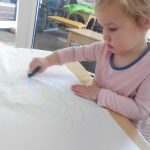 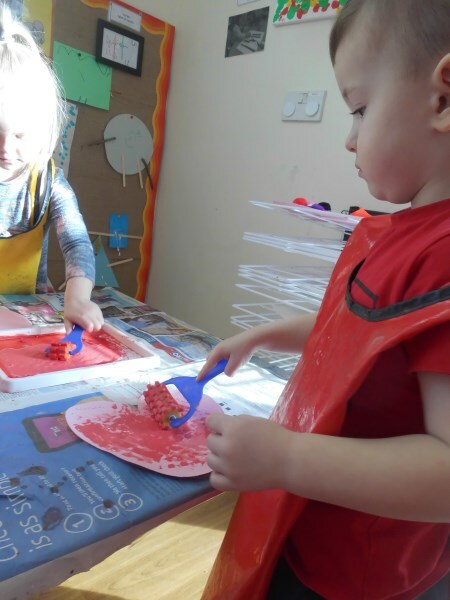 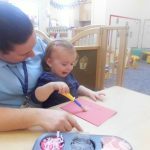 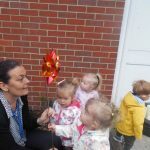 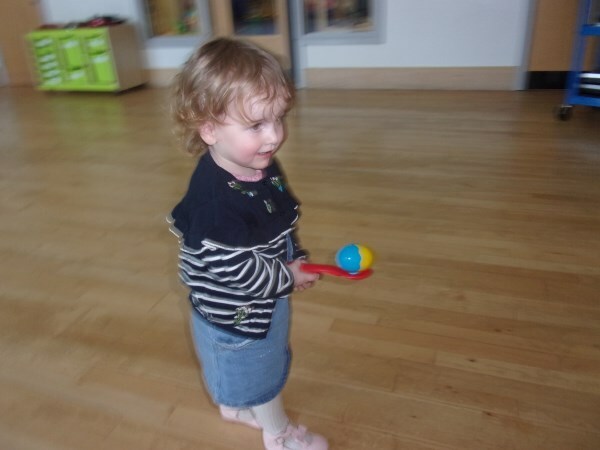 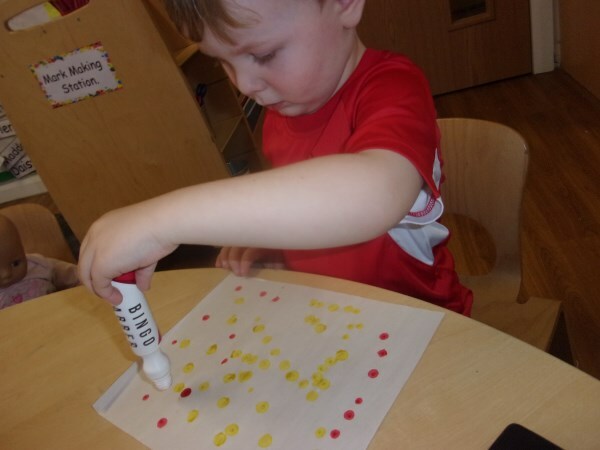 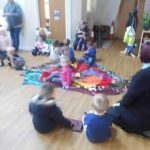 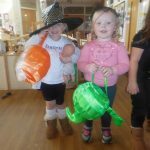 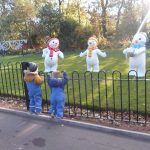 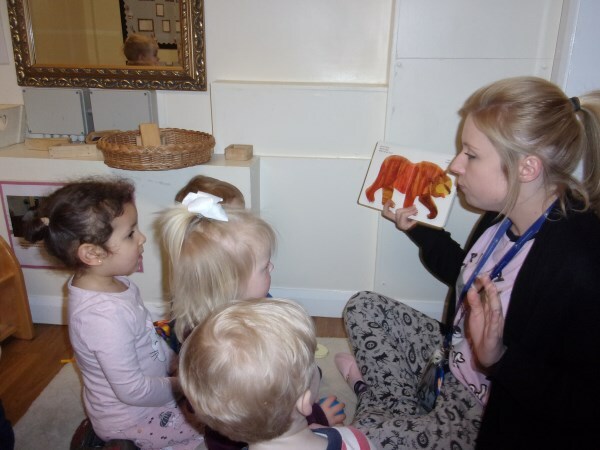 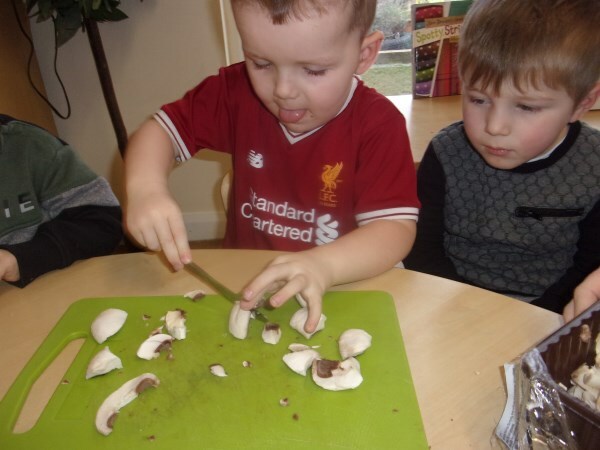 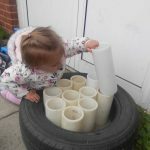 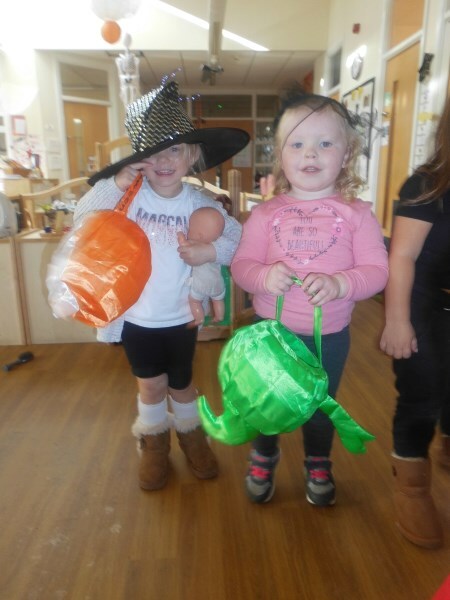 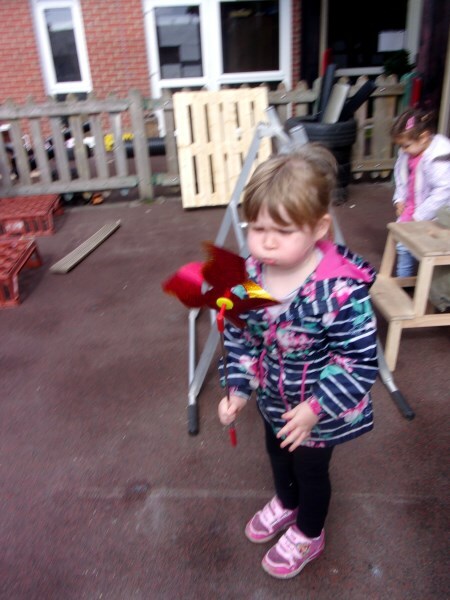 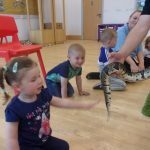 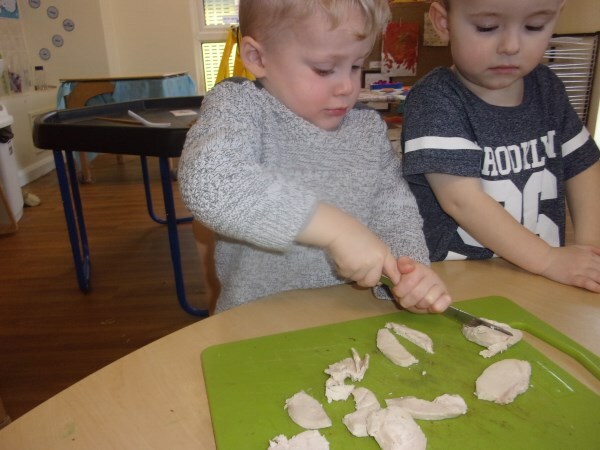 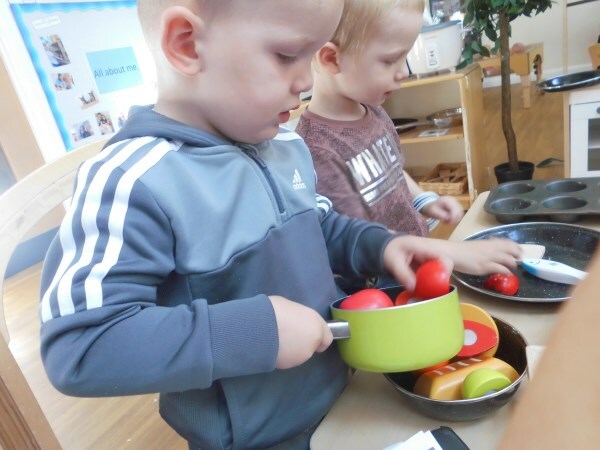 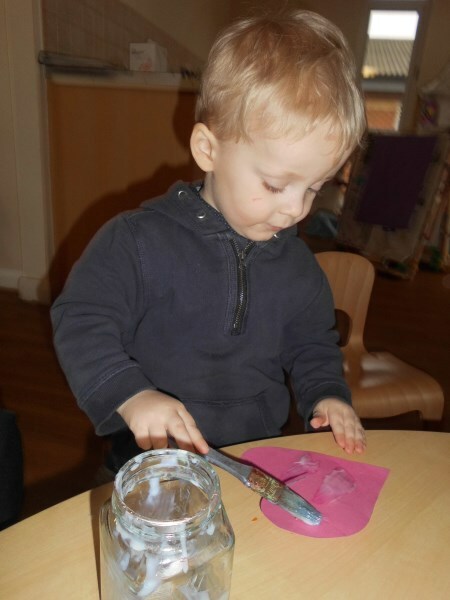 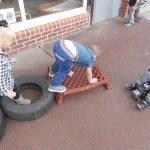 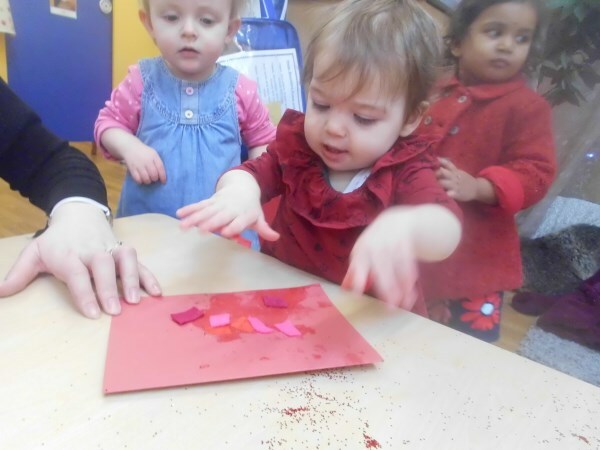 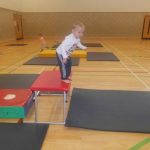 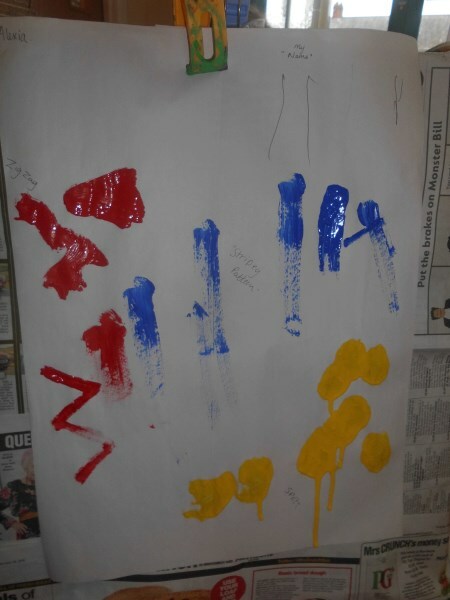 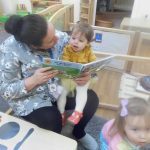 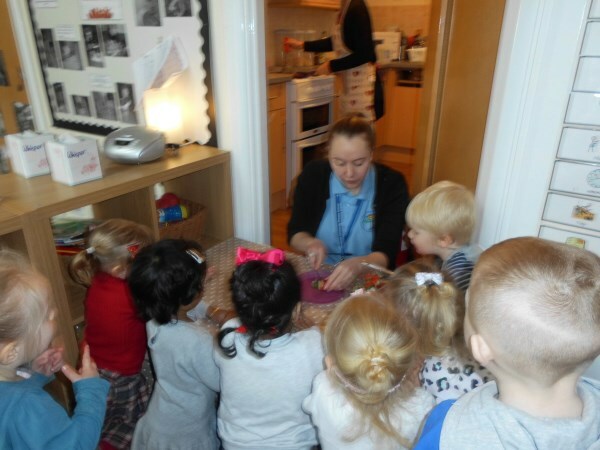 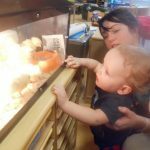 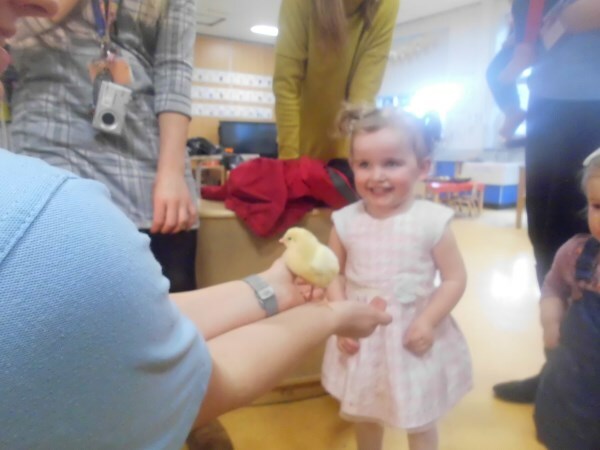 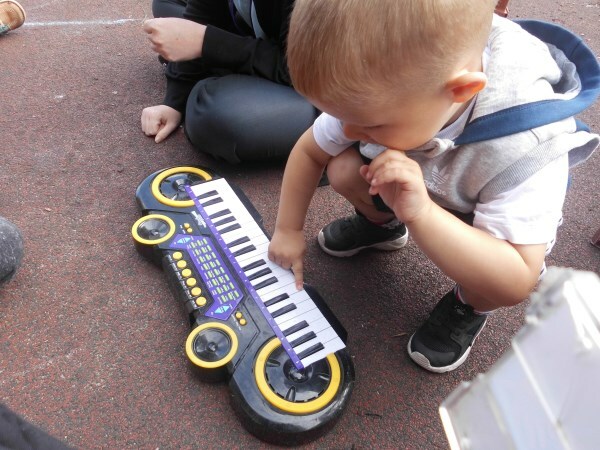 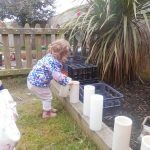 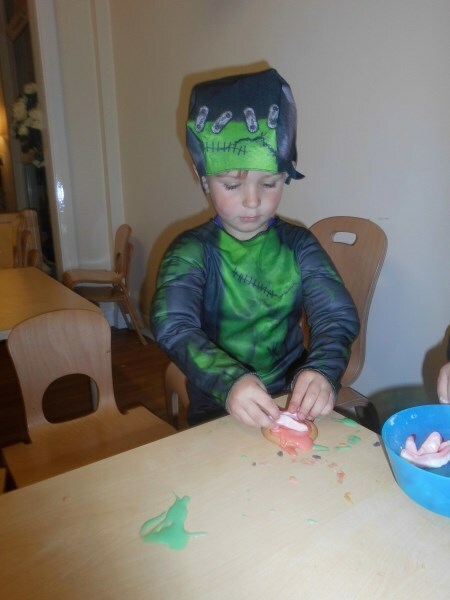 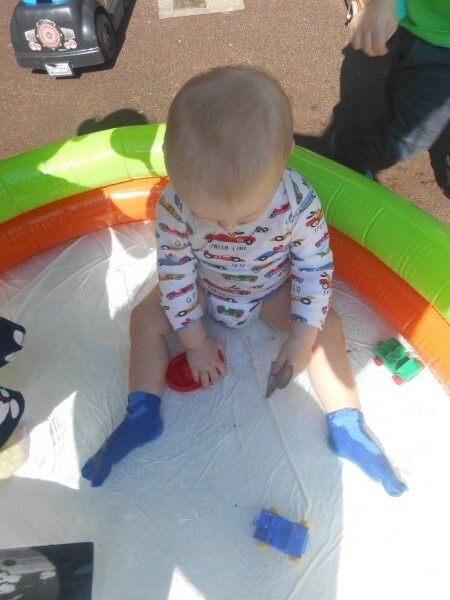 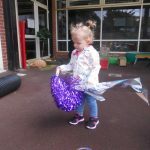 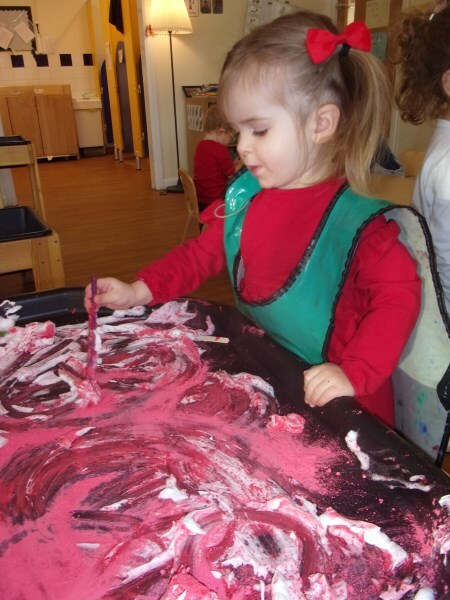 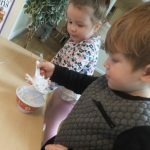 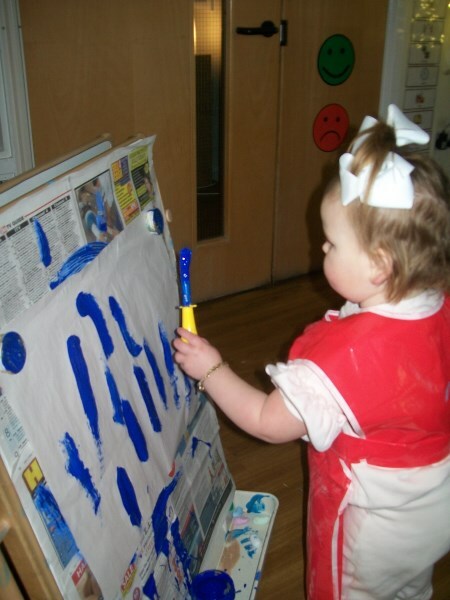 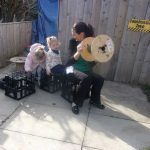 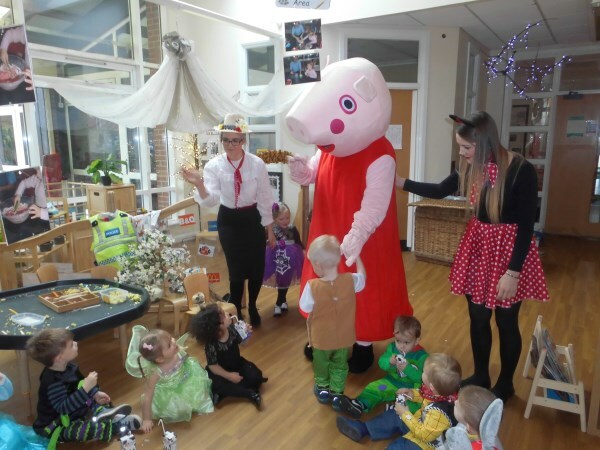 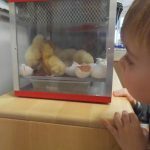 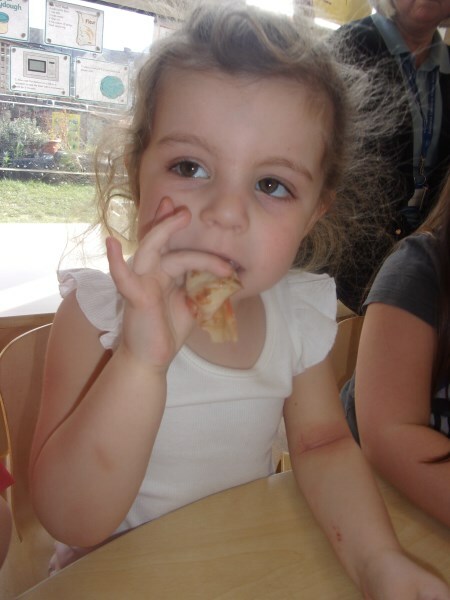 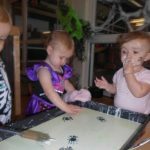 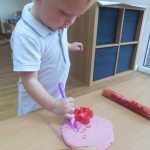 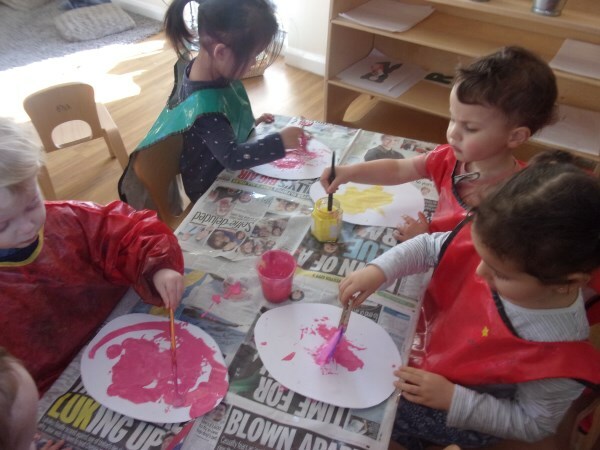 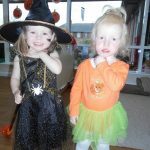 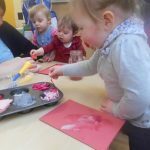 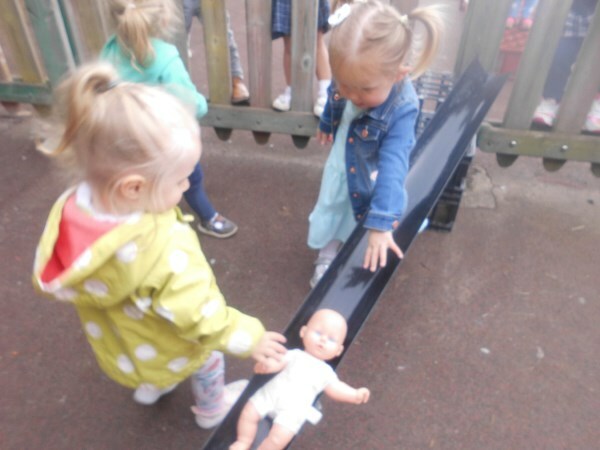 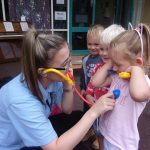 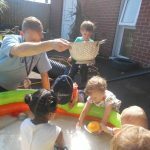 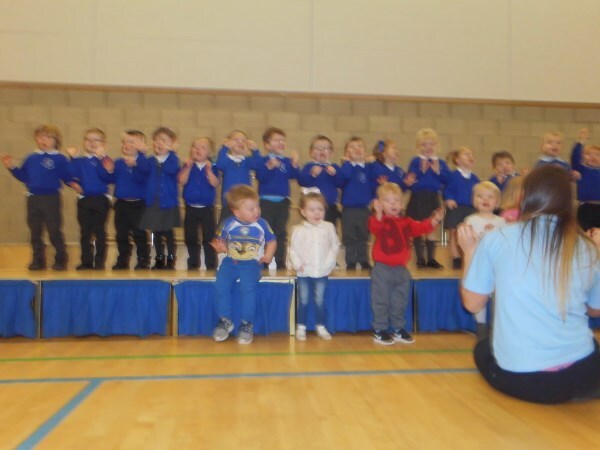 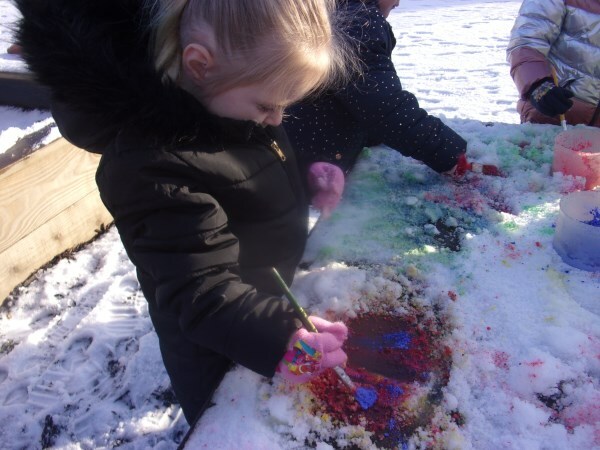 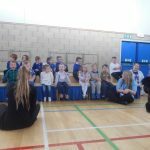 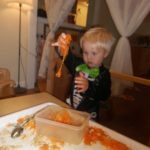 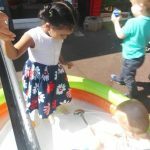 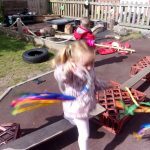 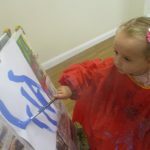 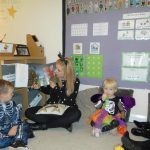 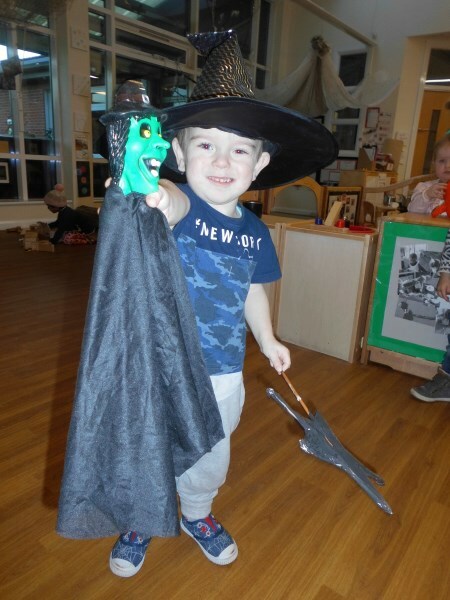 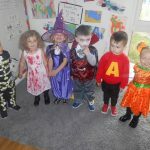 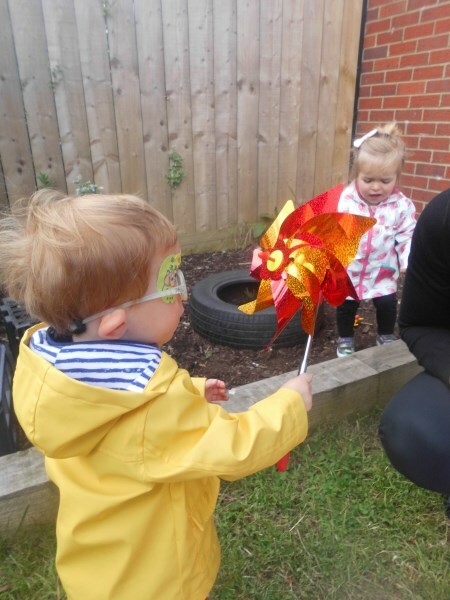 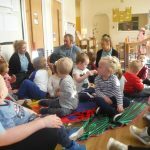 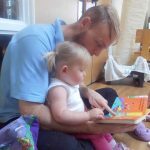 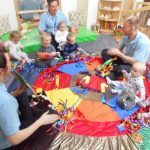 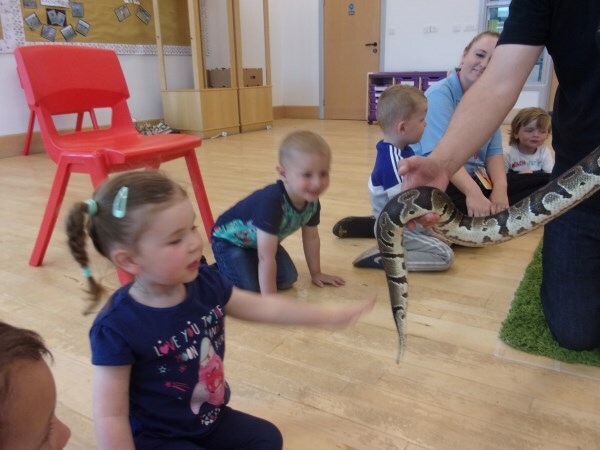 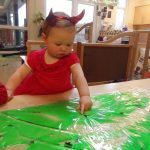 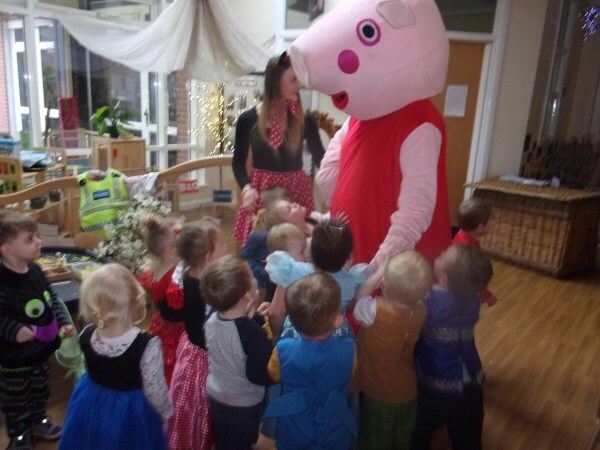 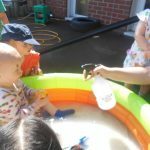 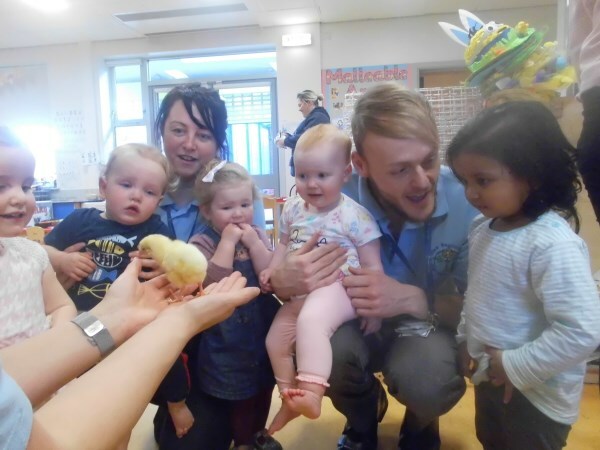 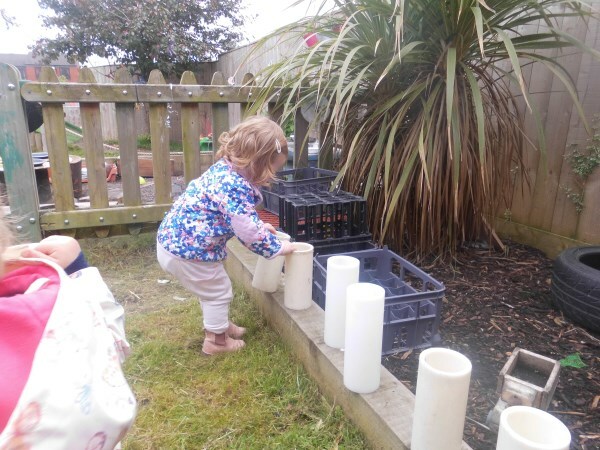 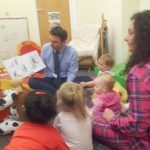 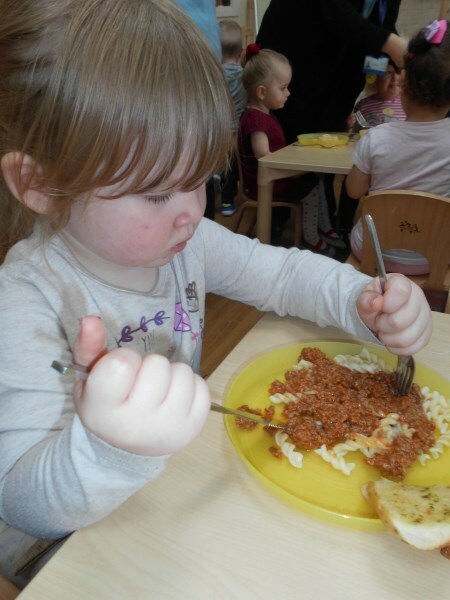 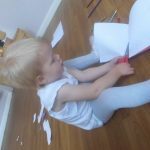 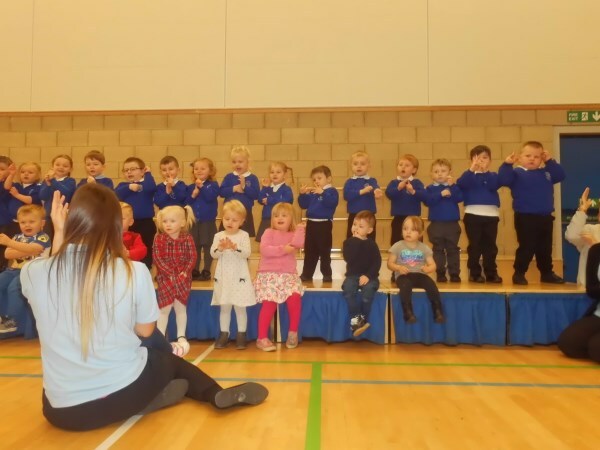 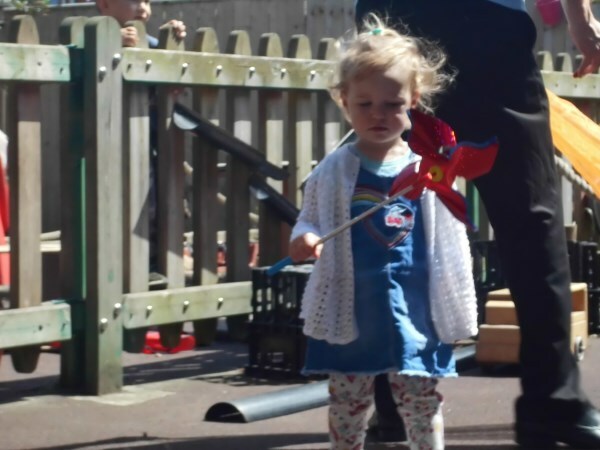 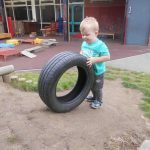 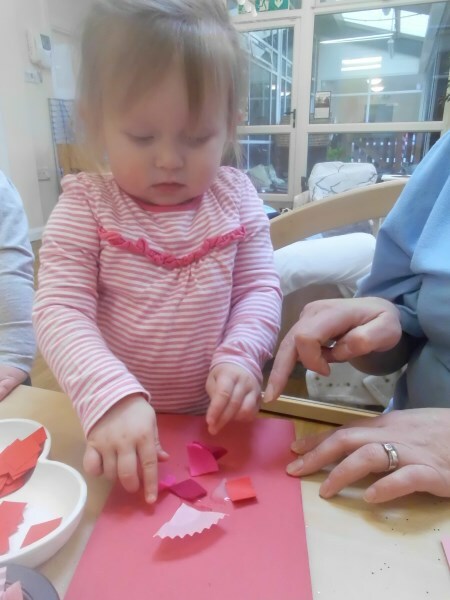 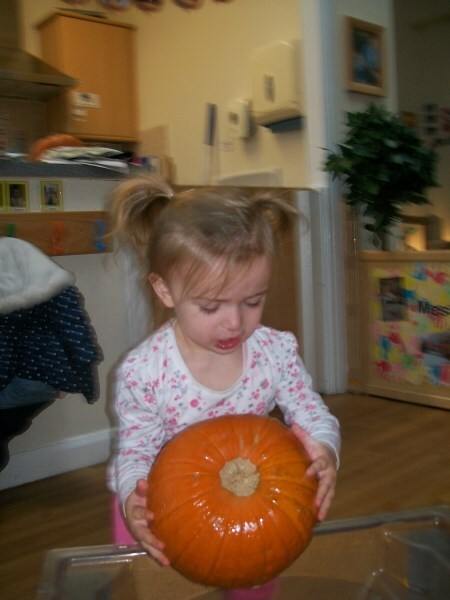 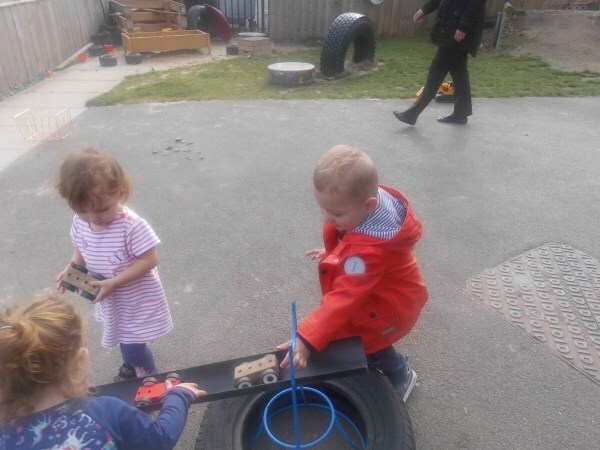 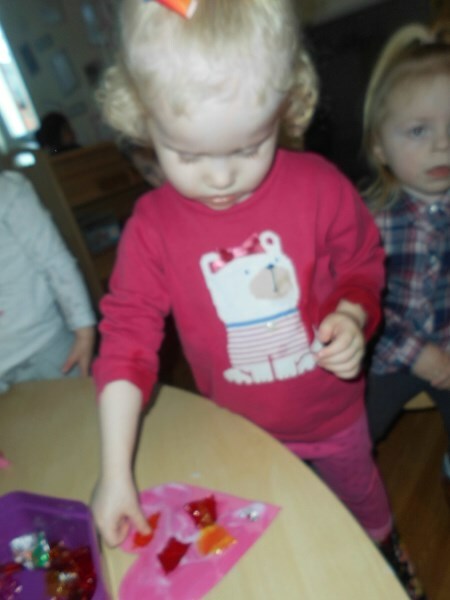 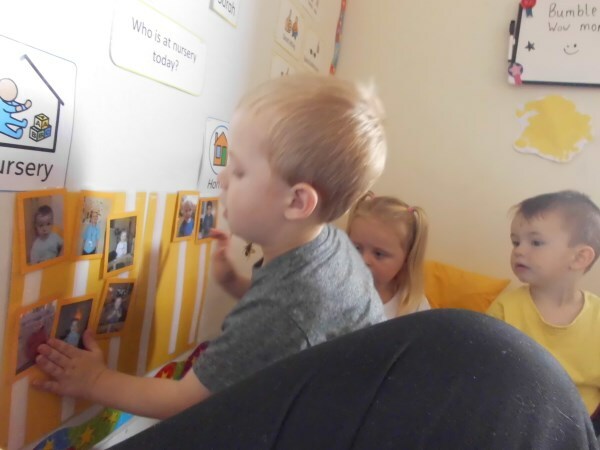 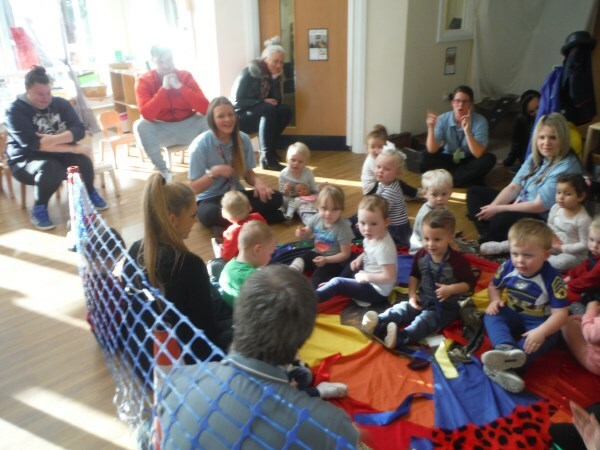 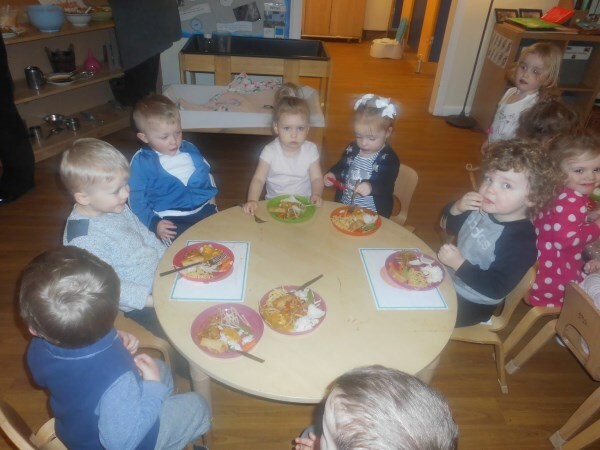 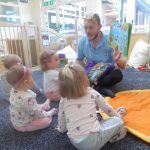 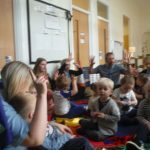 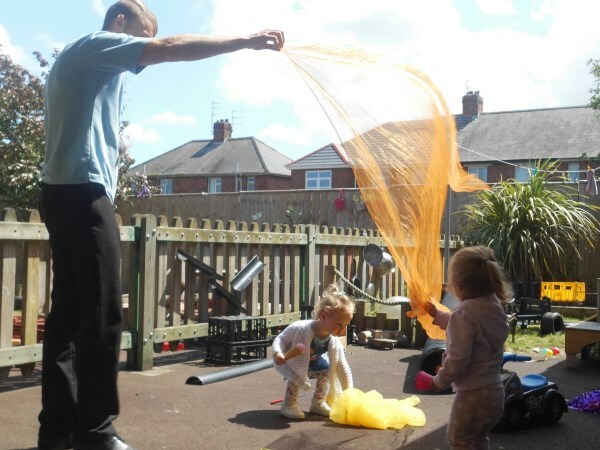 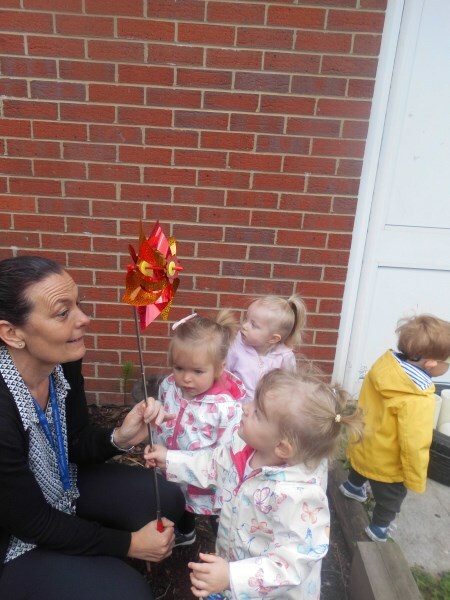 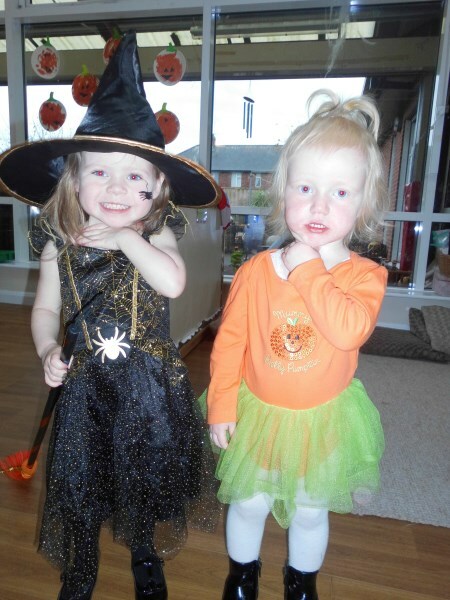 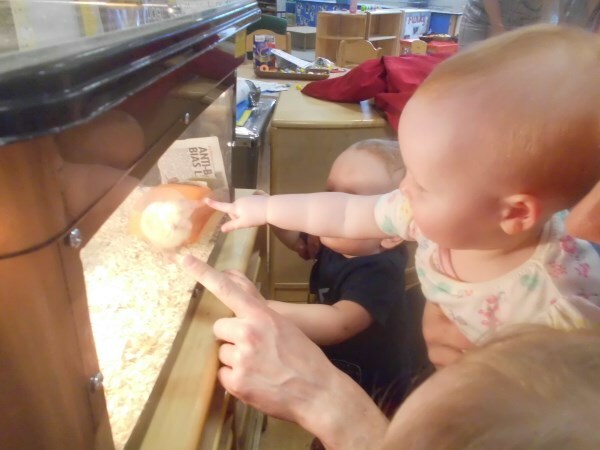 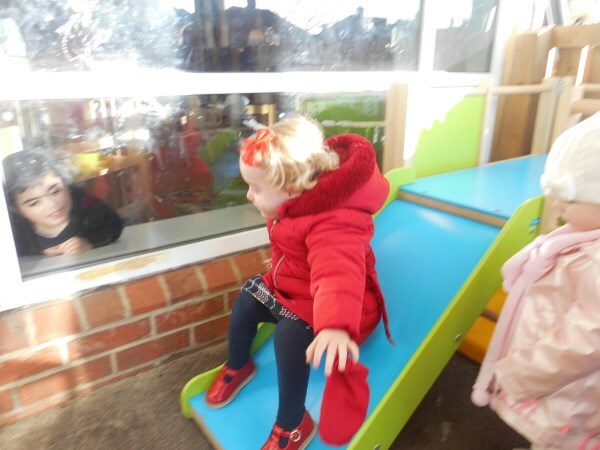 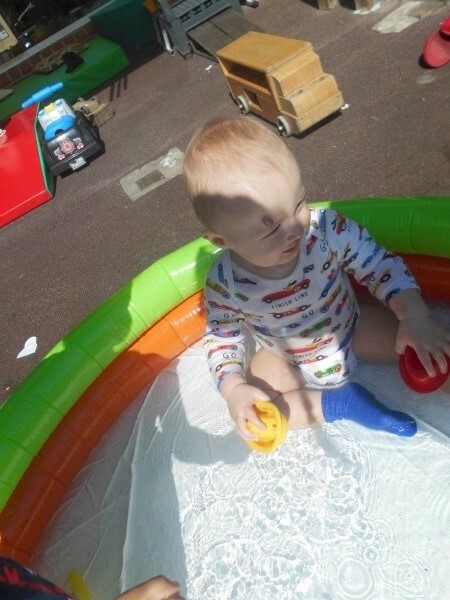 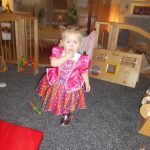 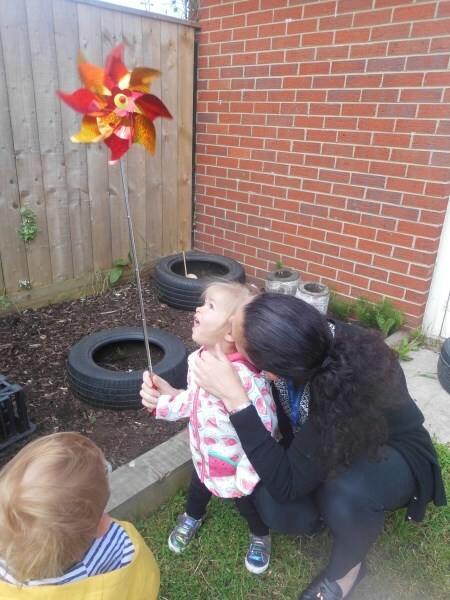 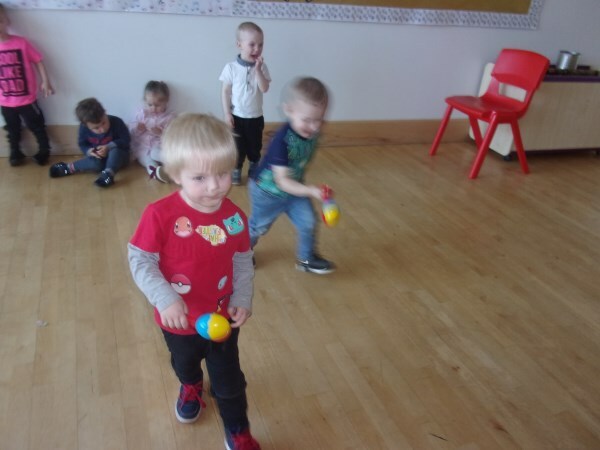 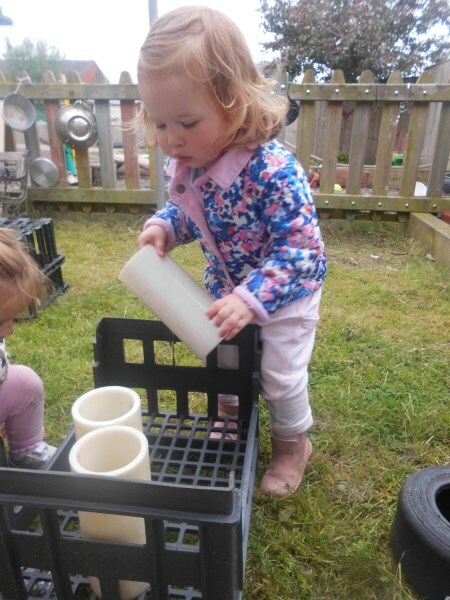 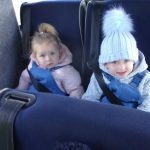 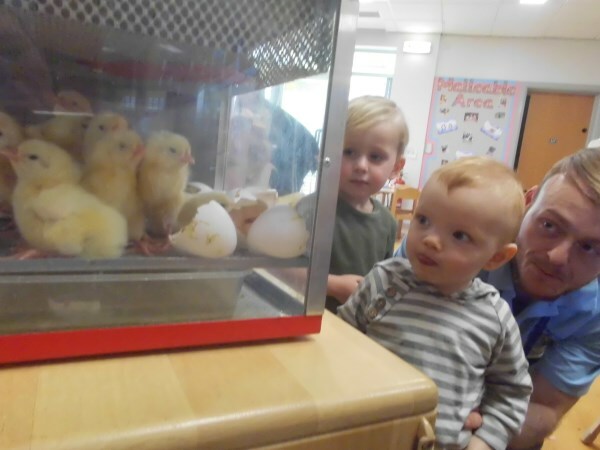 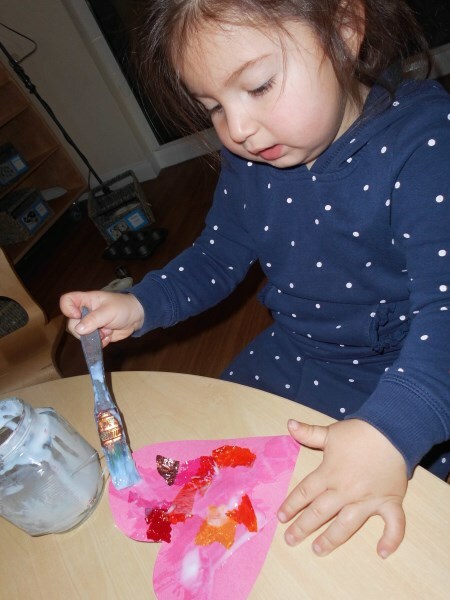 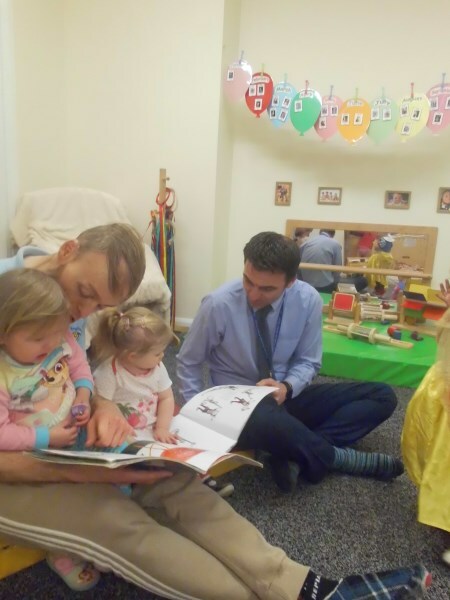 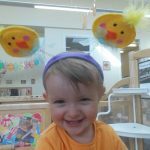 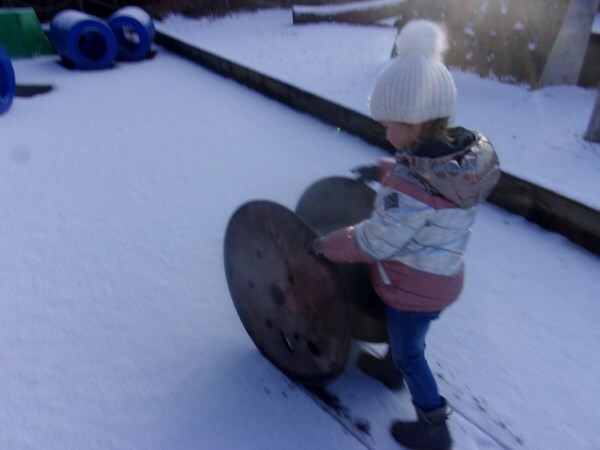 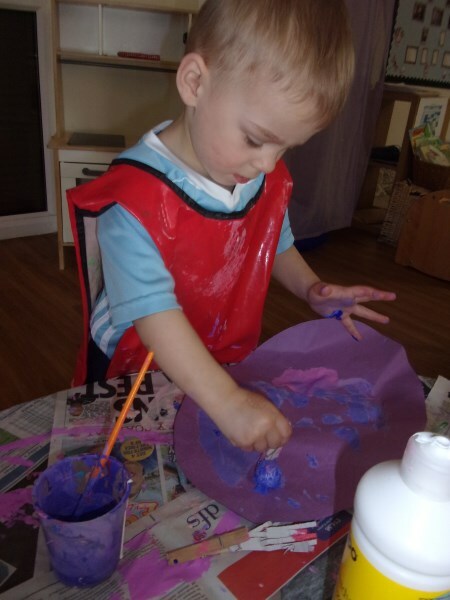 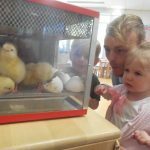 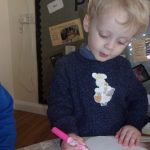 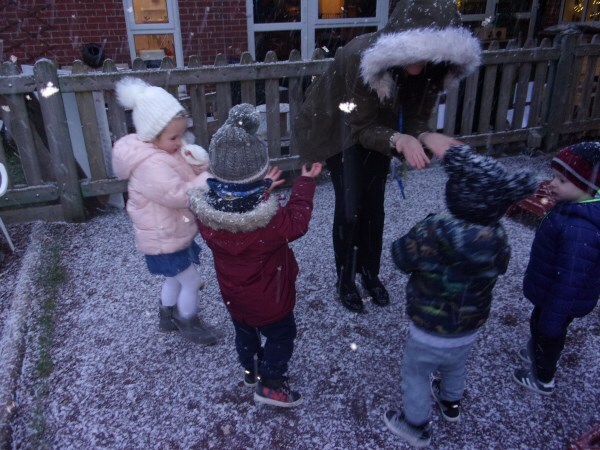 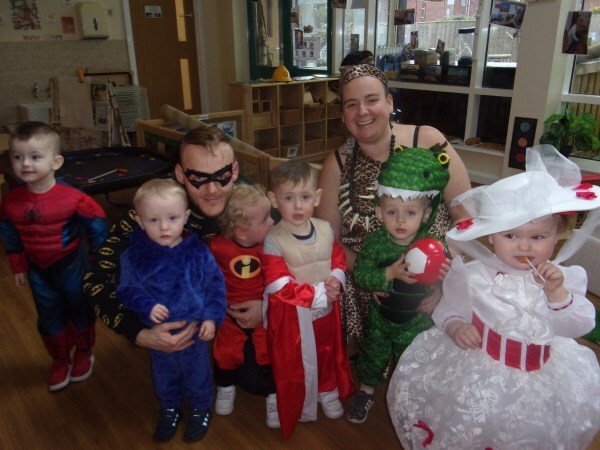 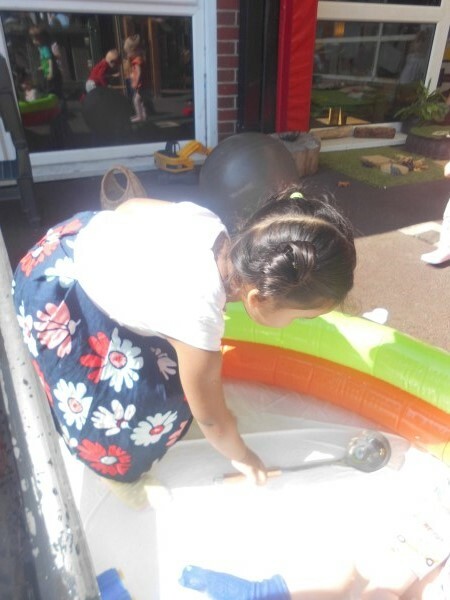 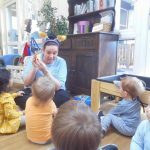 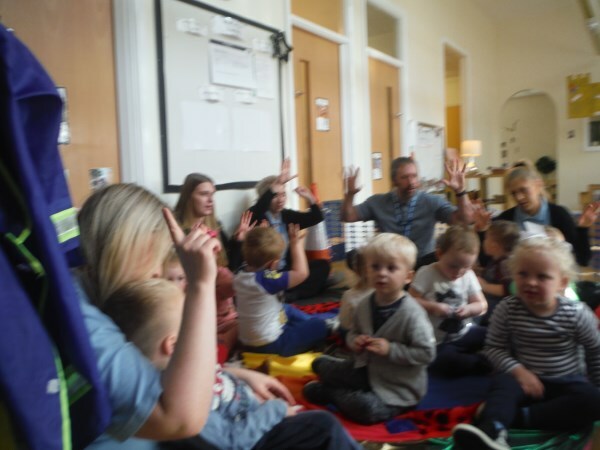 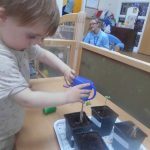 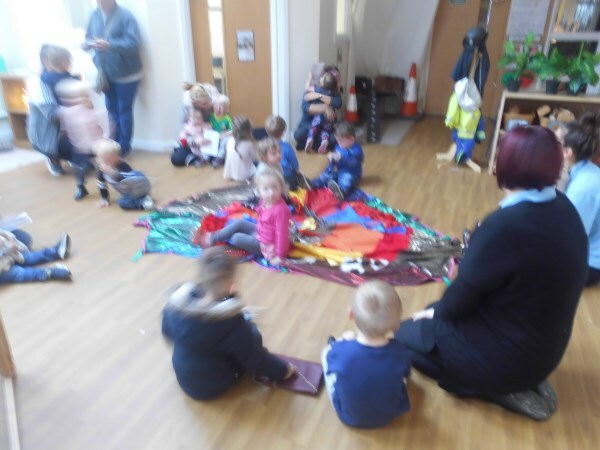 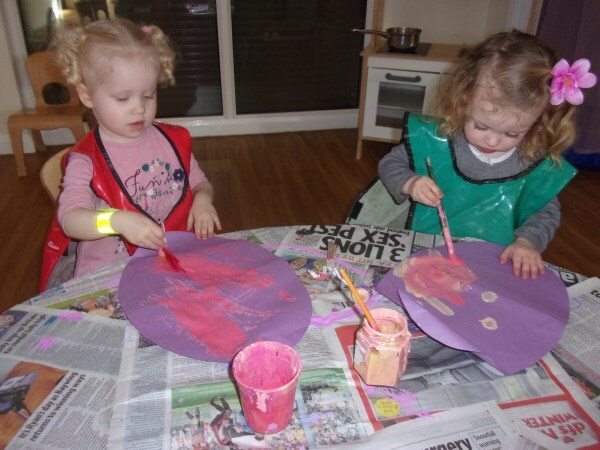 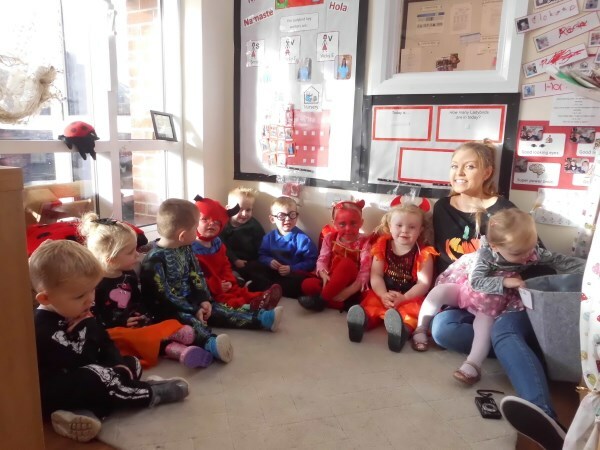 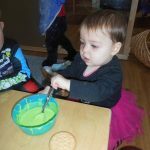 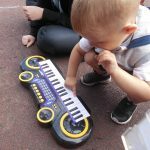 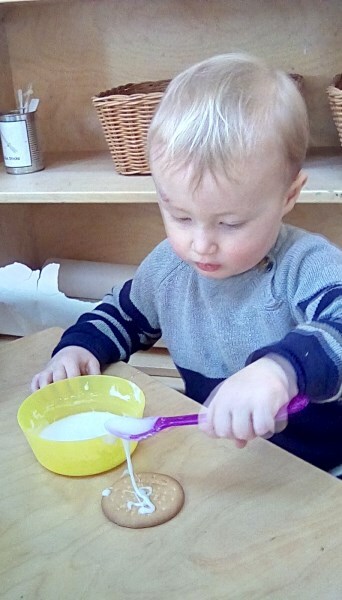 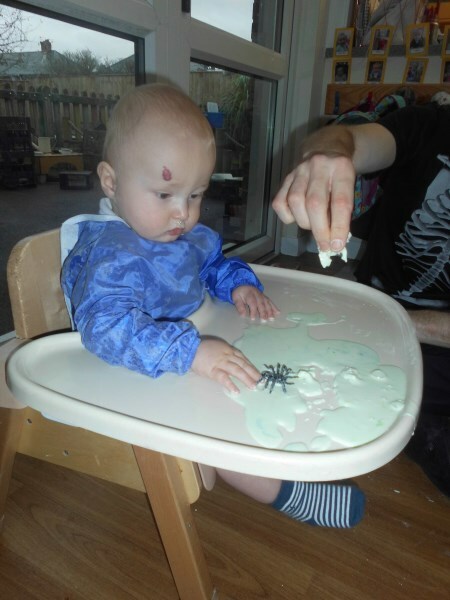 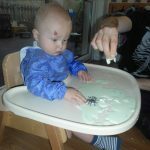 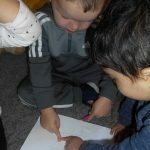 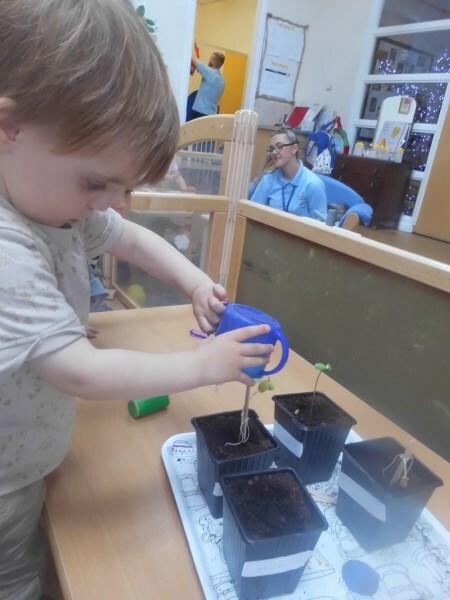 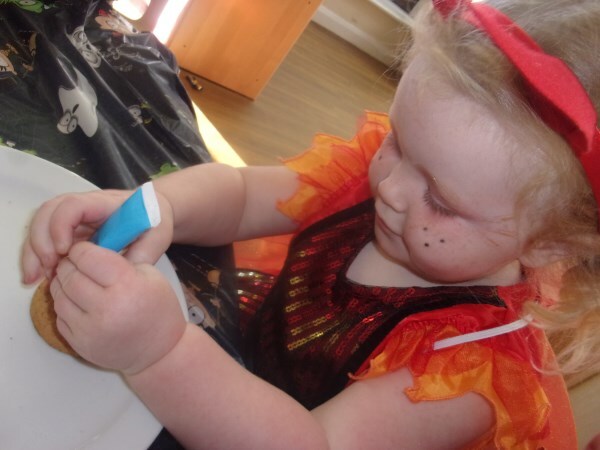 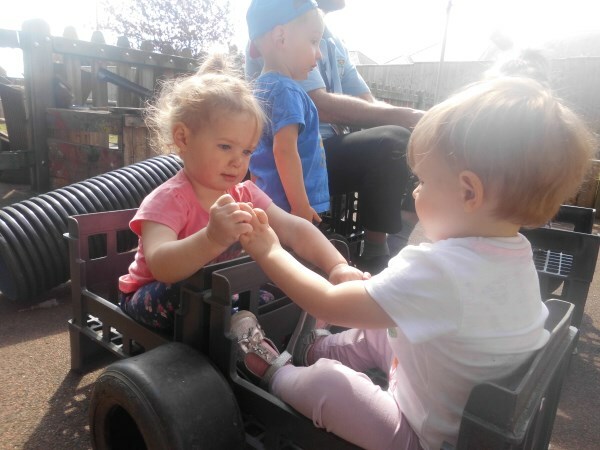 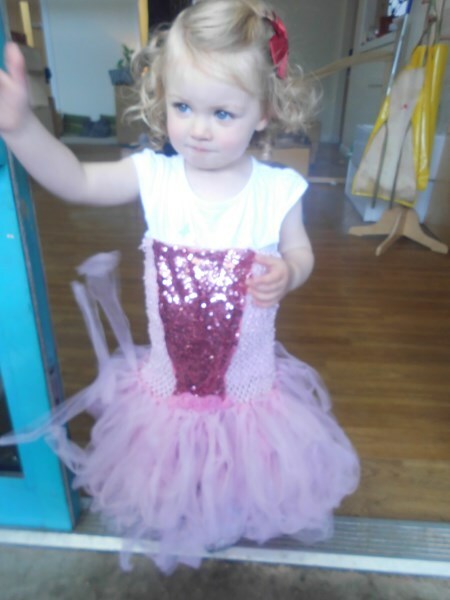 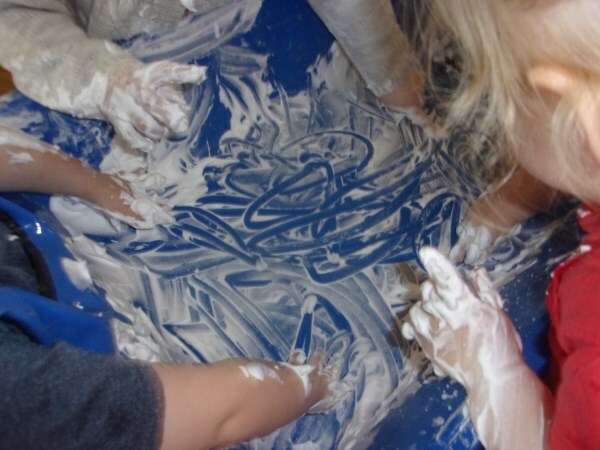 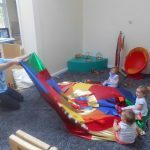 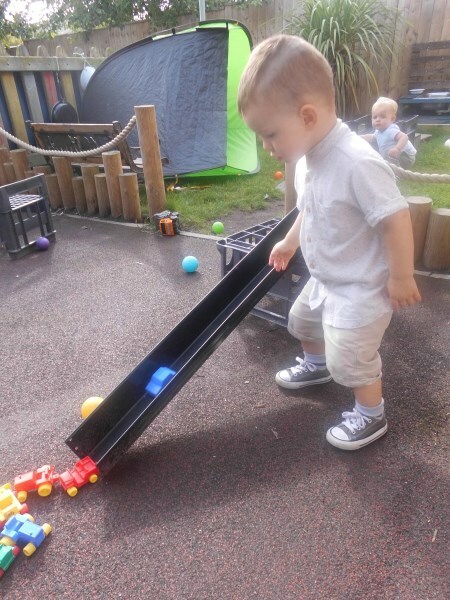 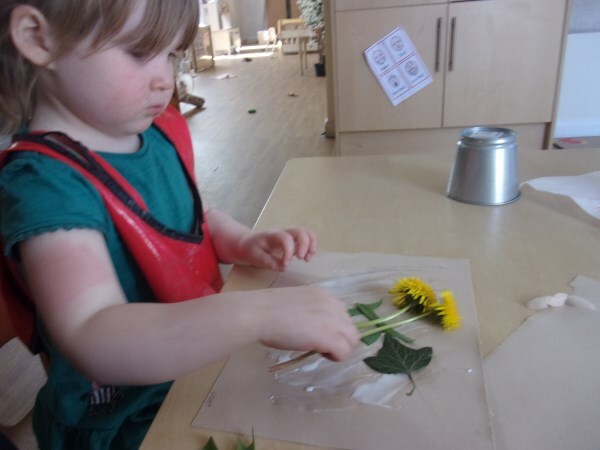 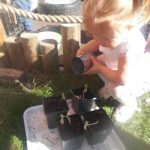 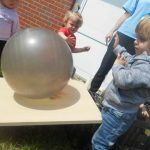 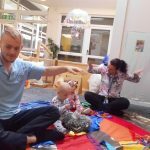 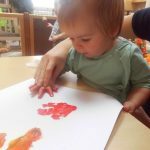 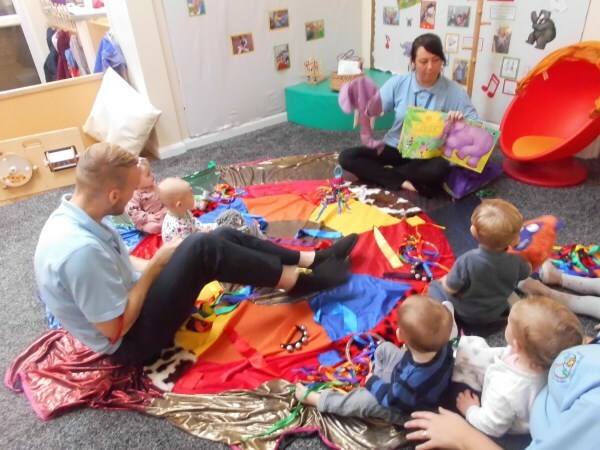 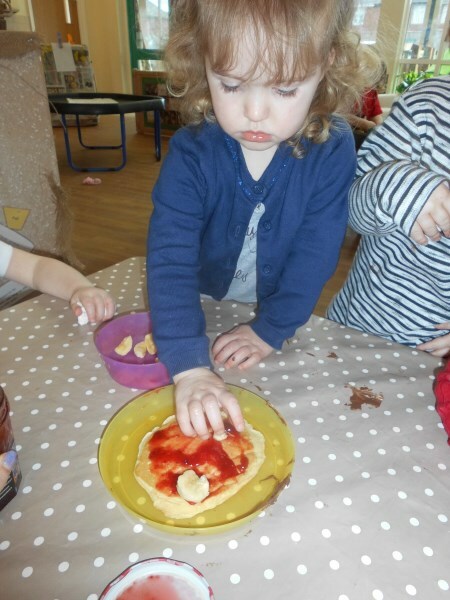 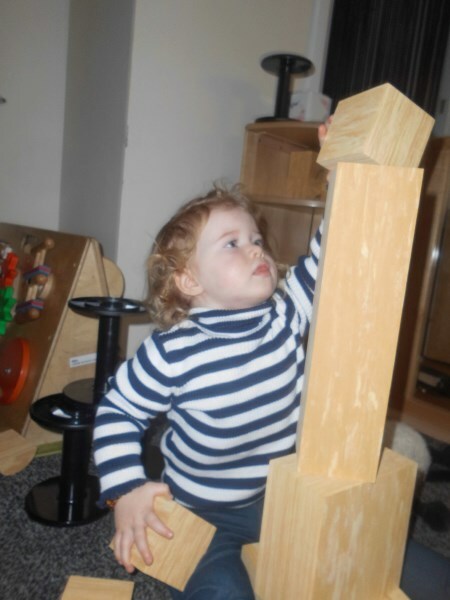 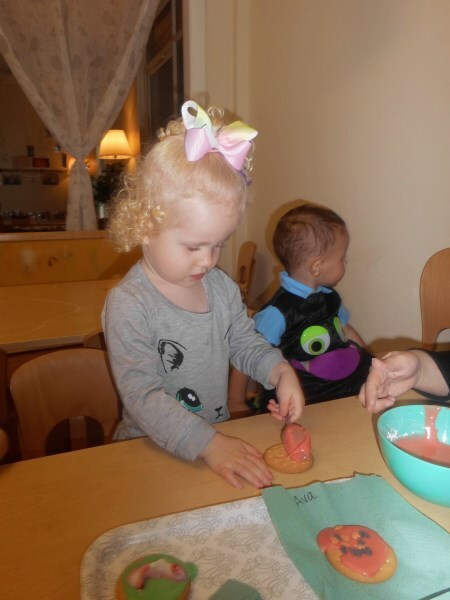 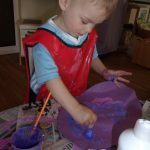 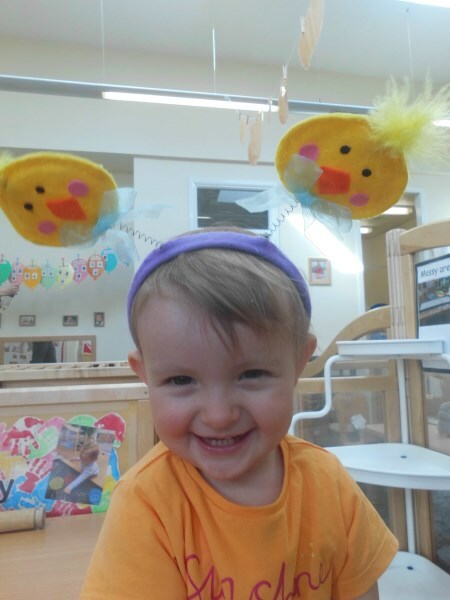 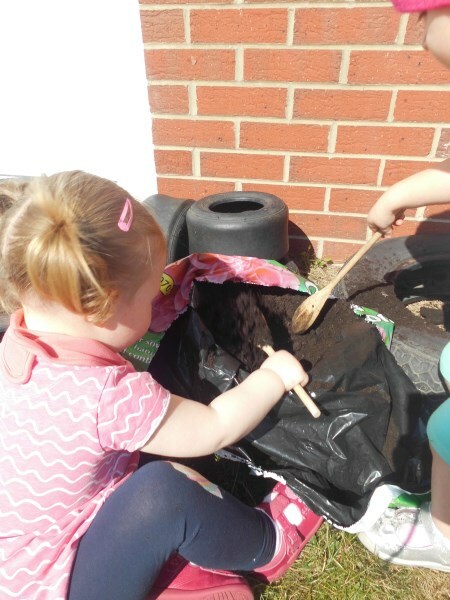 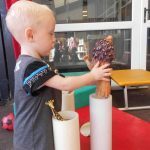 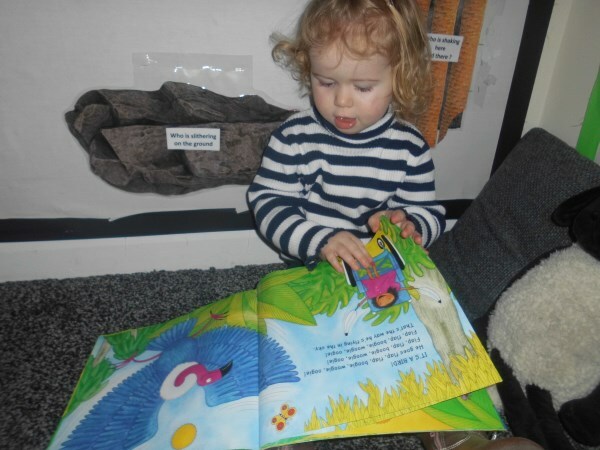 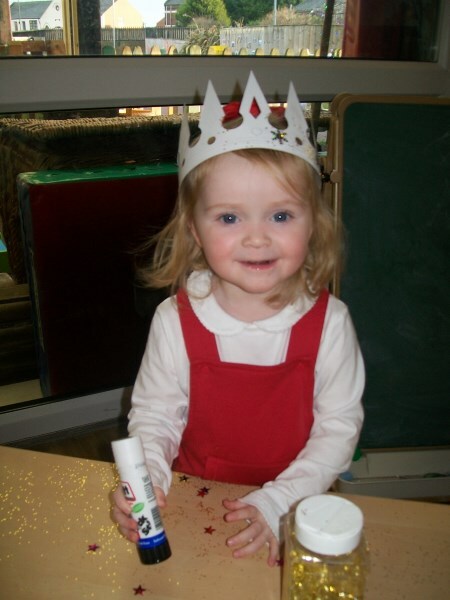 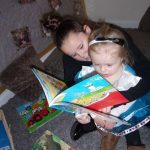 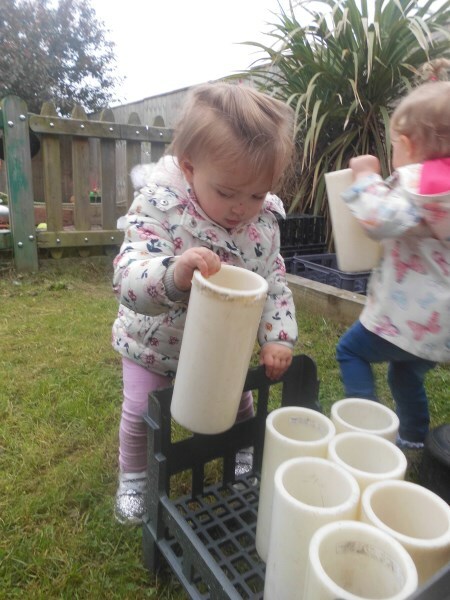 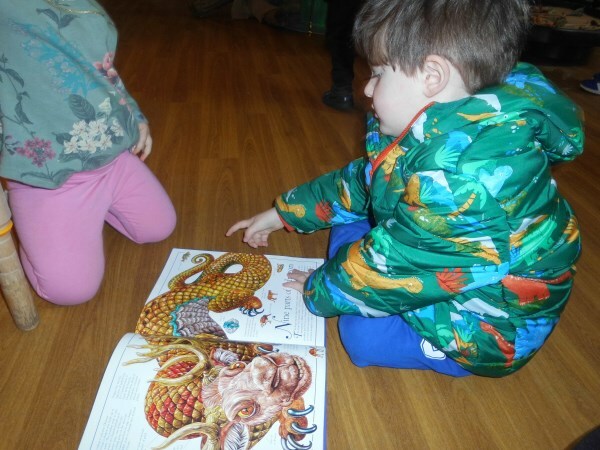 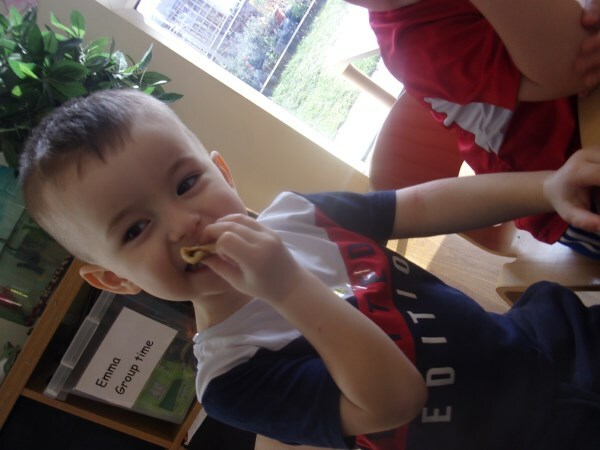 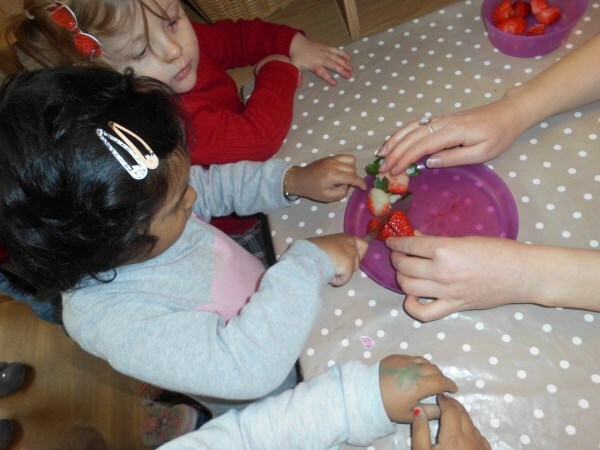 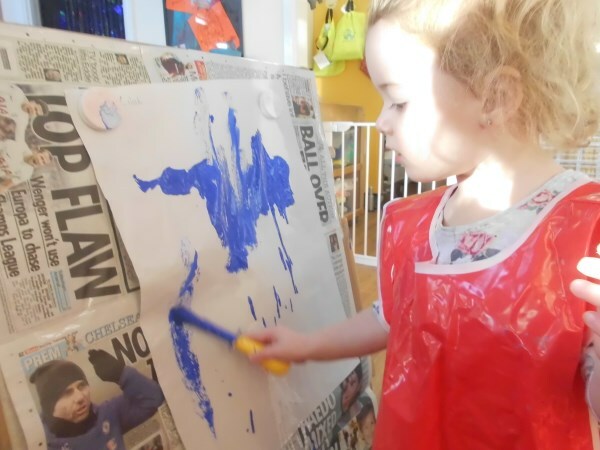 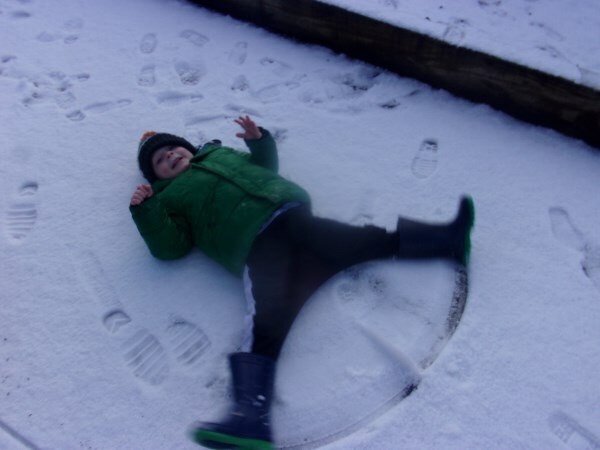 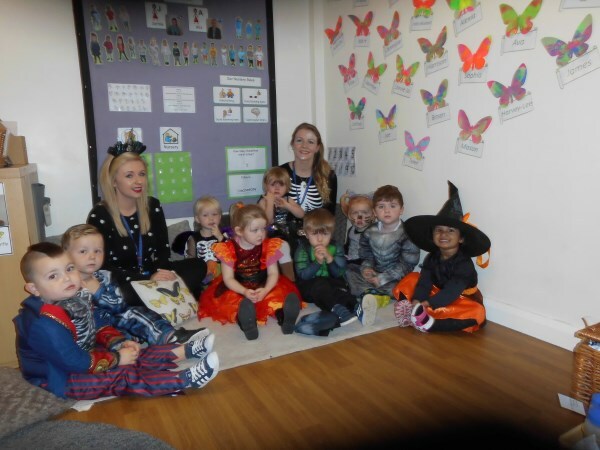 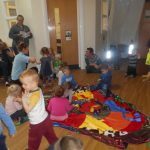 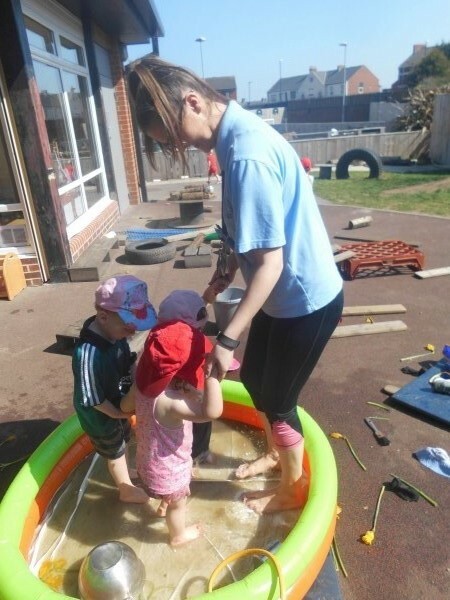 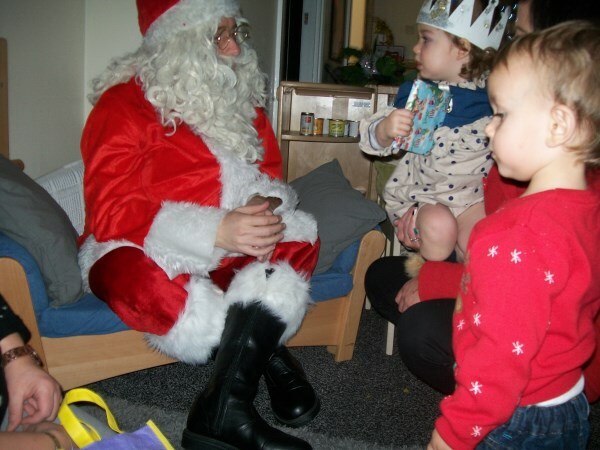 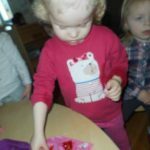 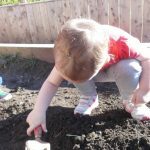 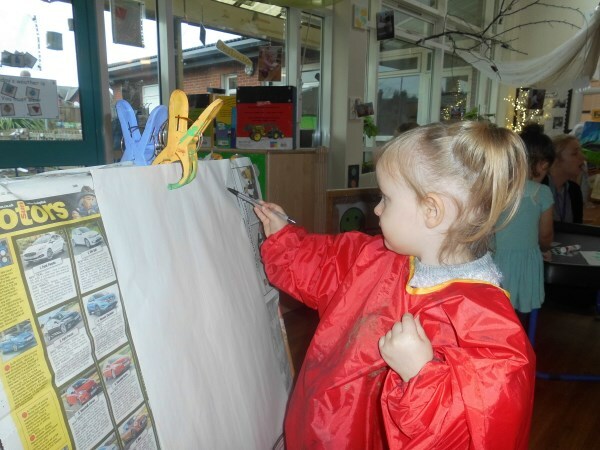 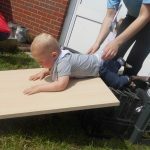 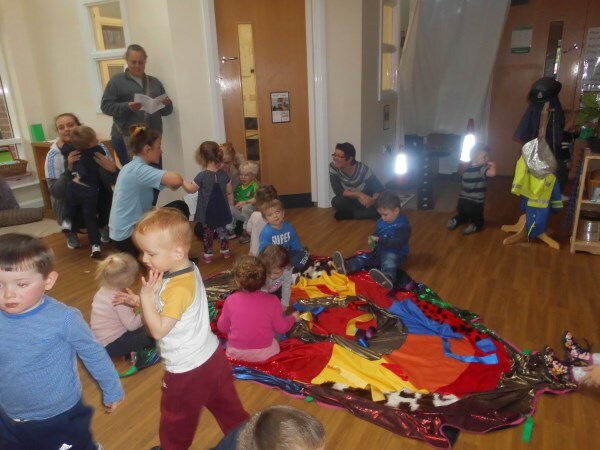 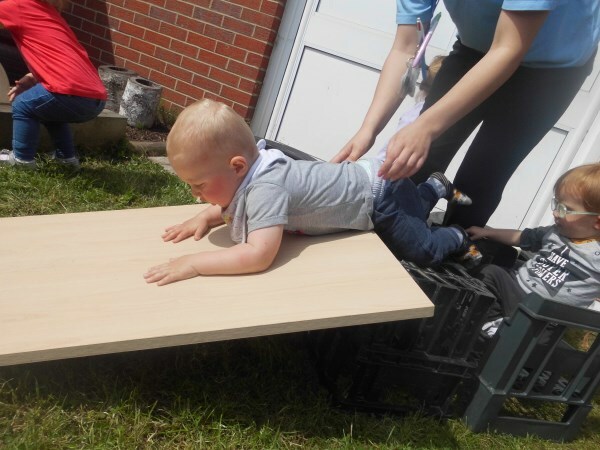 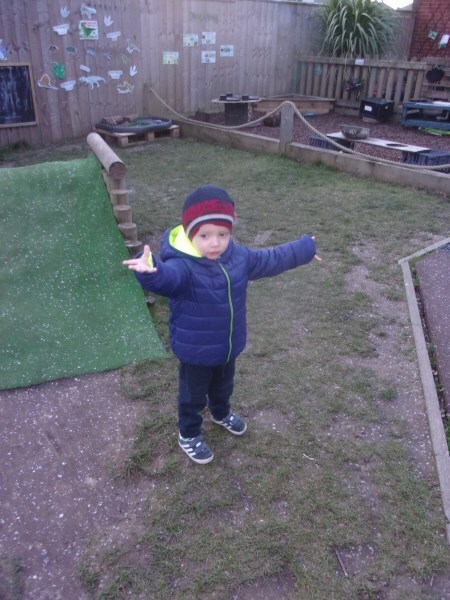 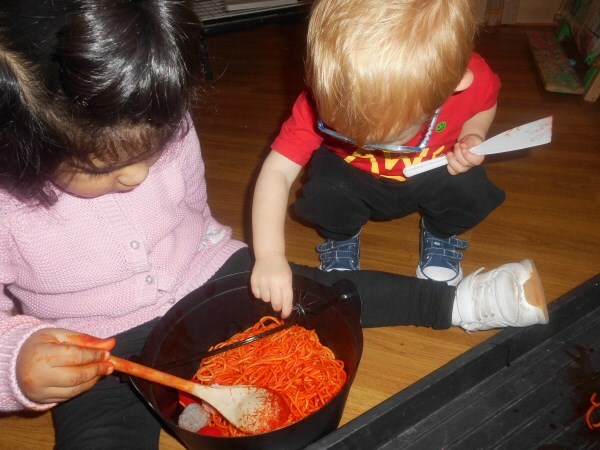 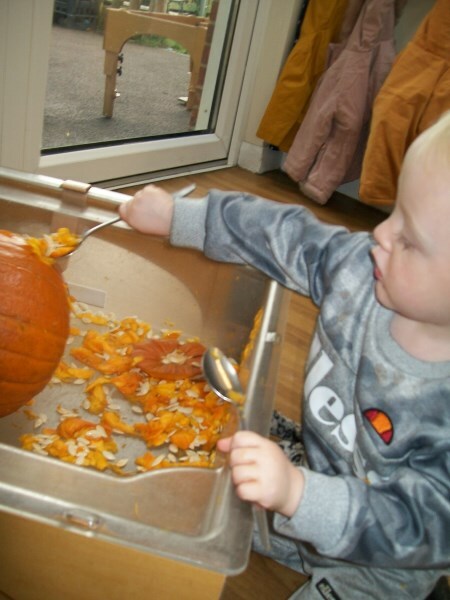 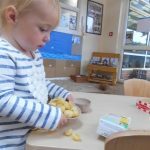 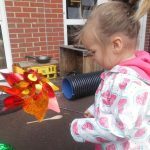 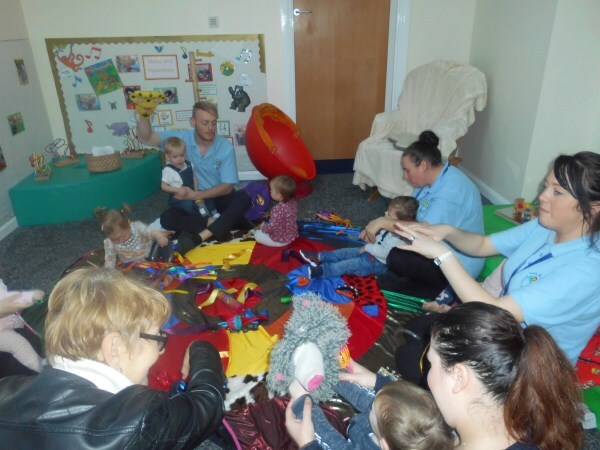 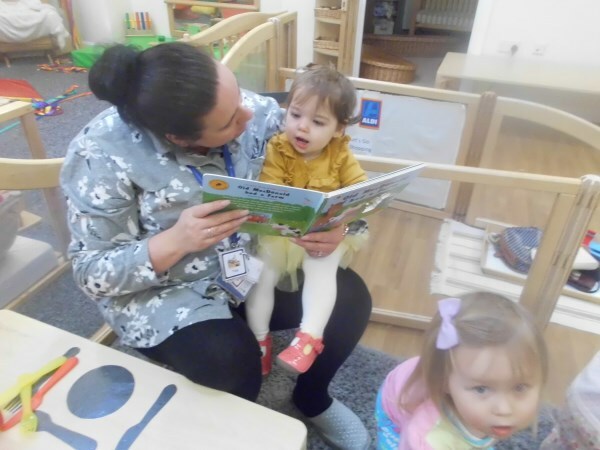 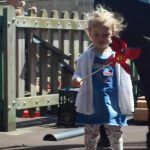 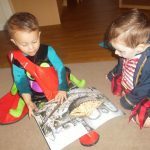 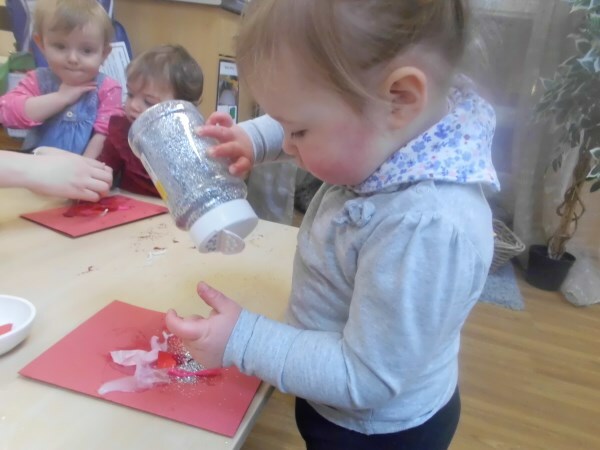 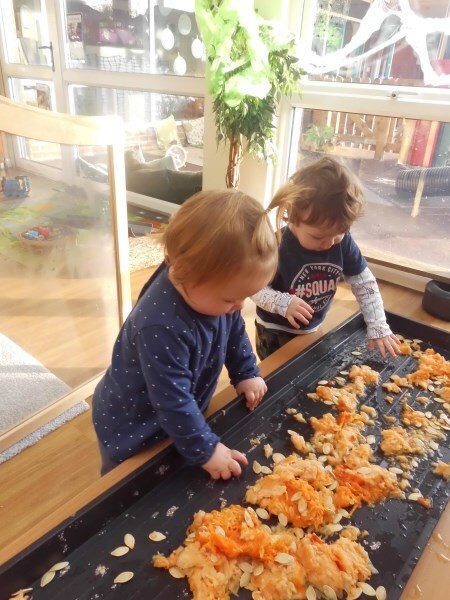 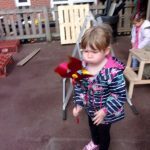 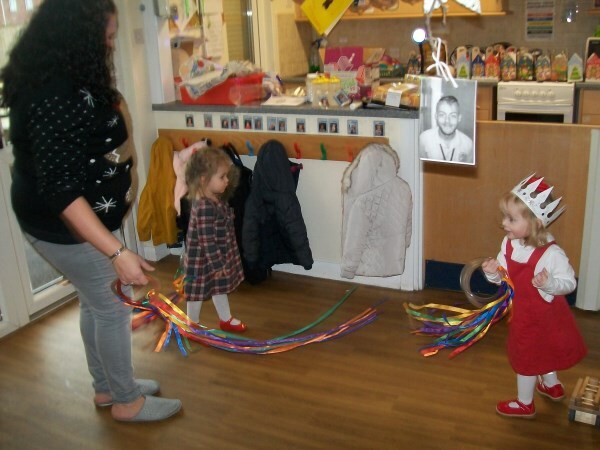 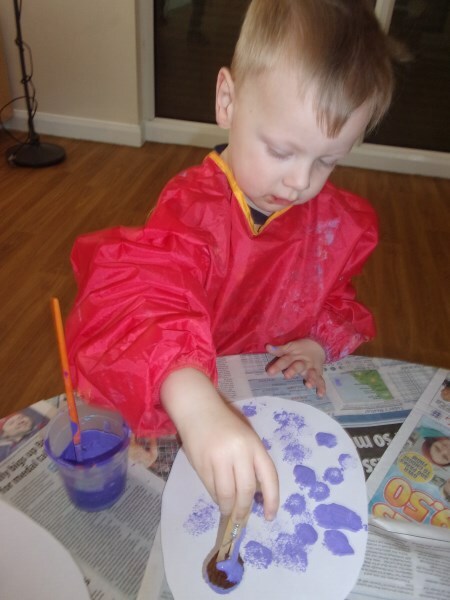 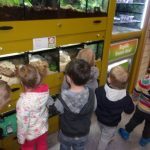 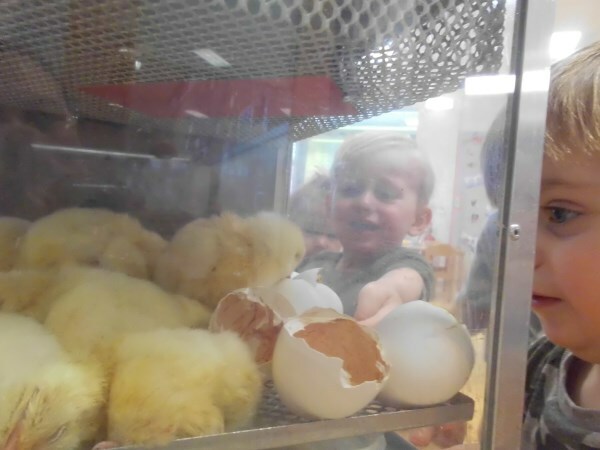 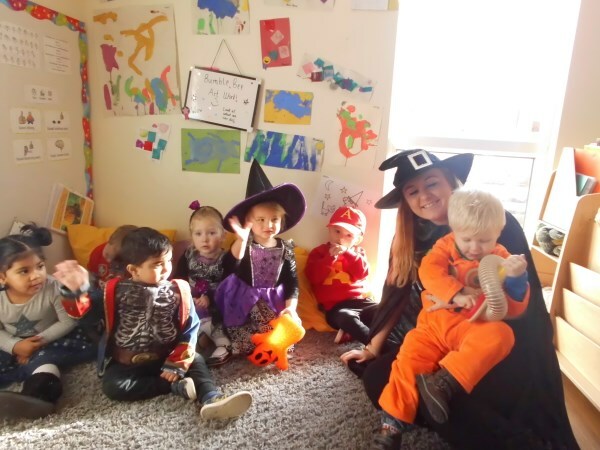 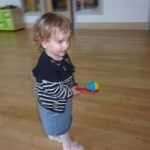 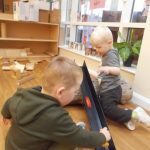 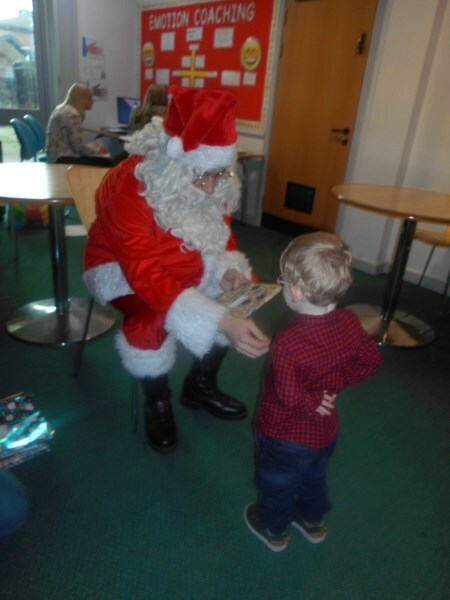 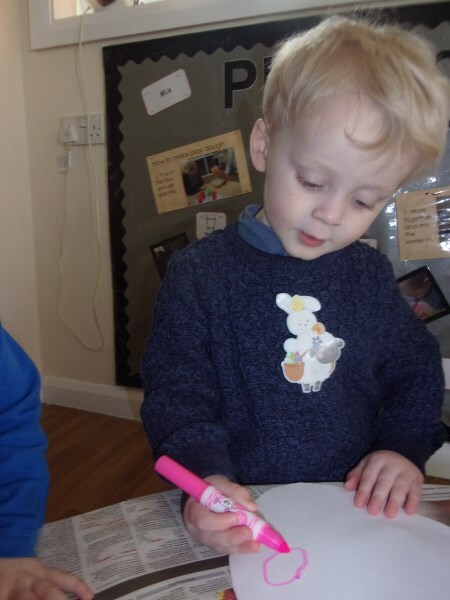 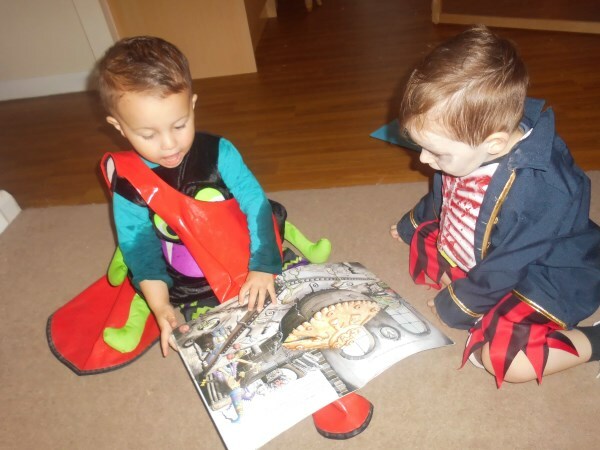 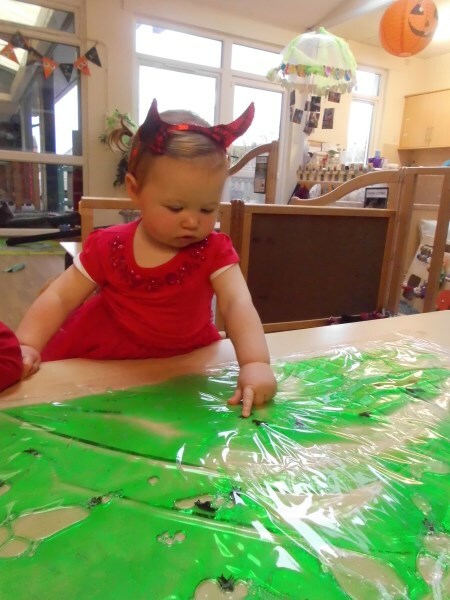 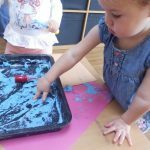 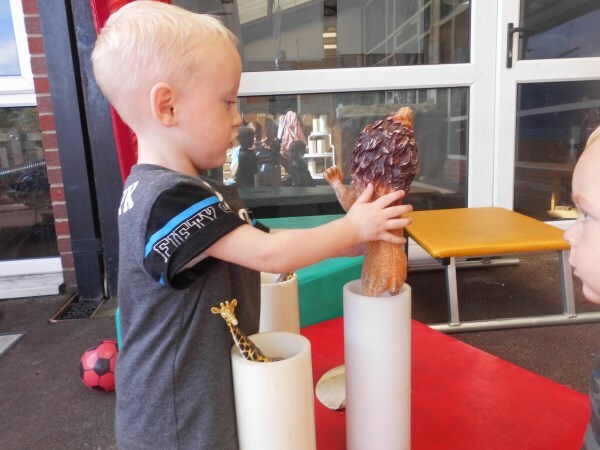 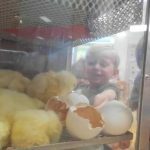 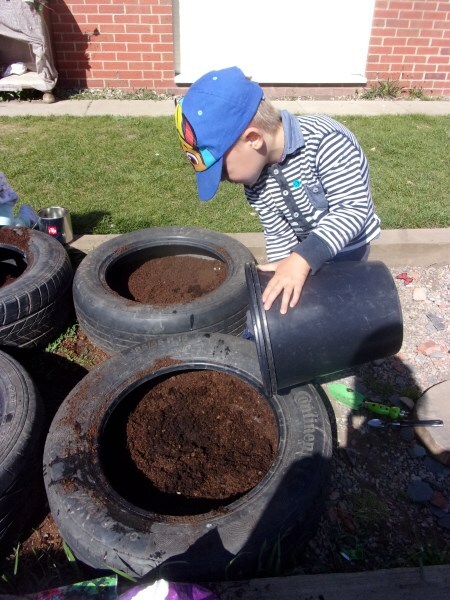 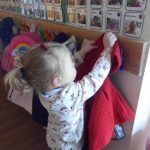 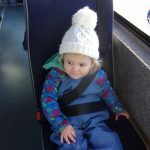 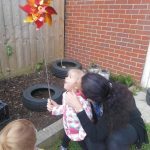 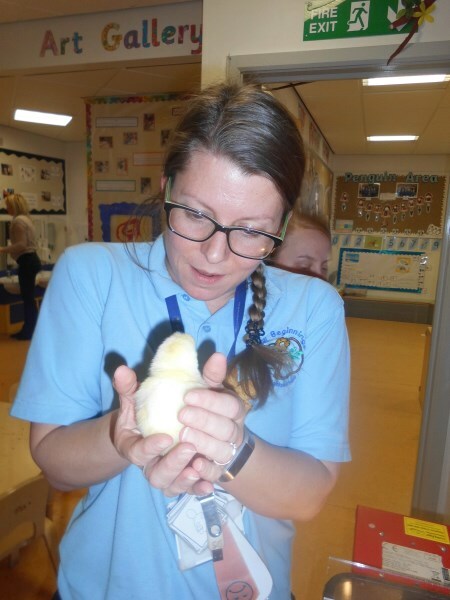 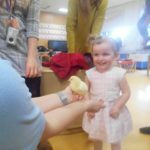 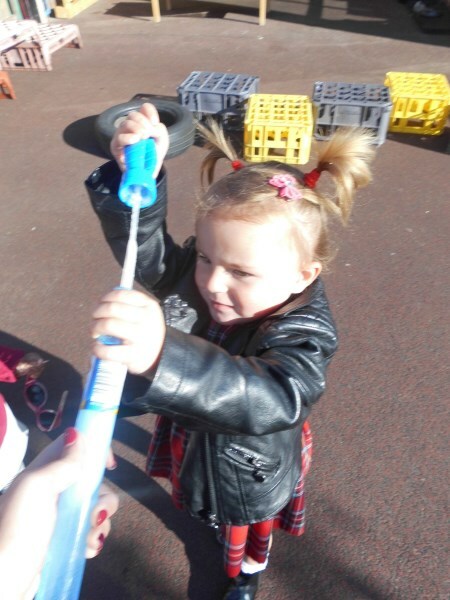 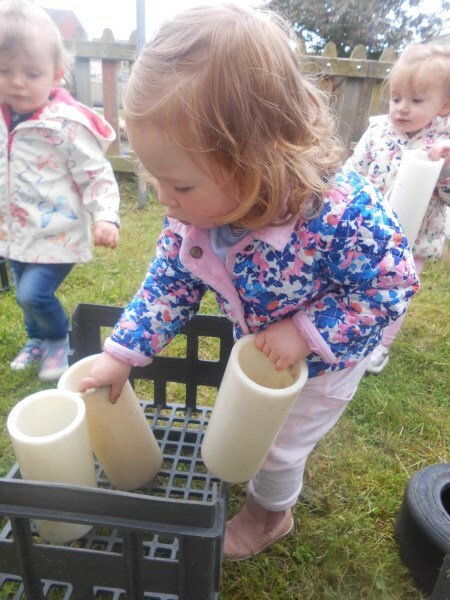 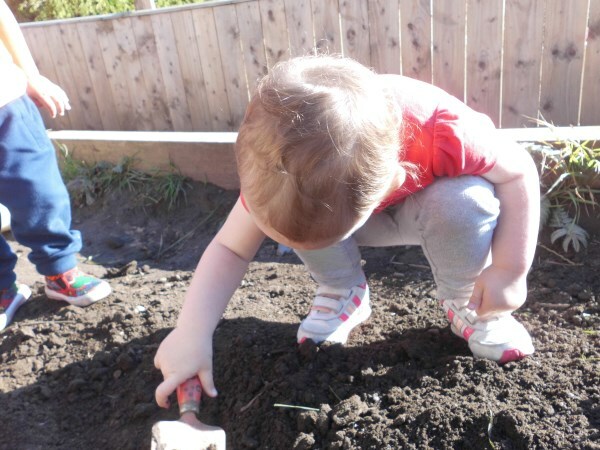 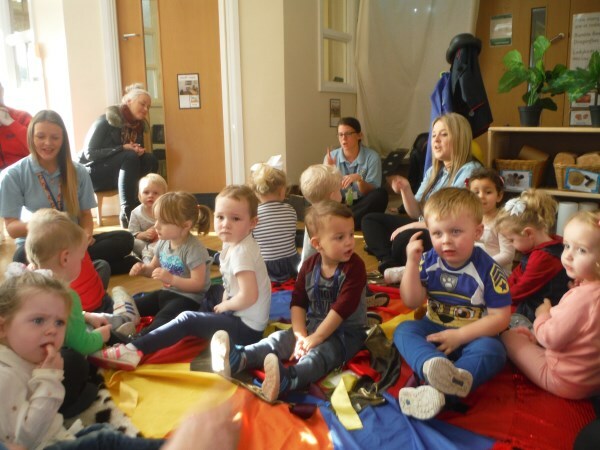 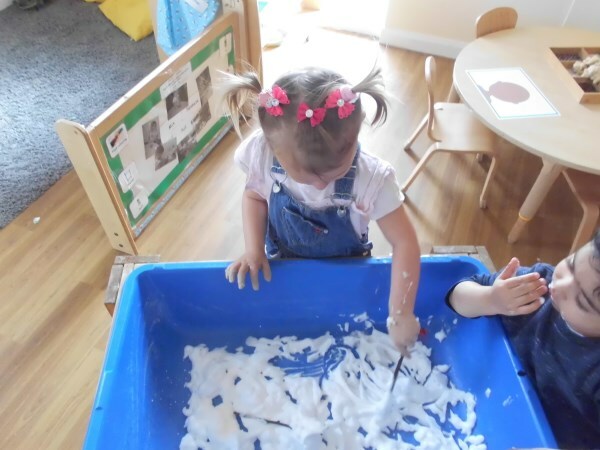 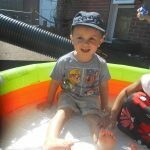 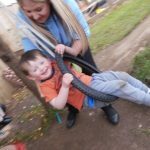 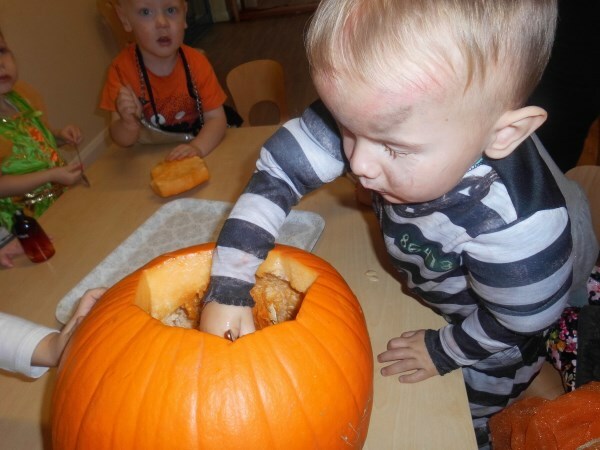 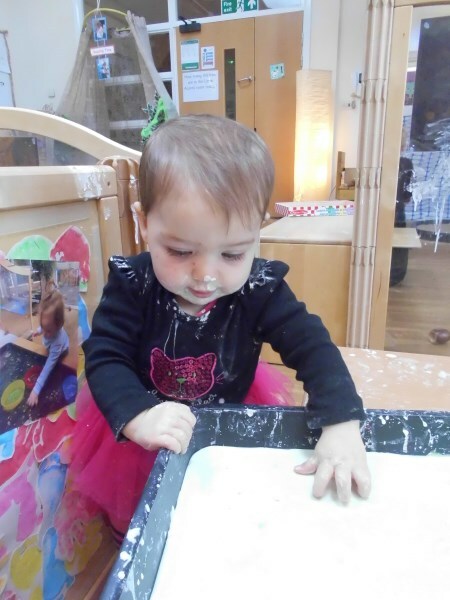 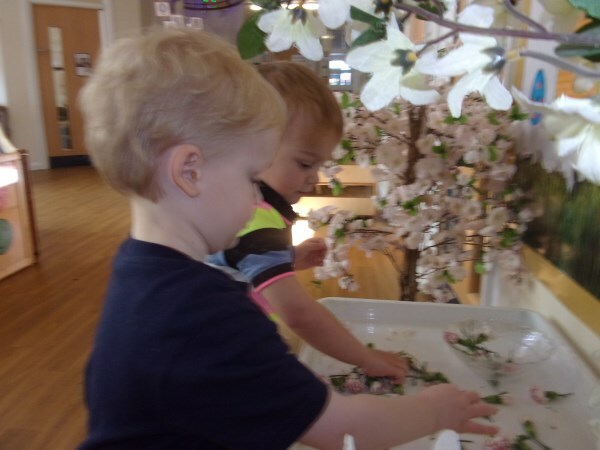 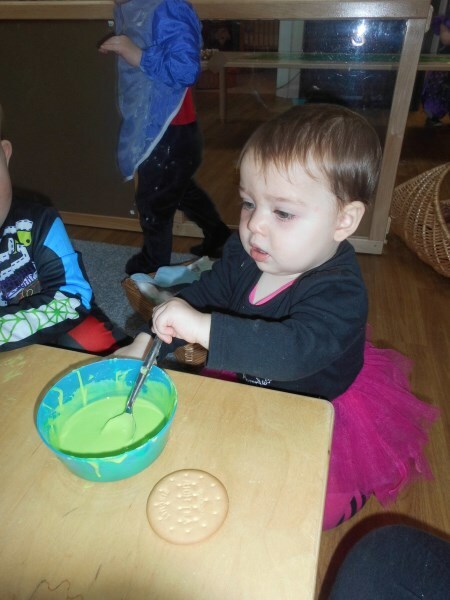 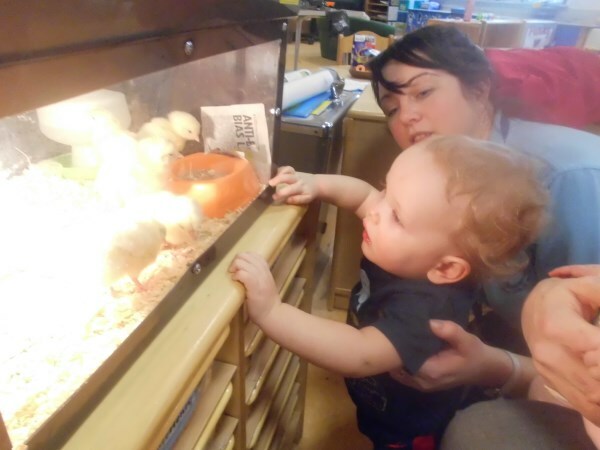 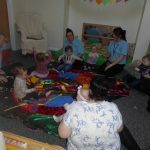 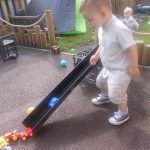 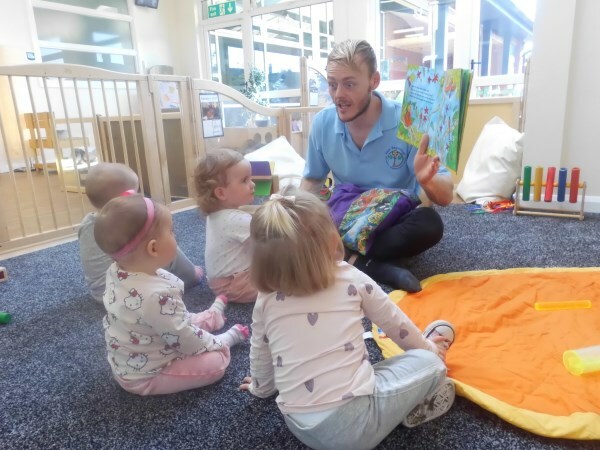 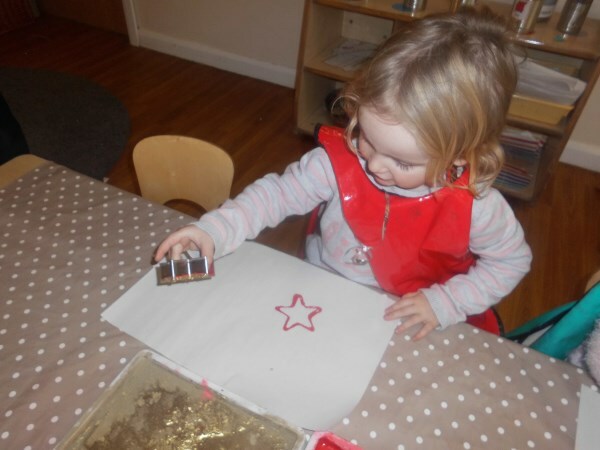 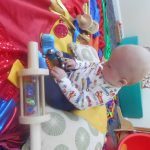 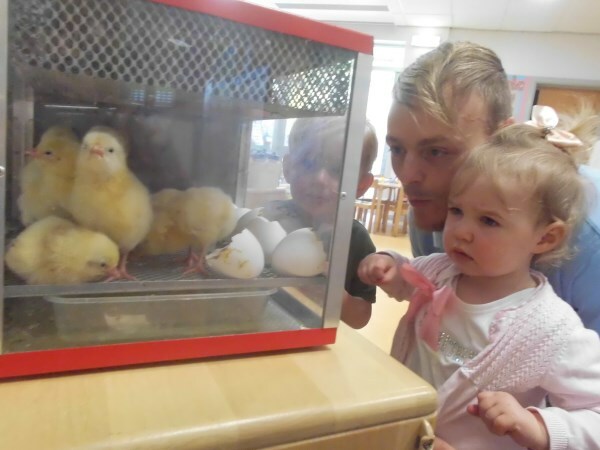 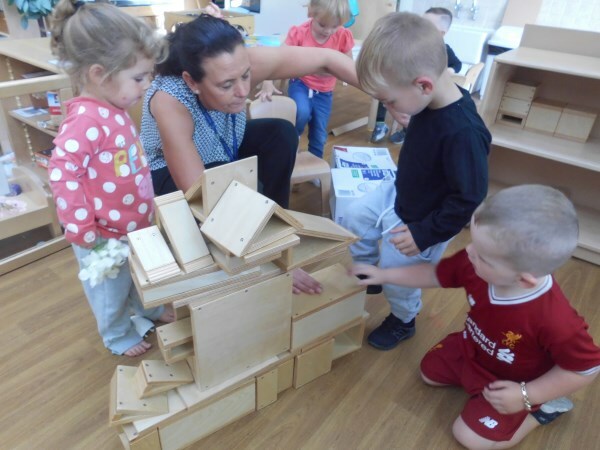 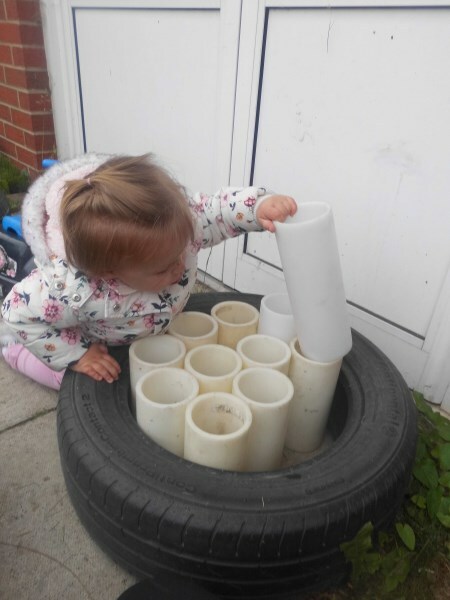 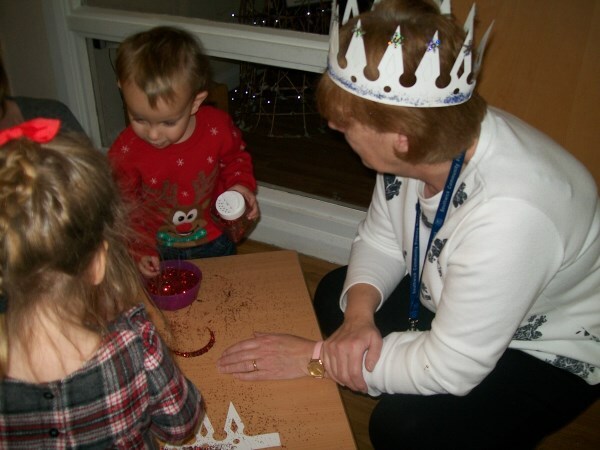 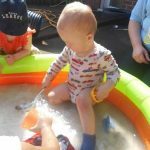 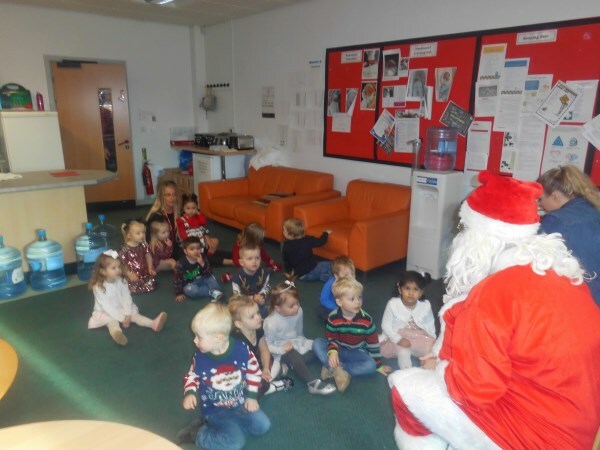 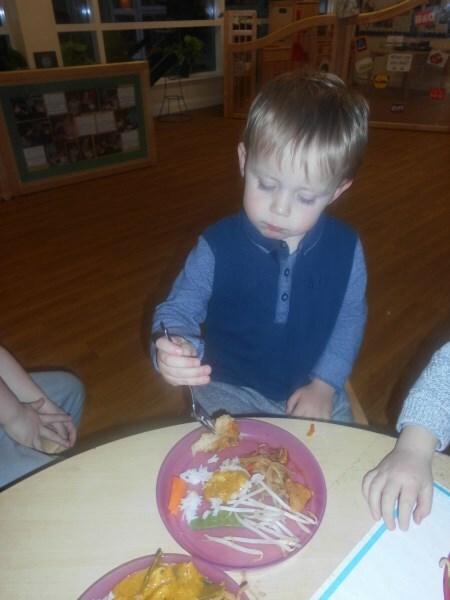 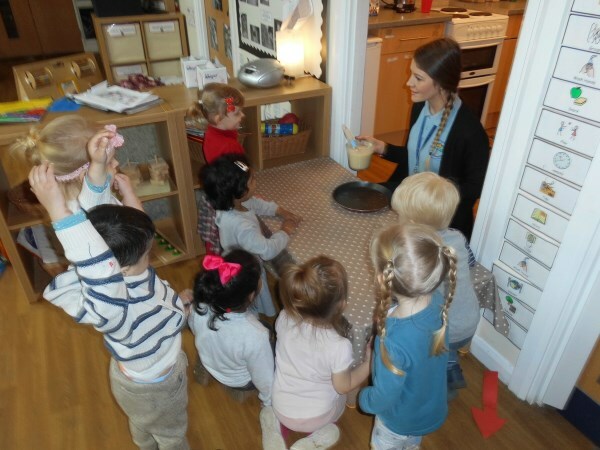 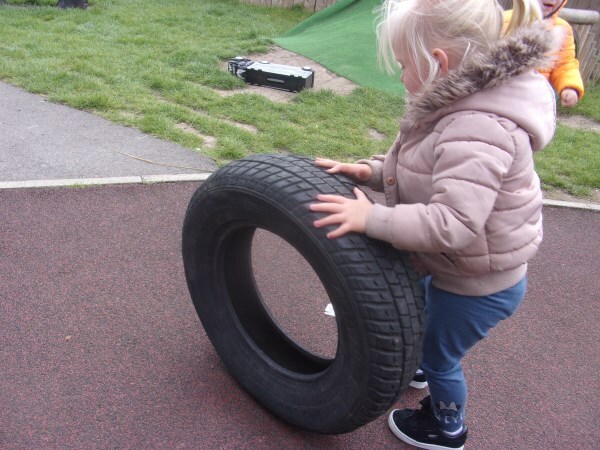 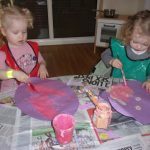 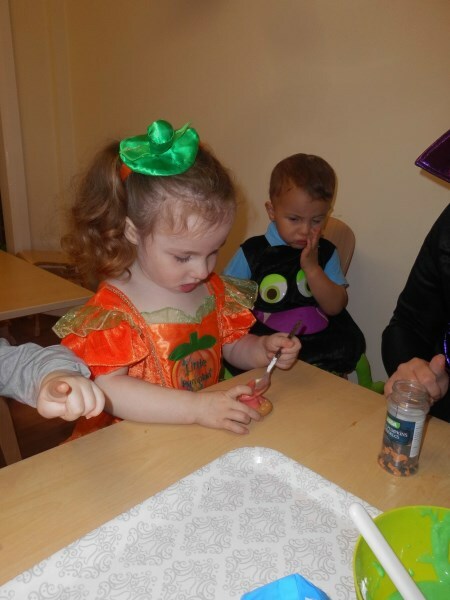 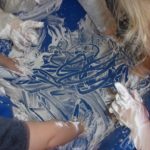 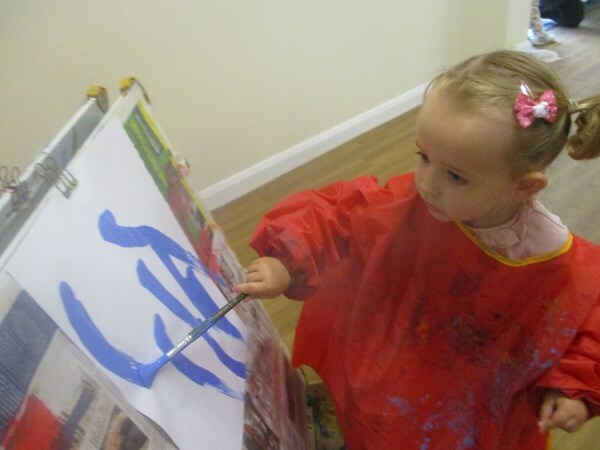 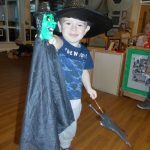 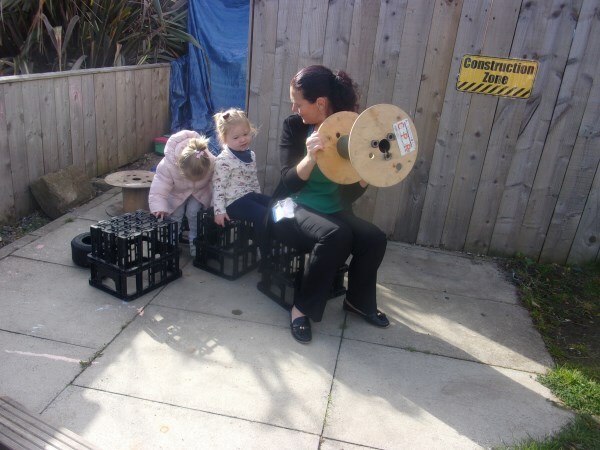 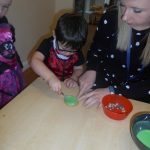 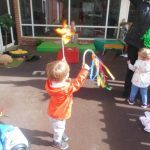 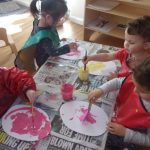 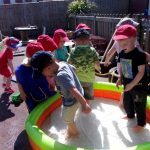 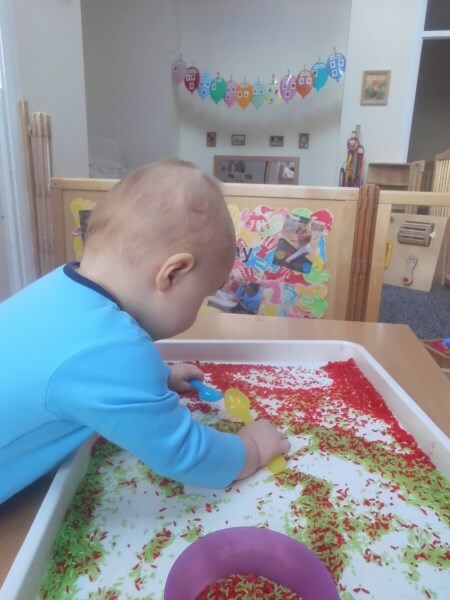 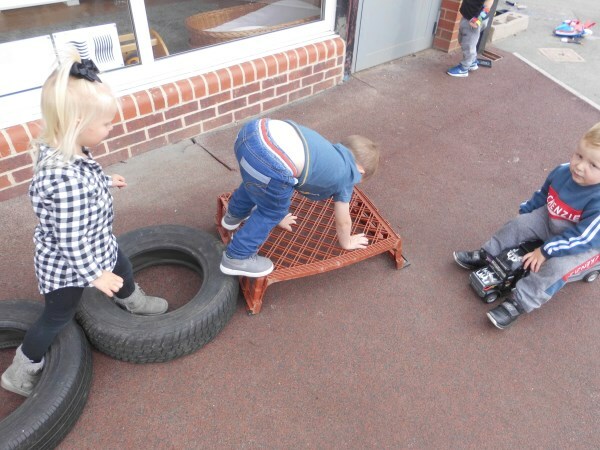 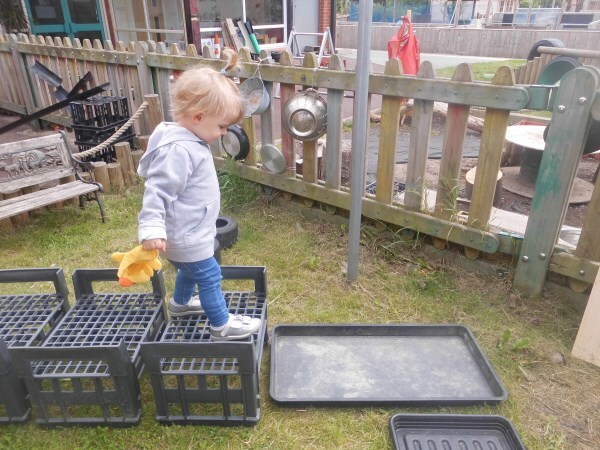 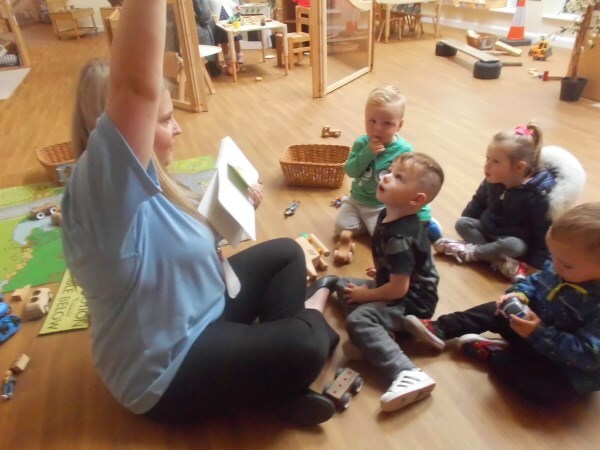 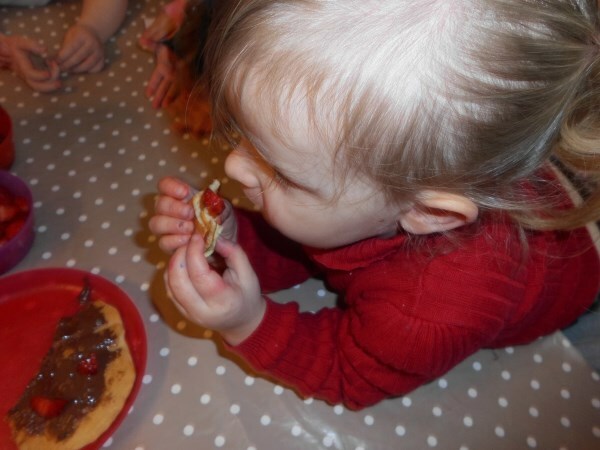 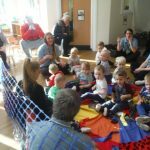 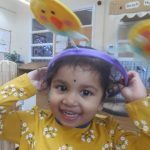 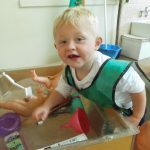 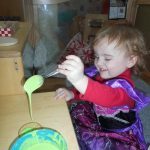 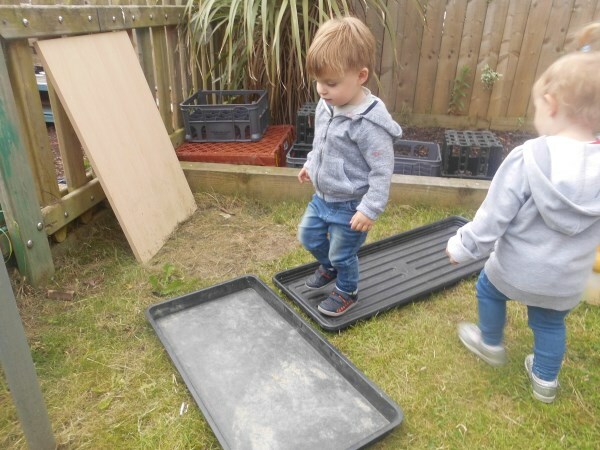 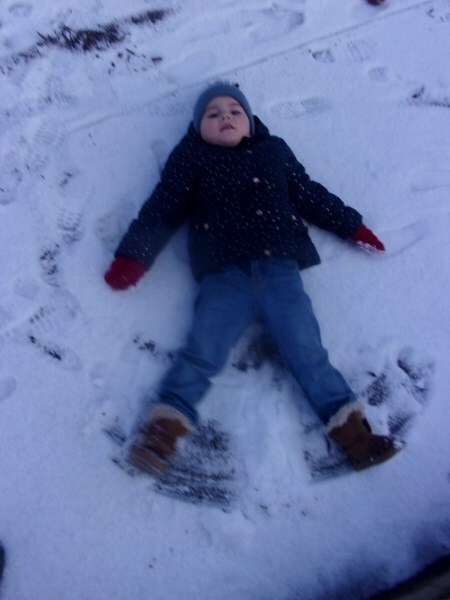 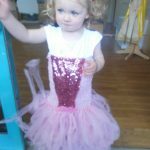 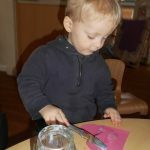 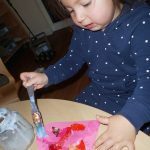 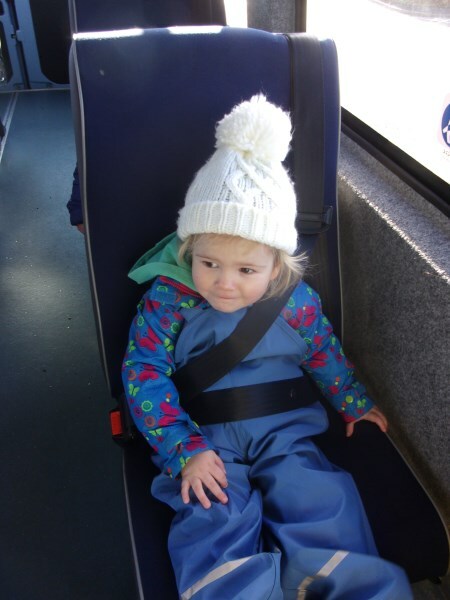 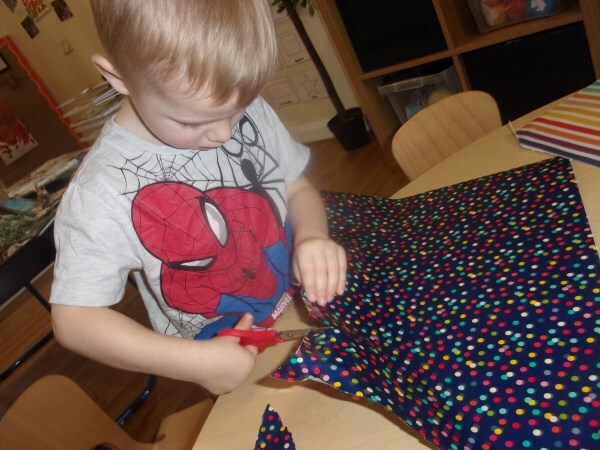 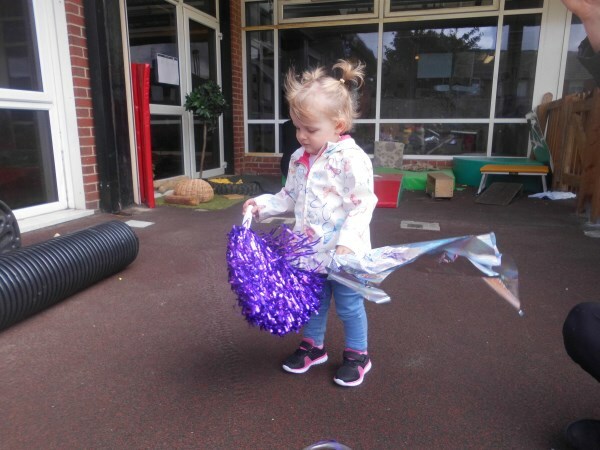 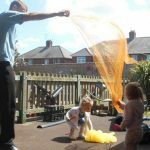 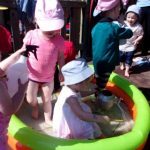 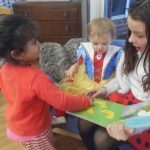 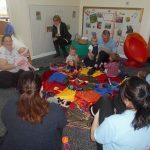 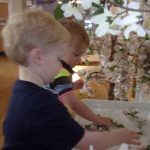 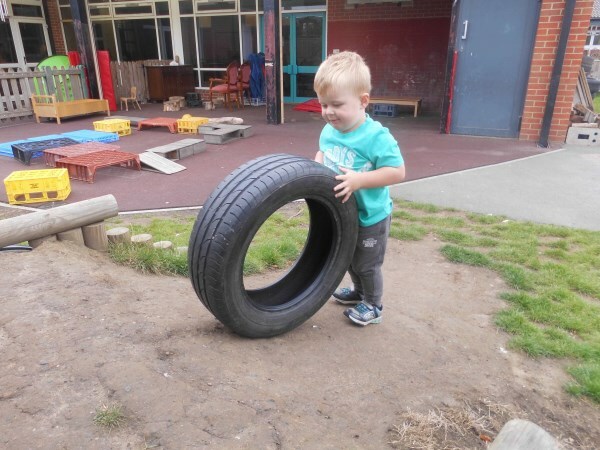 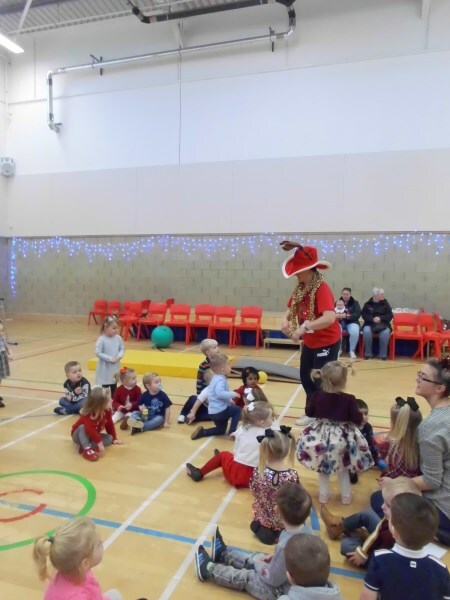 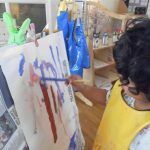 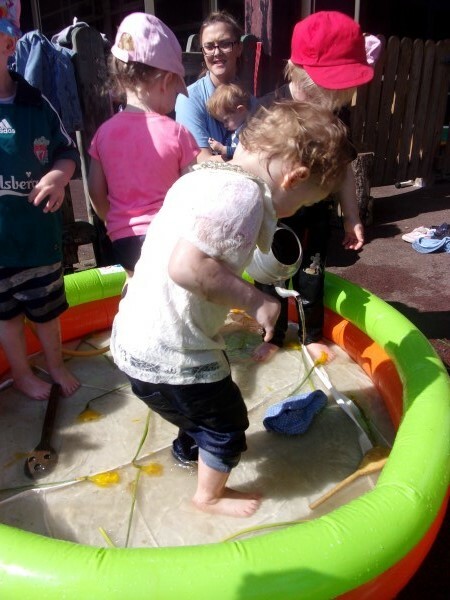 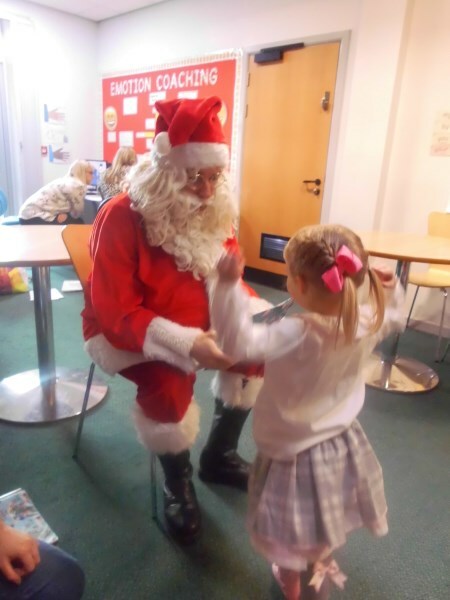 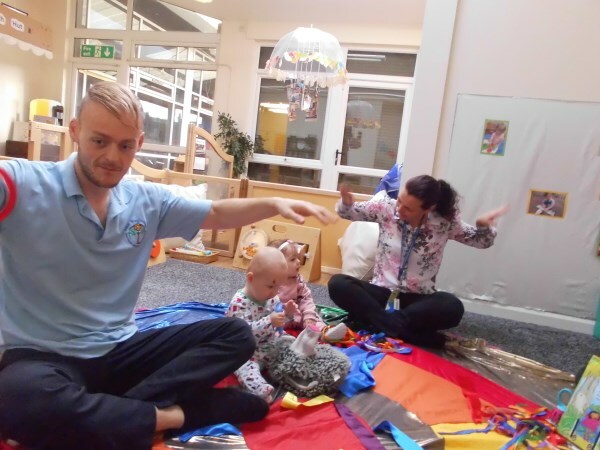 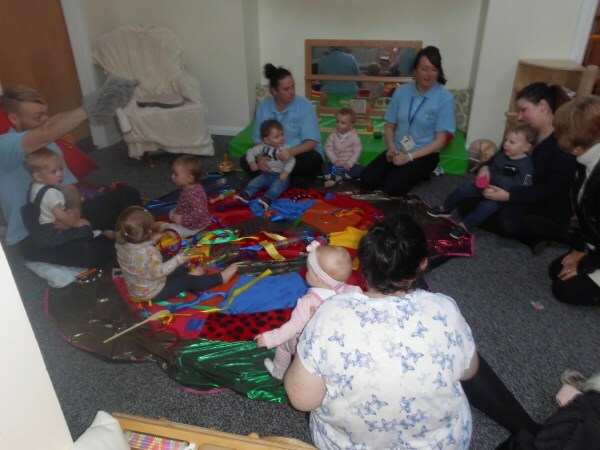 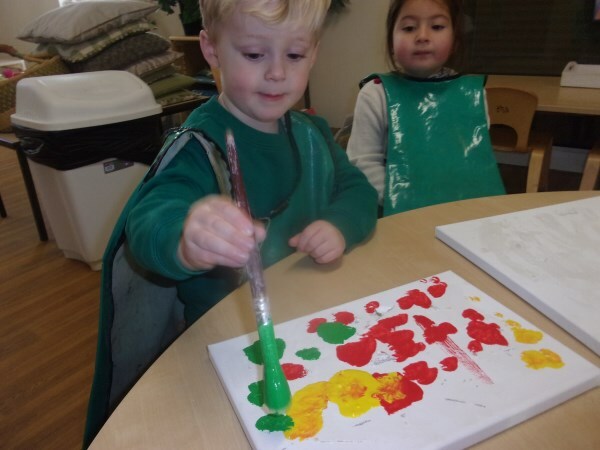 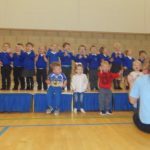 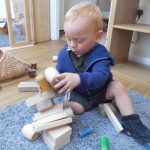 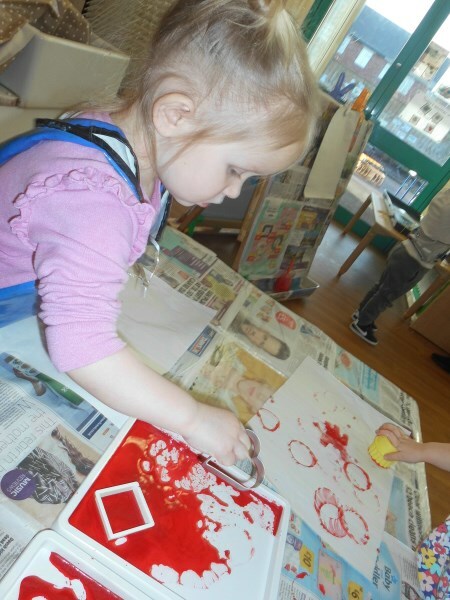 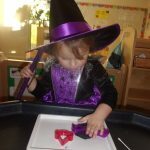 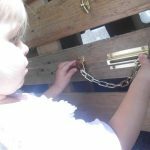 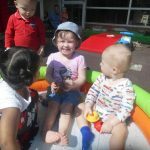 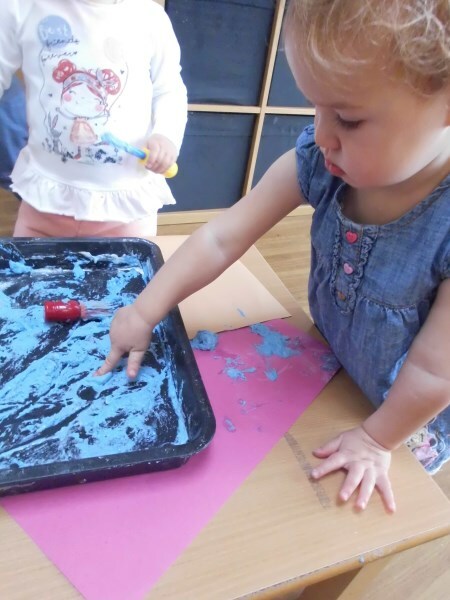 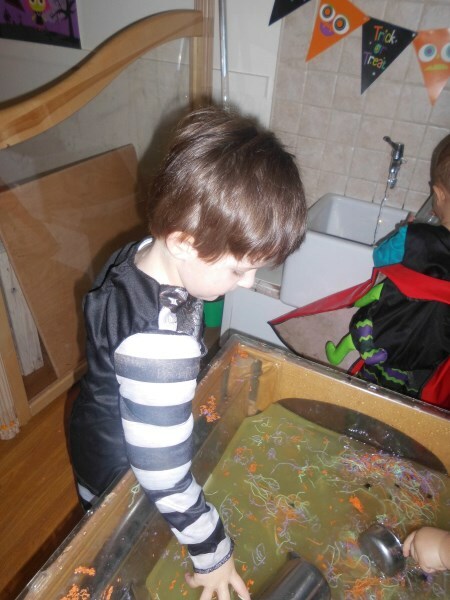 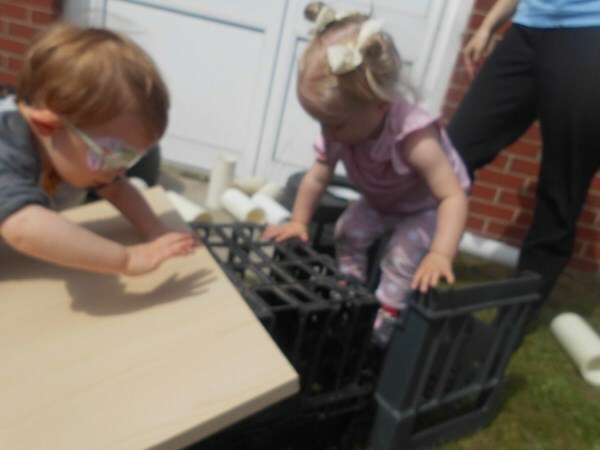 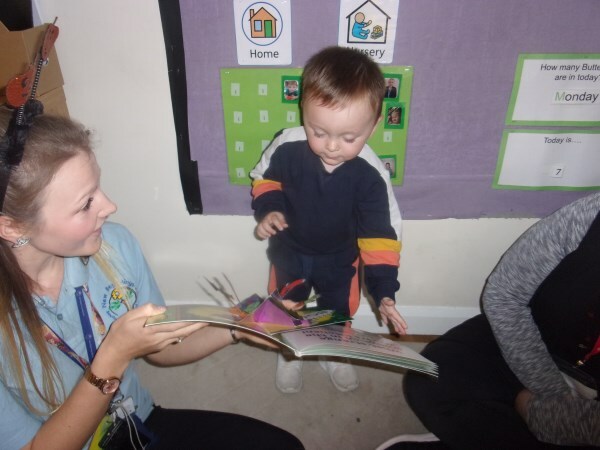 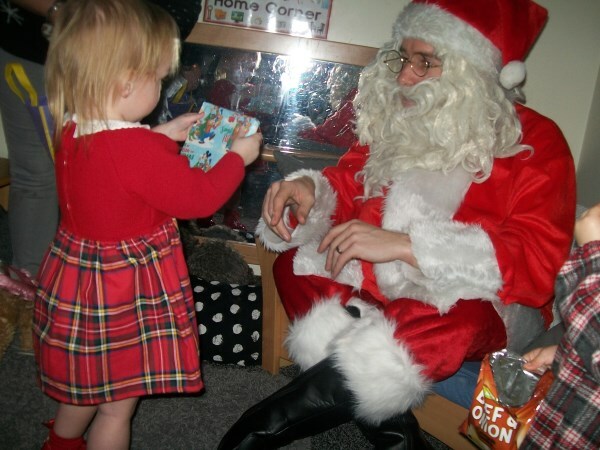 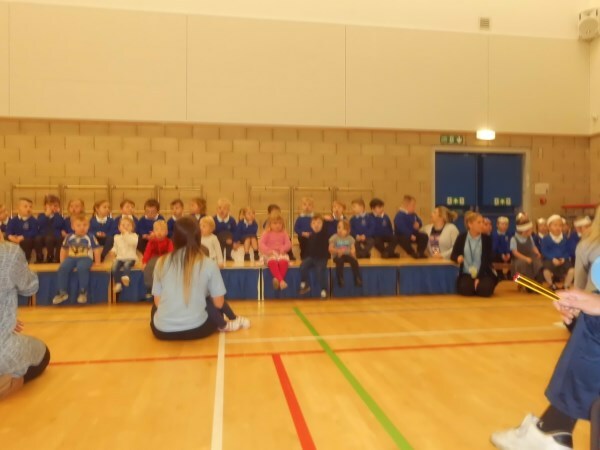 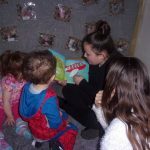 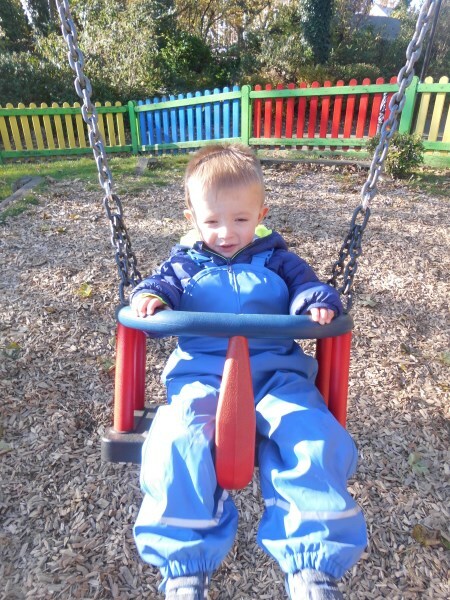 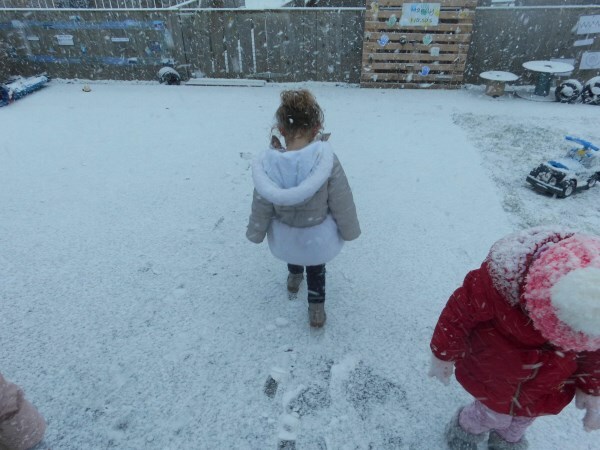 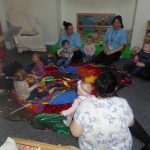 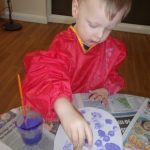 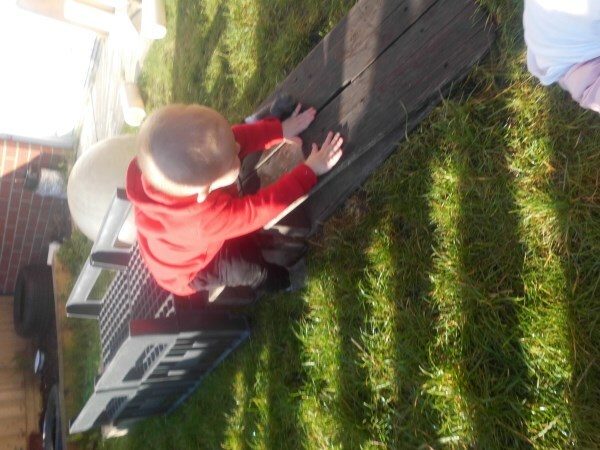 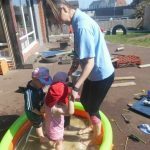 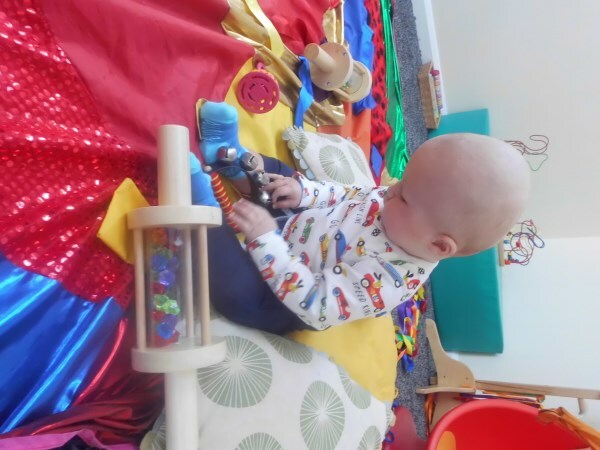 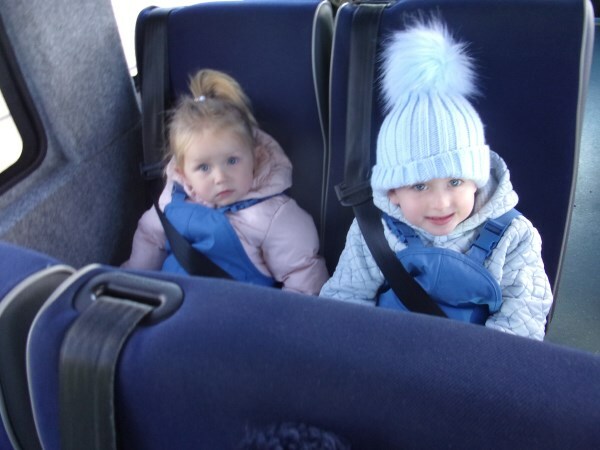 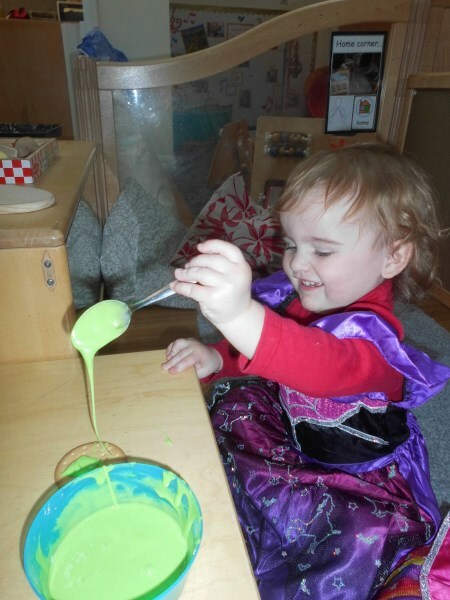 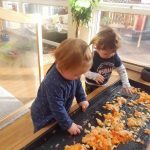 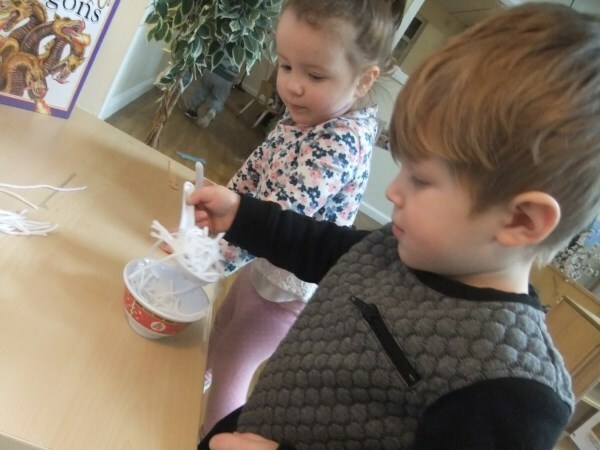 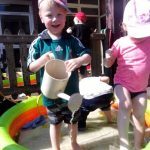 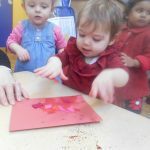 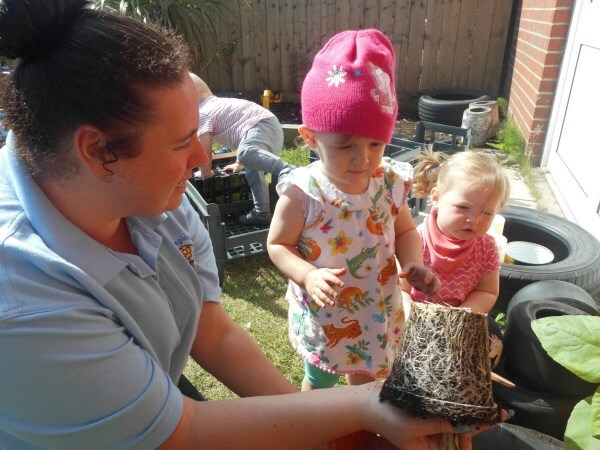 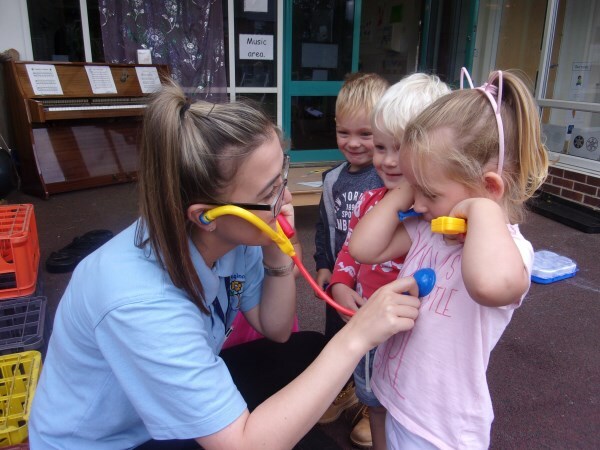 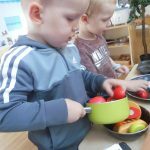 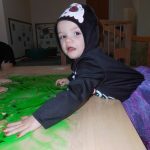 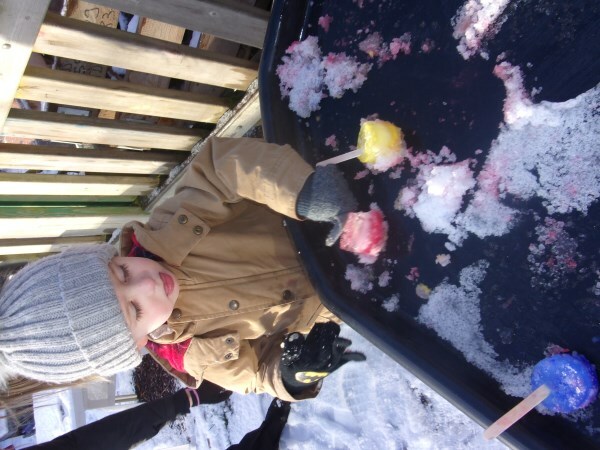 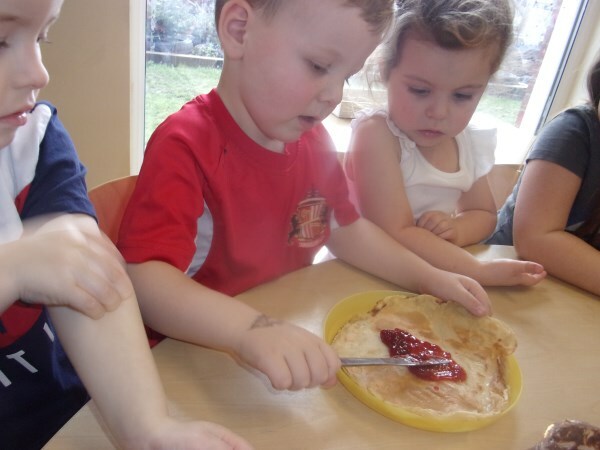 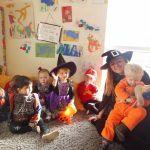 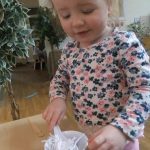 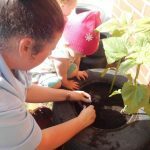 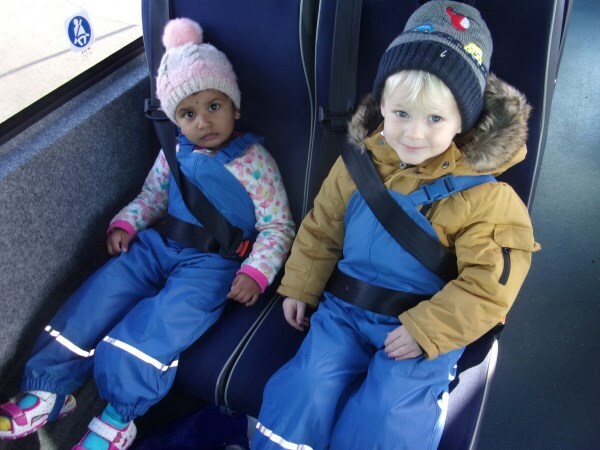 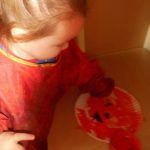 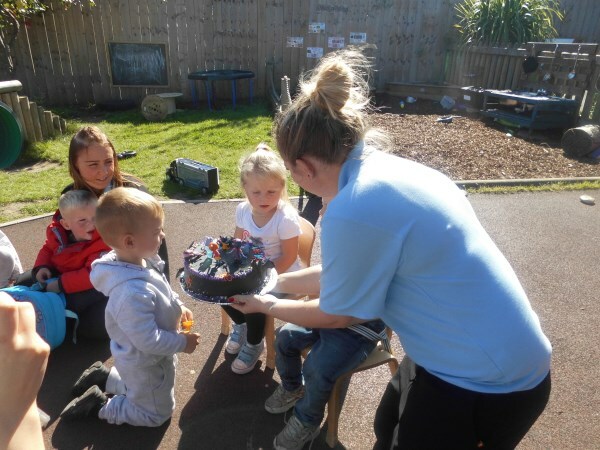 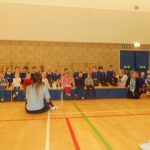 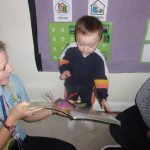 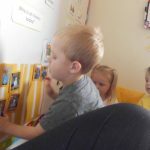 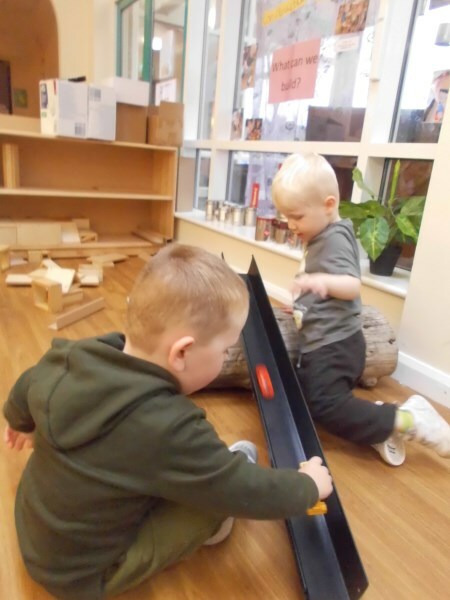 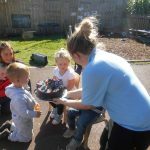 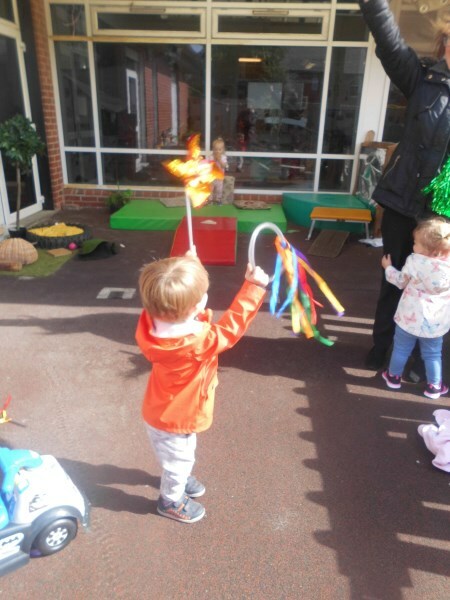 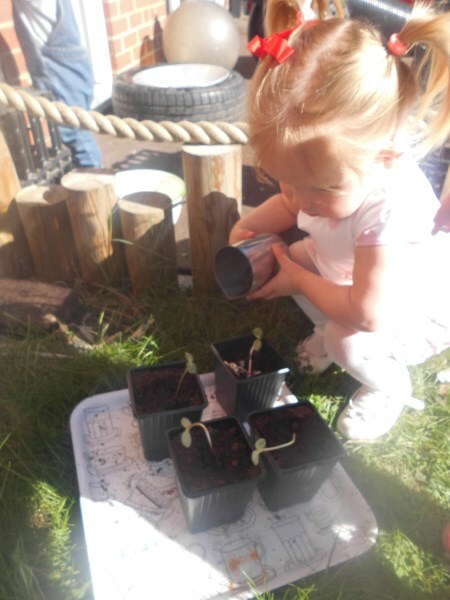 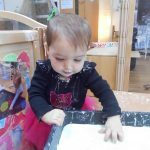 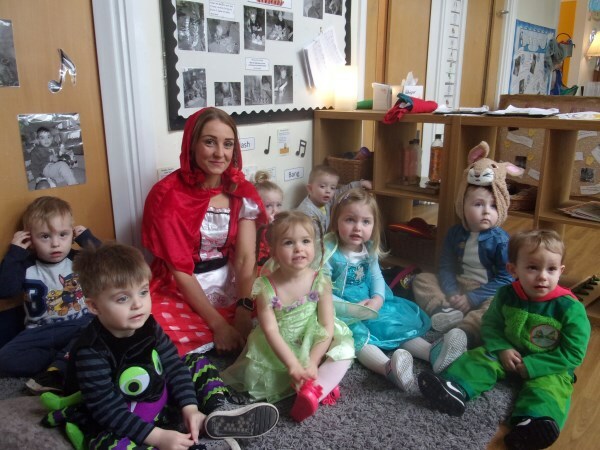 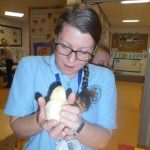 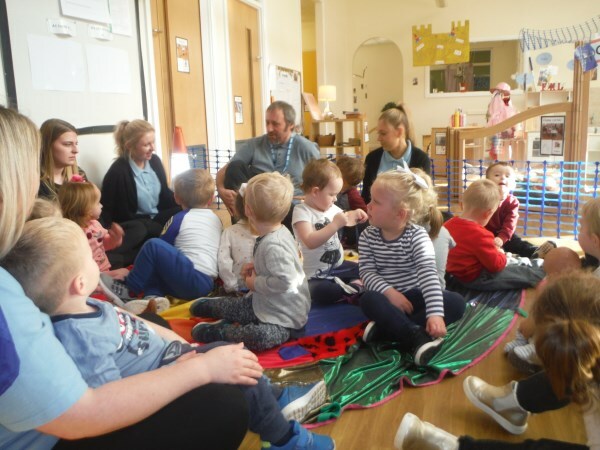 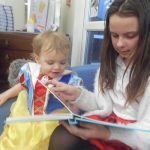 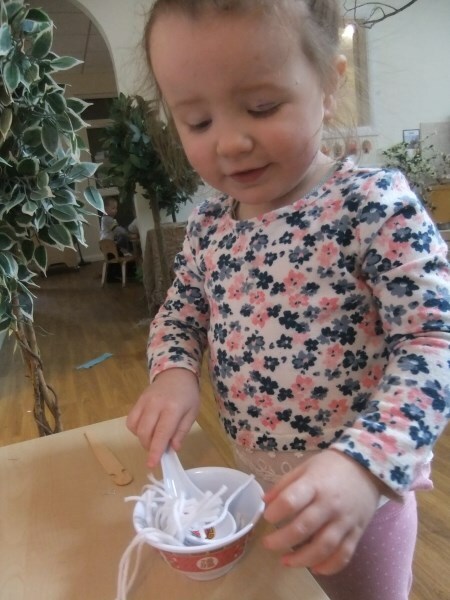 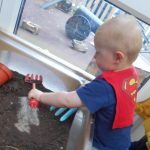 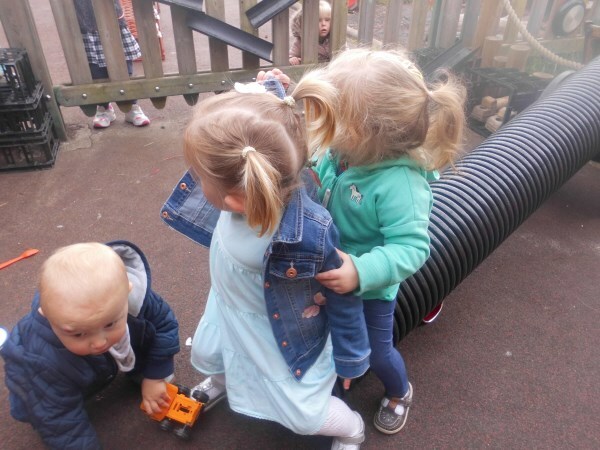 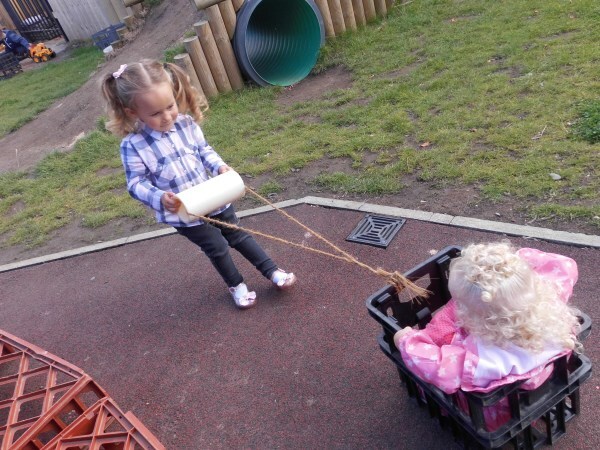 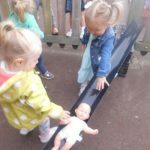 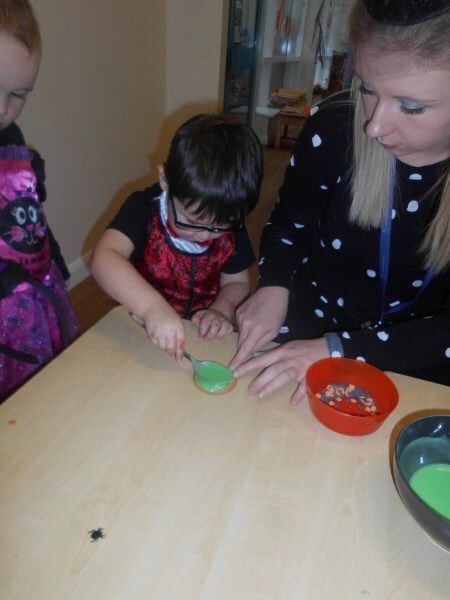 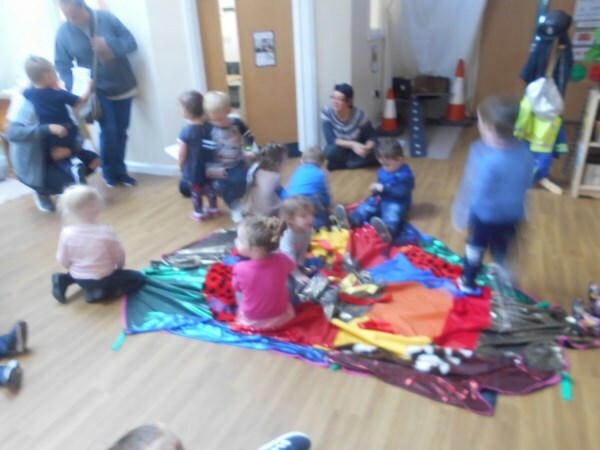 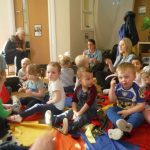 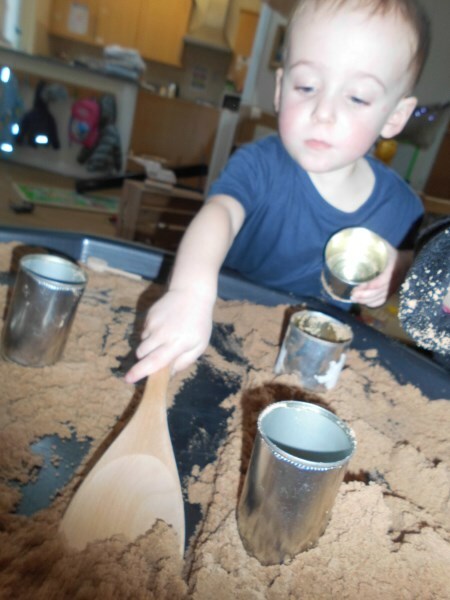 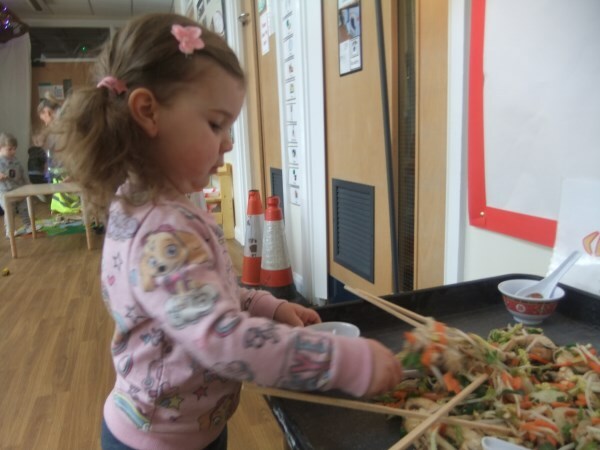 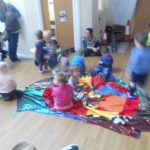 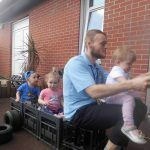 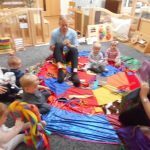 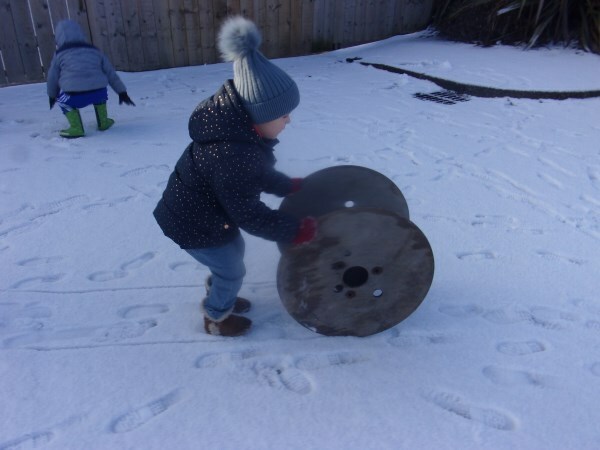 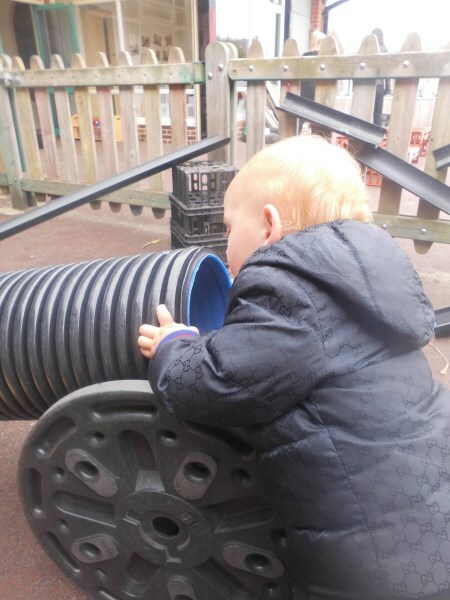 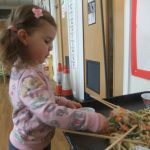 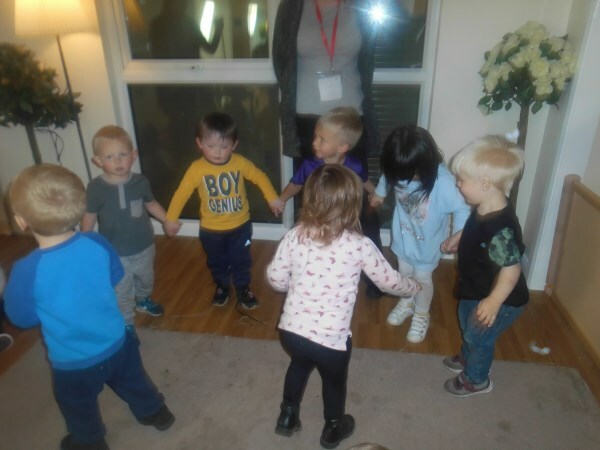 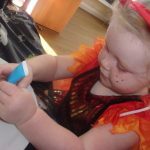 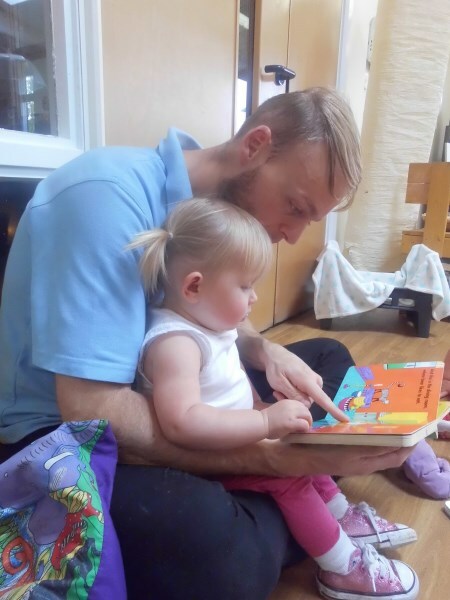 Our first few weeks back to nursery! 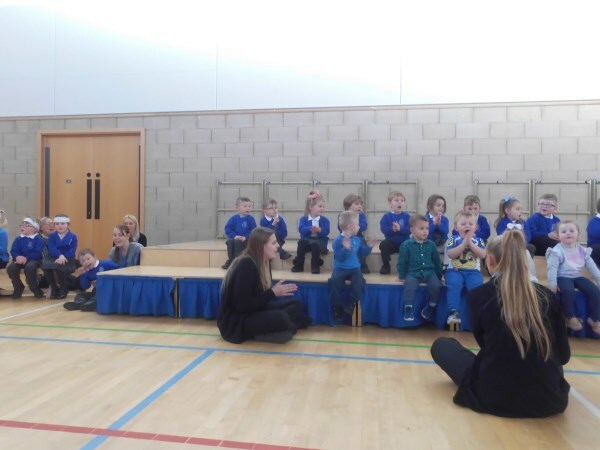 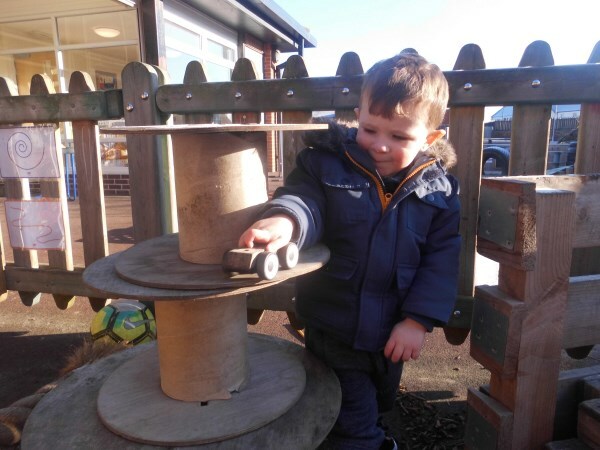 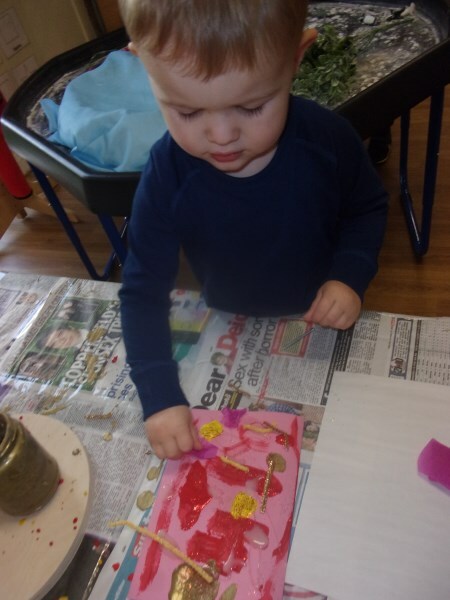 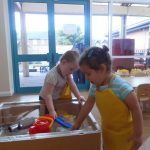 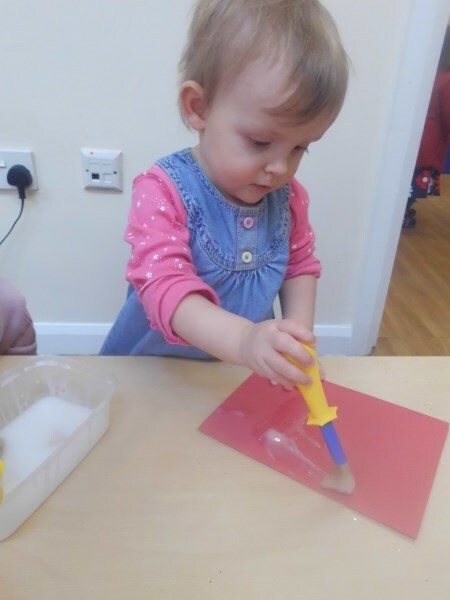 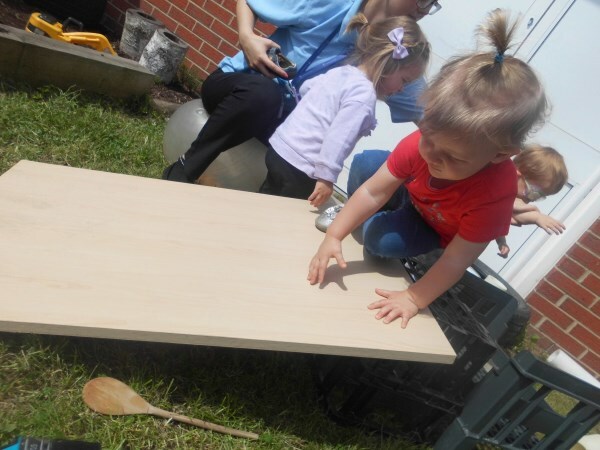 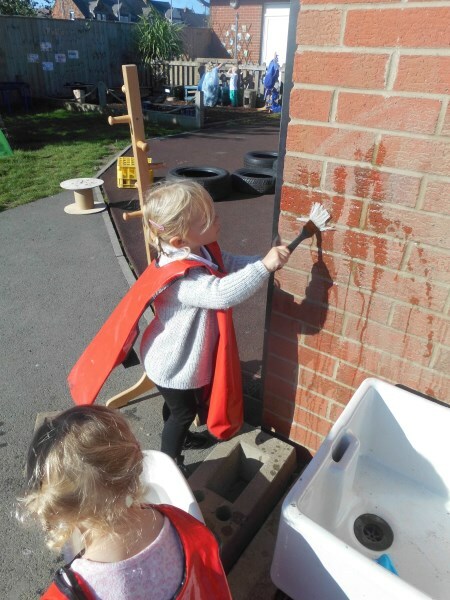 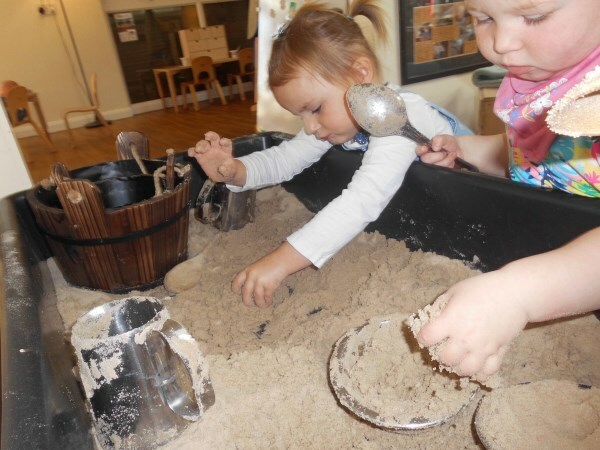 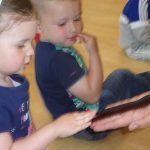 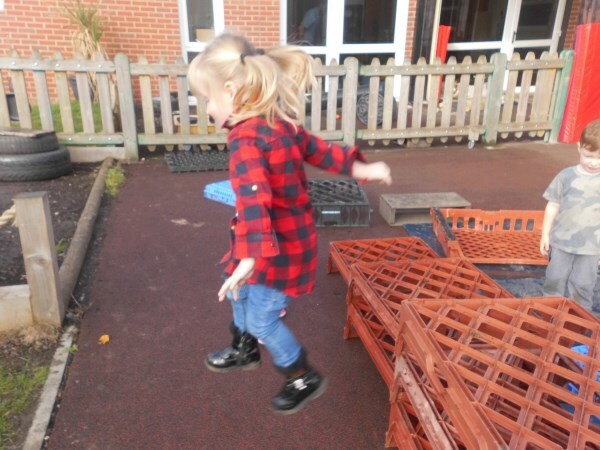 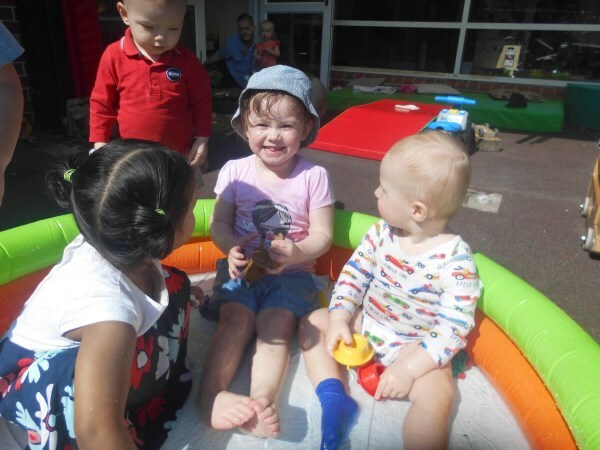 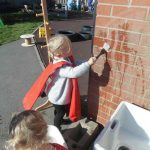 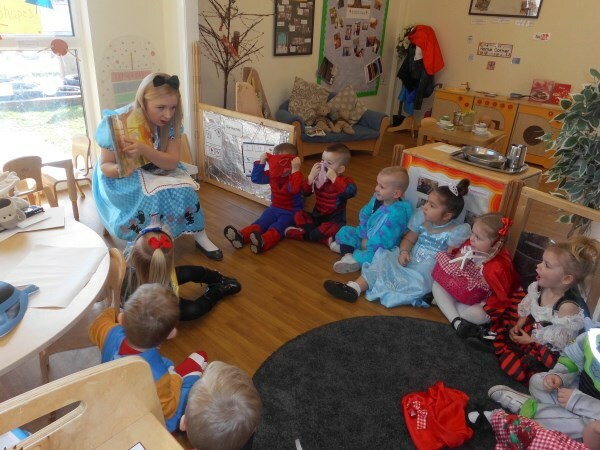 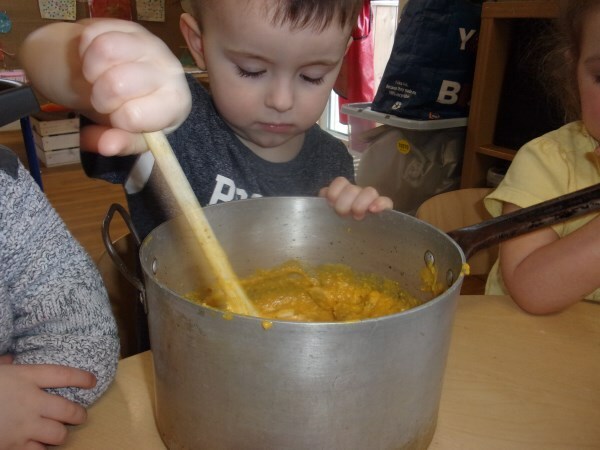 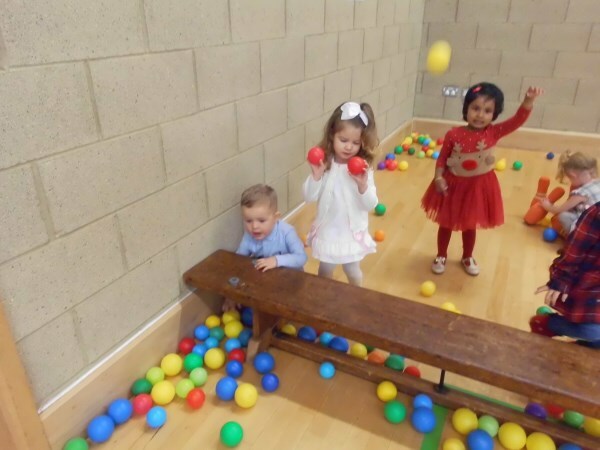 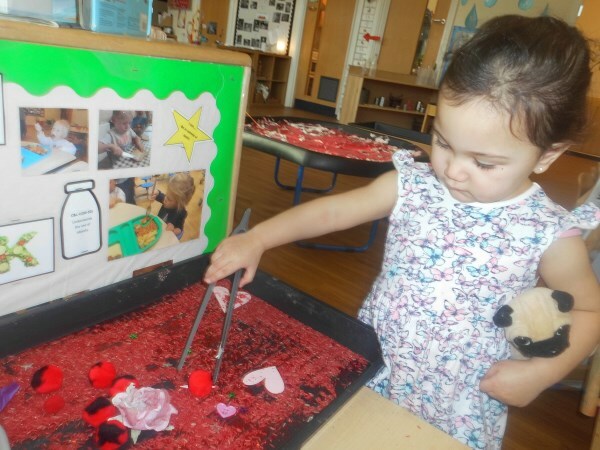 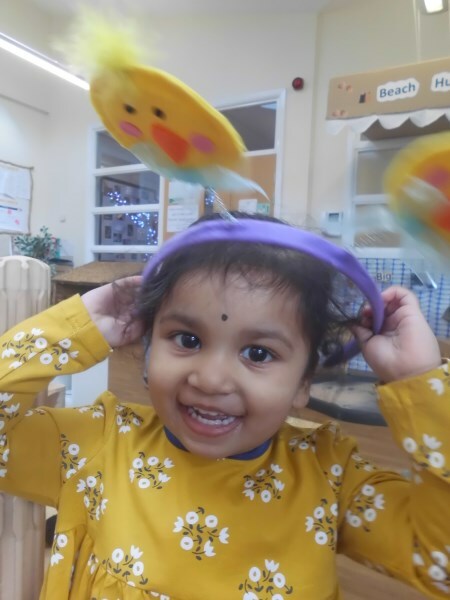 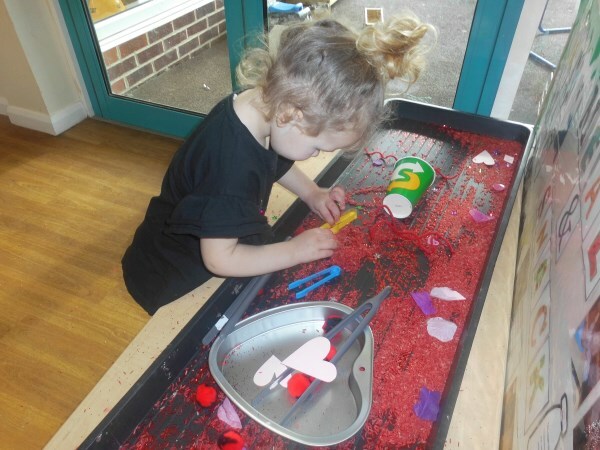 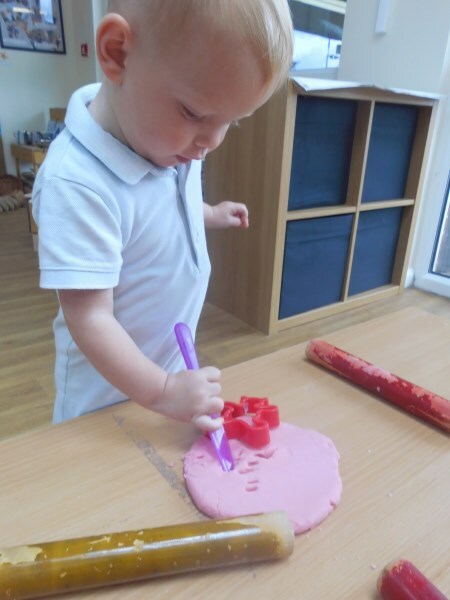 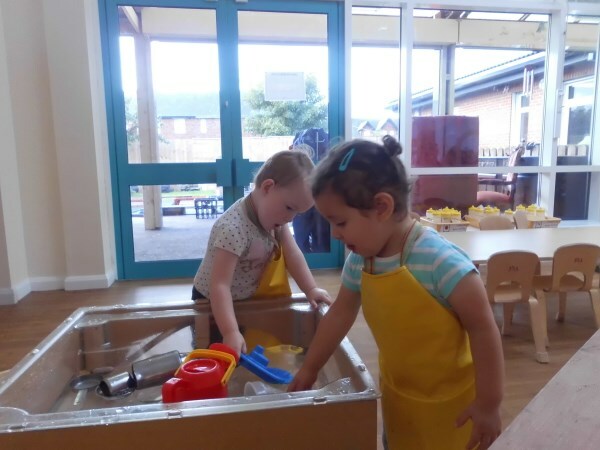 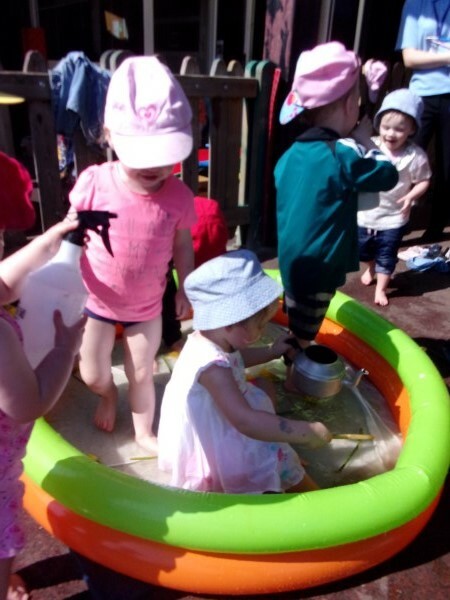 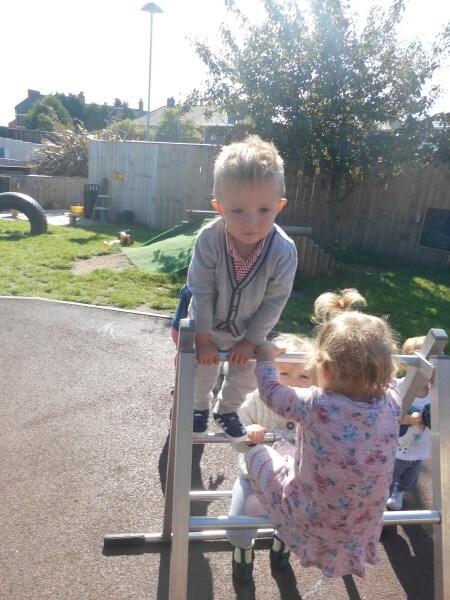 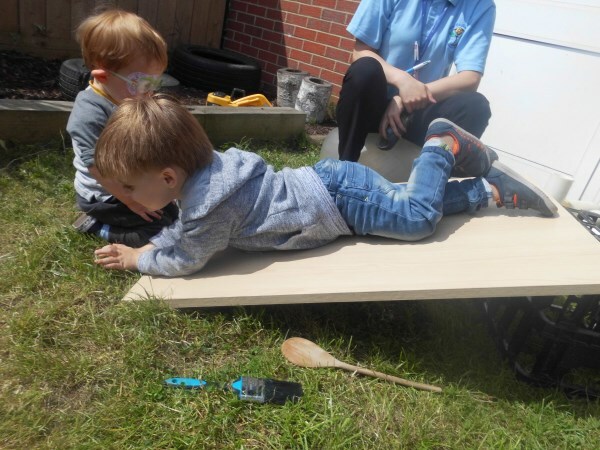 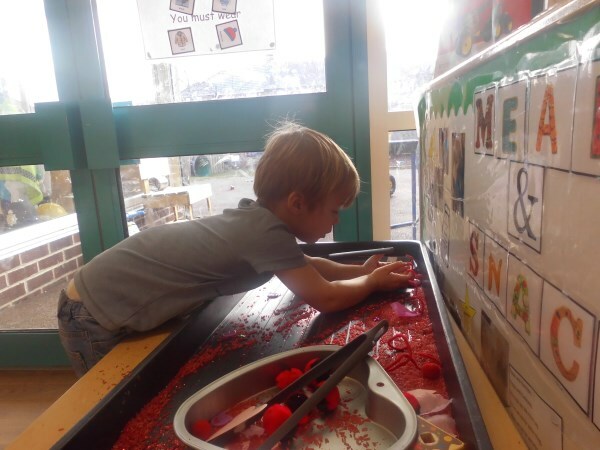 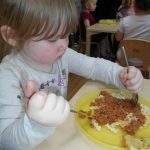 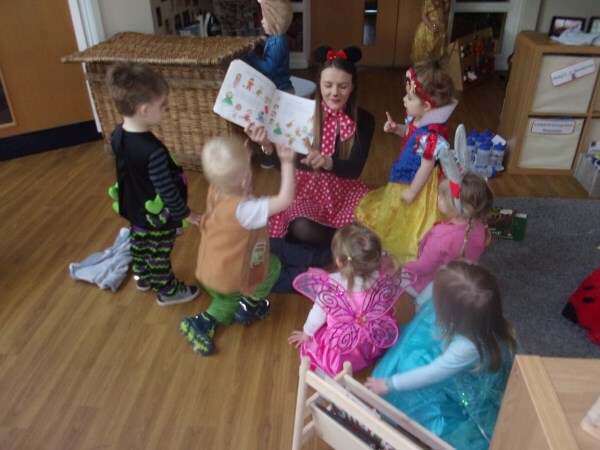 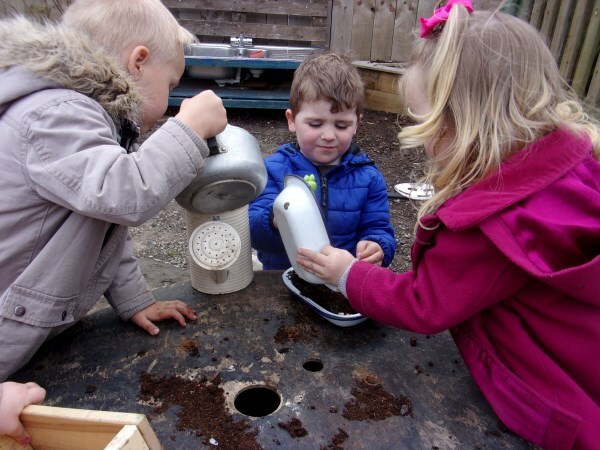 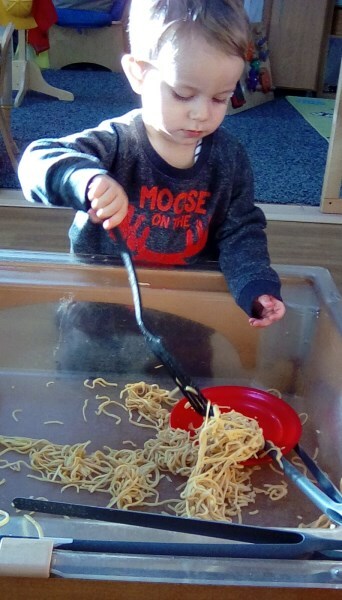 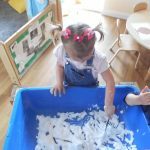 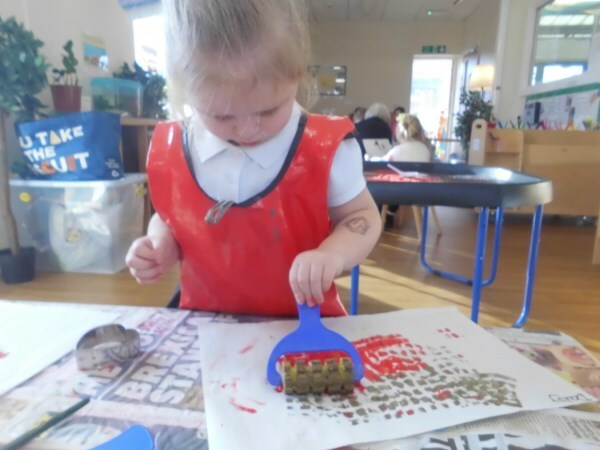 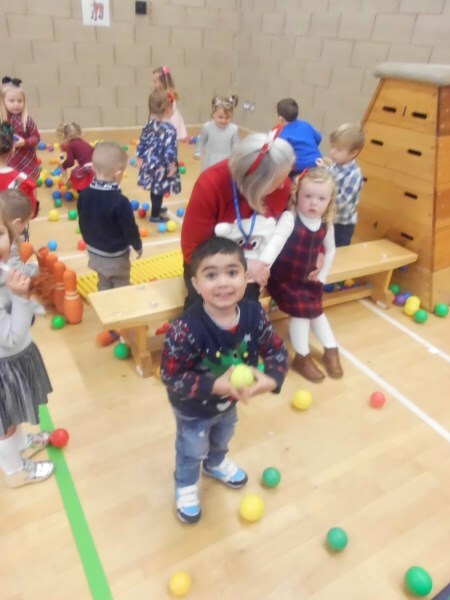 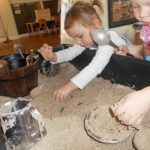 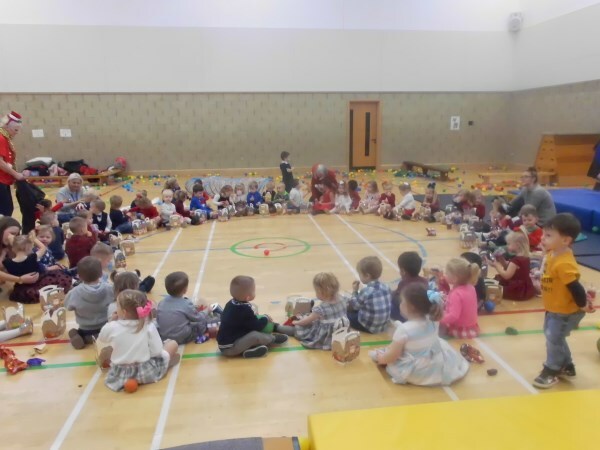 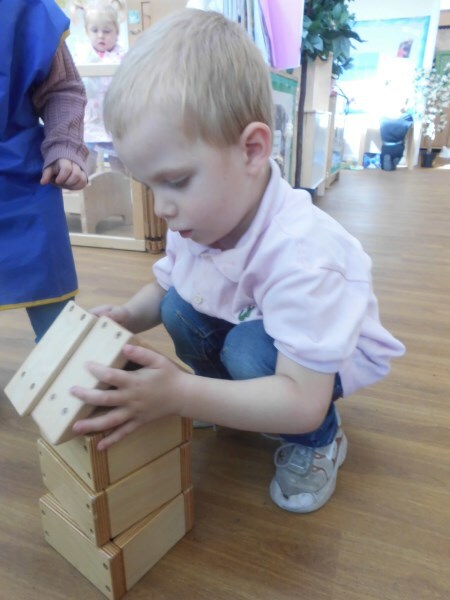 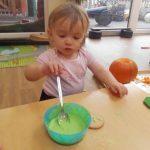 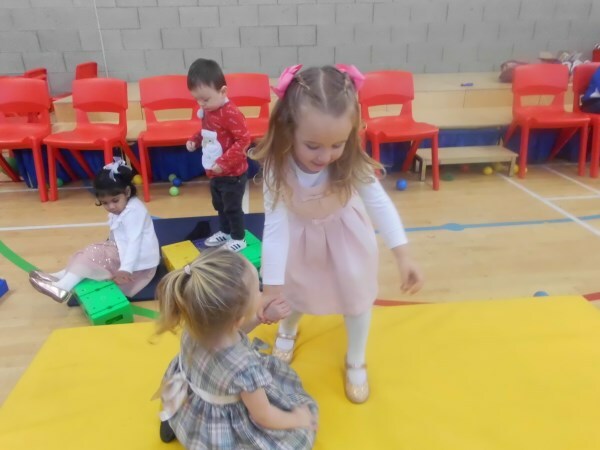 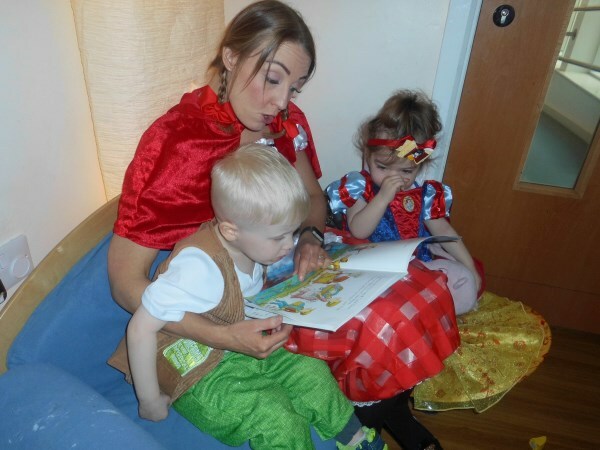 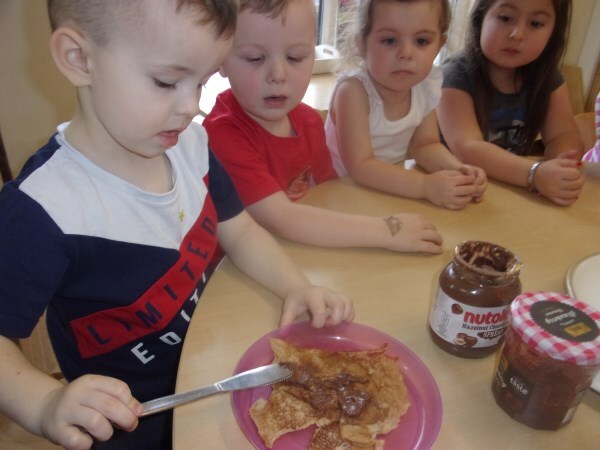 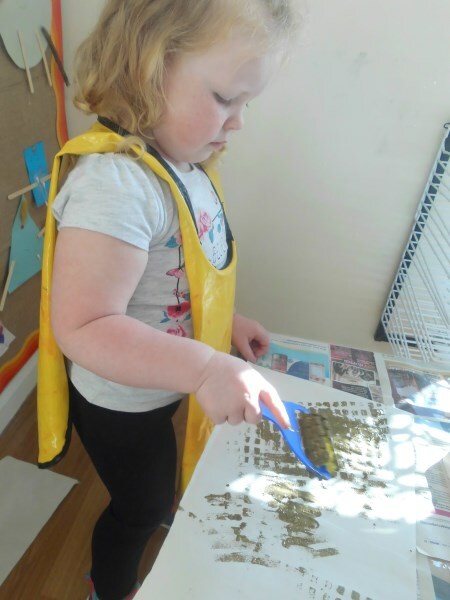 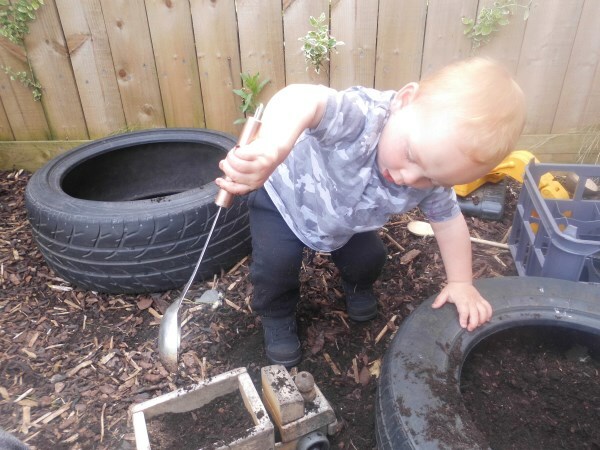 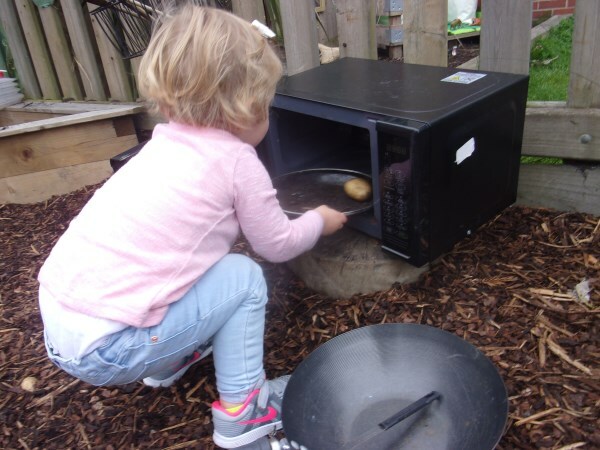 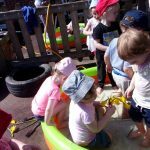 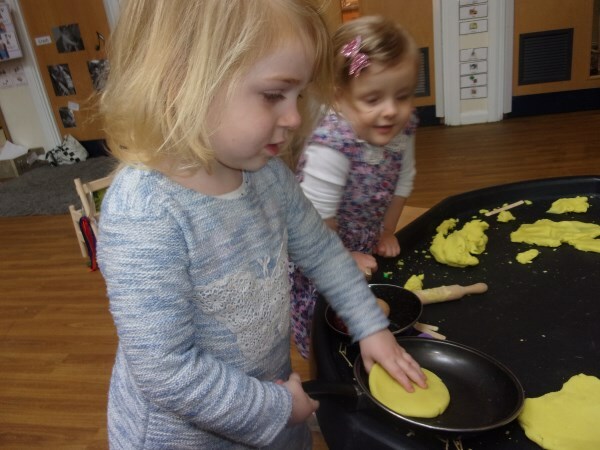 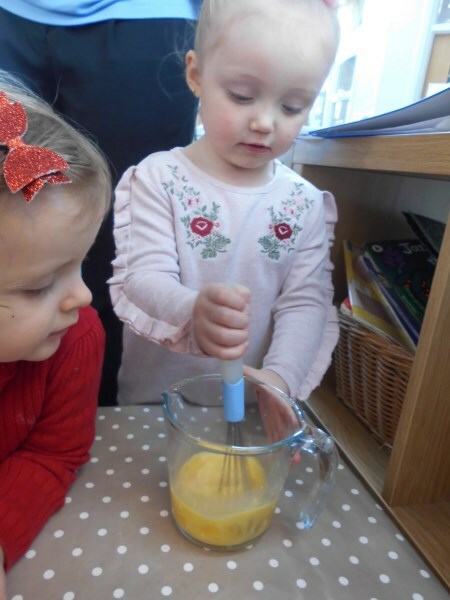 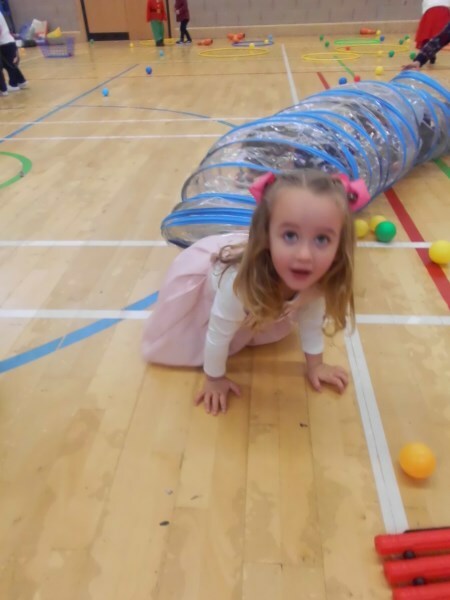 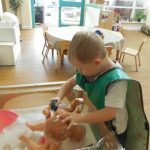 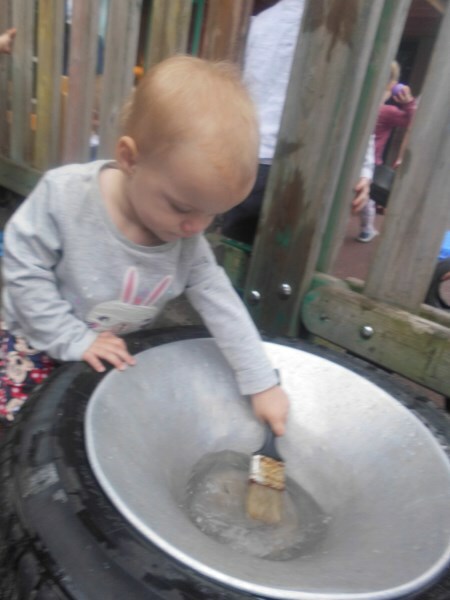 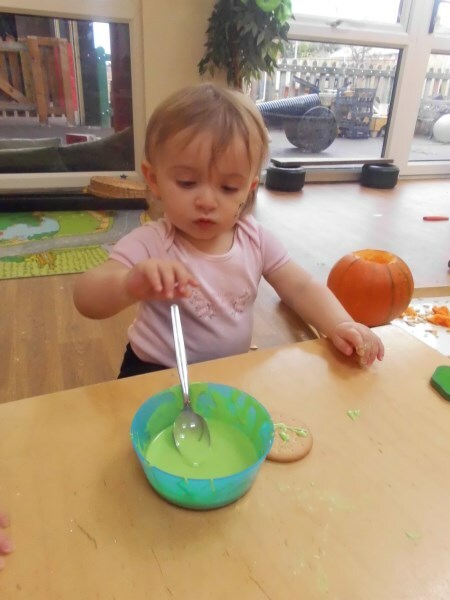 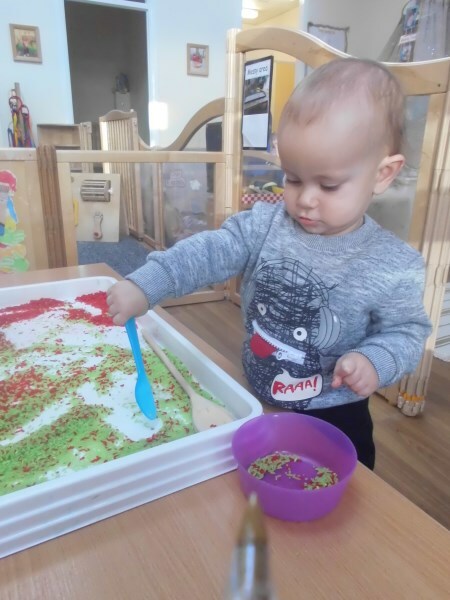 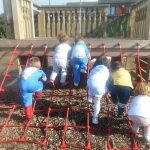 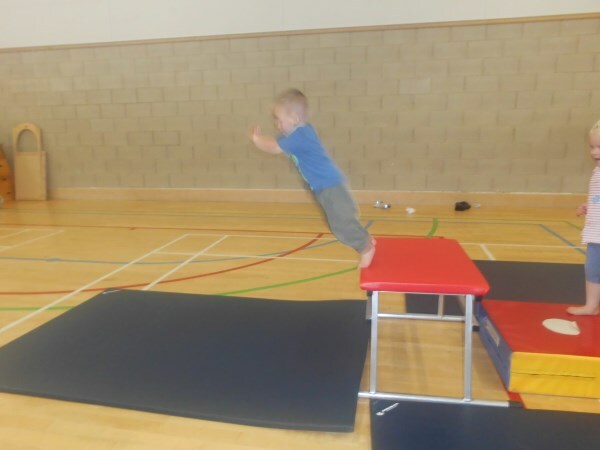 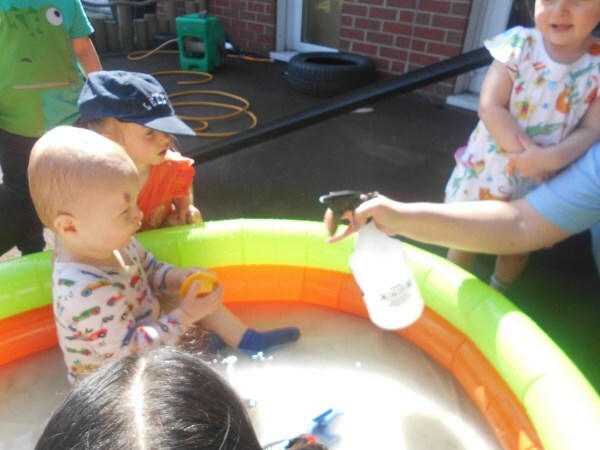 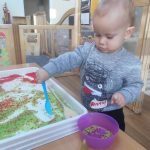 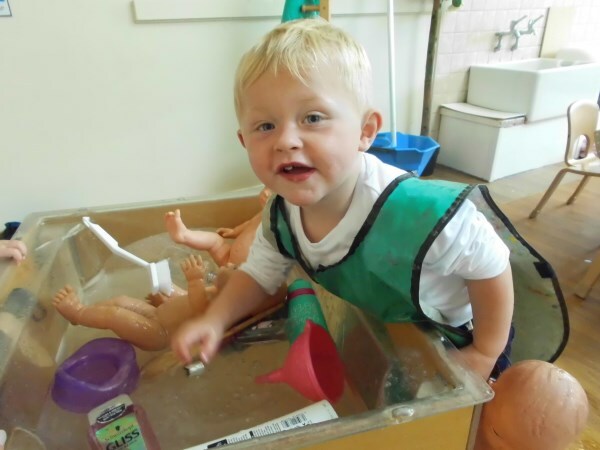 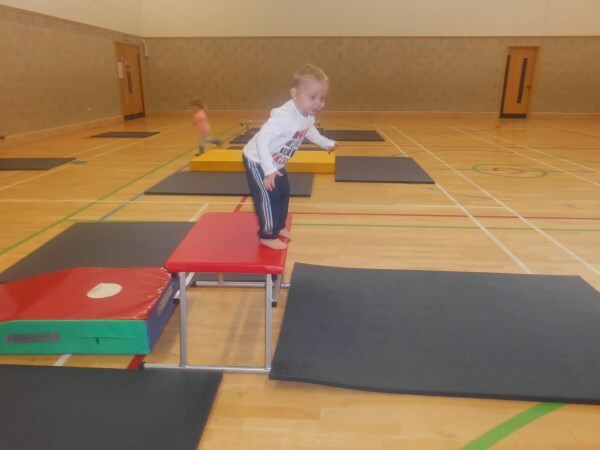 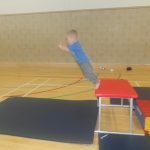 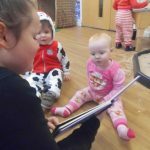 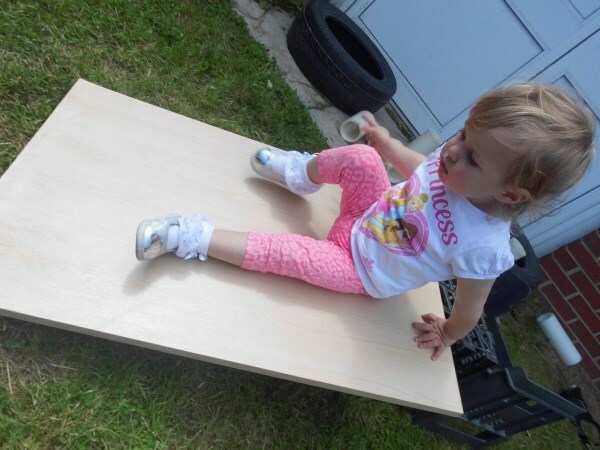 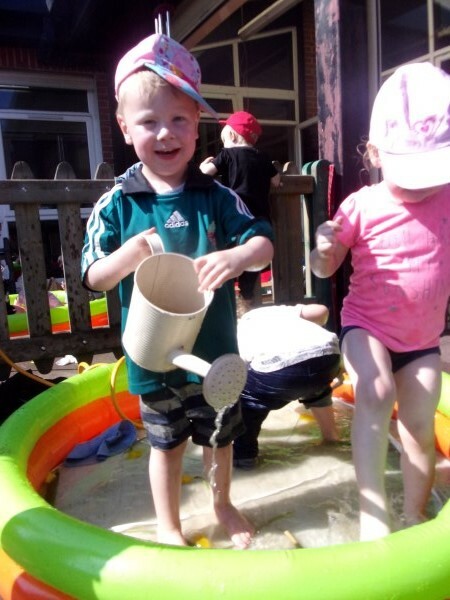 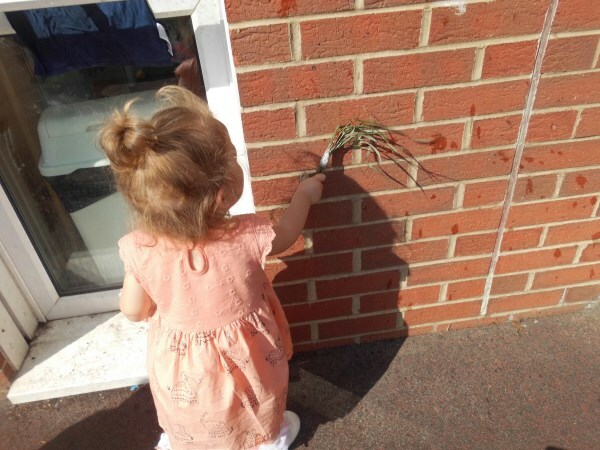 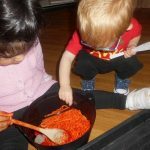 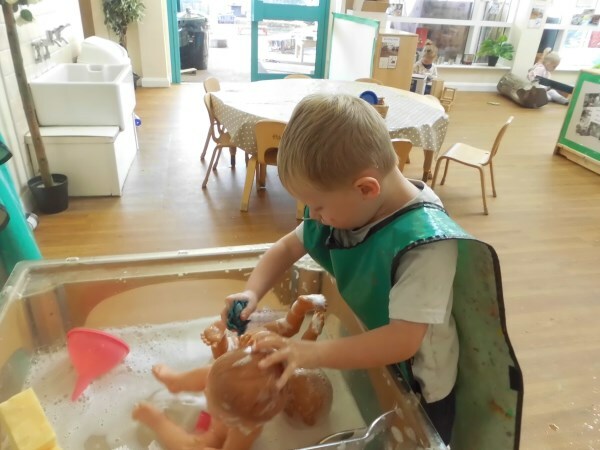 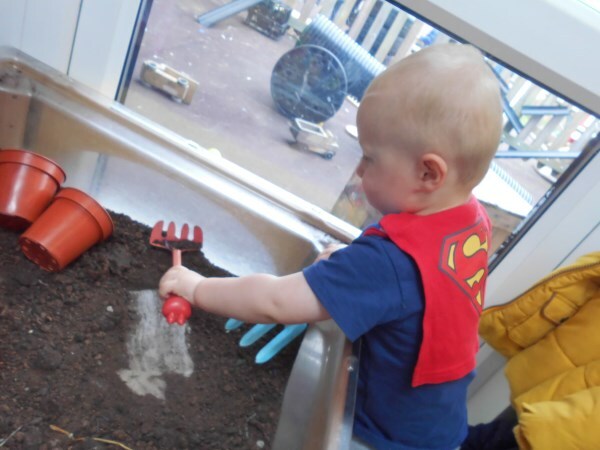 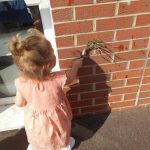 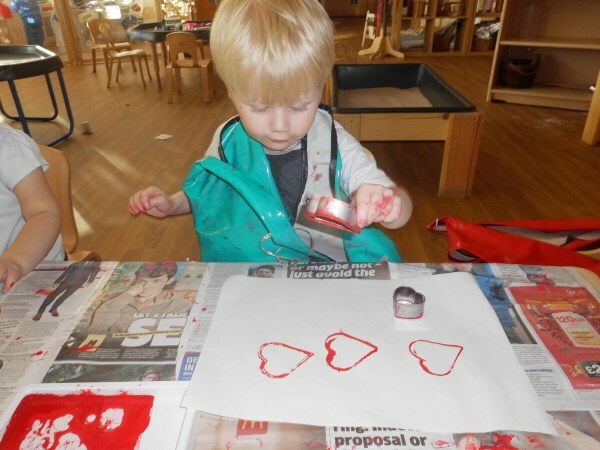 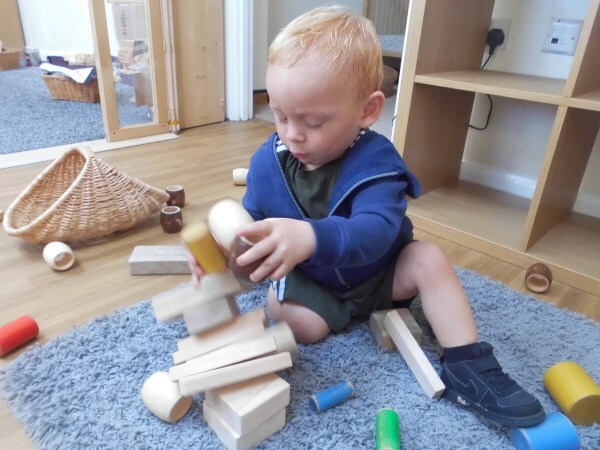 We have had an amazing start to nursery. 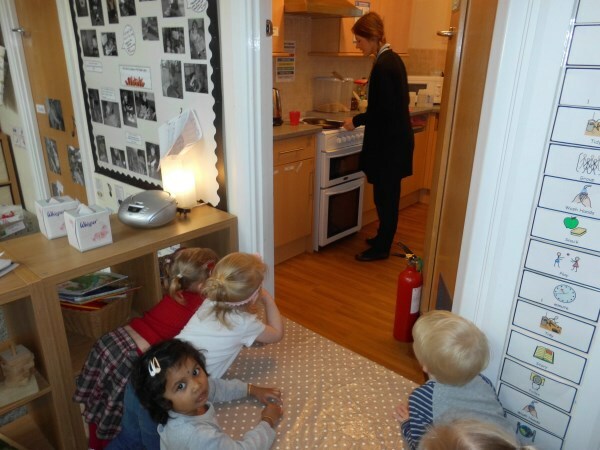 Look how well we have settled in and all of the fantastic things we have been doing.